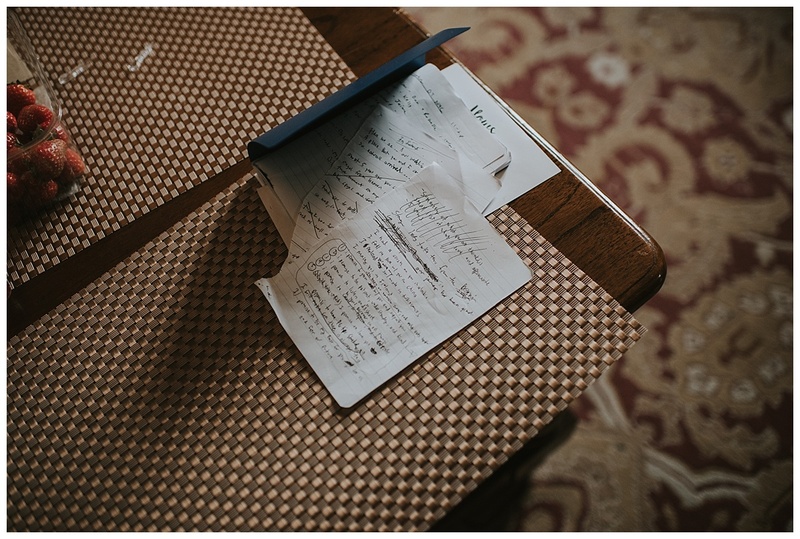 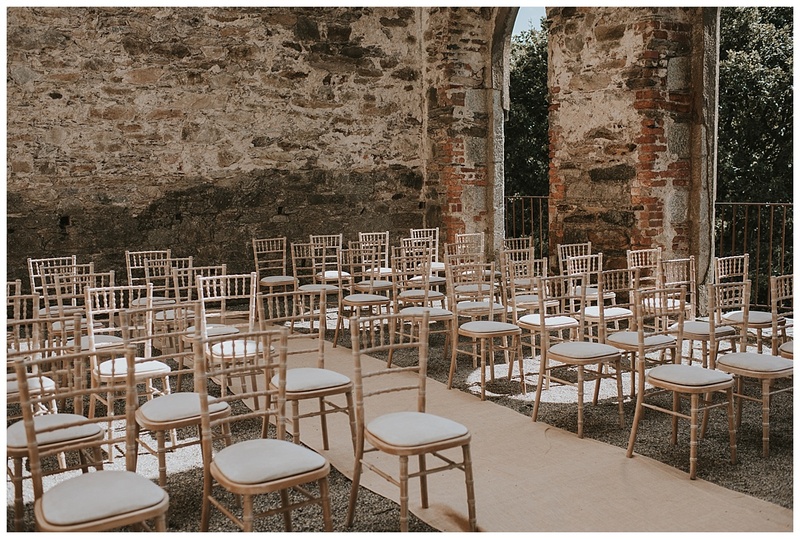 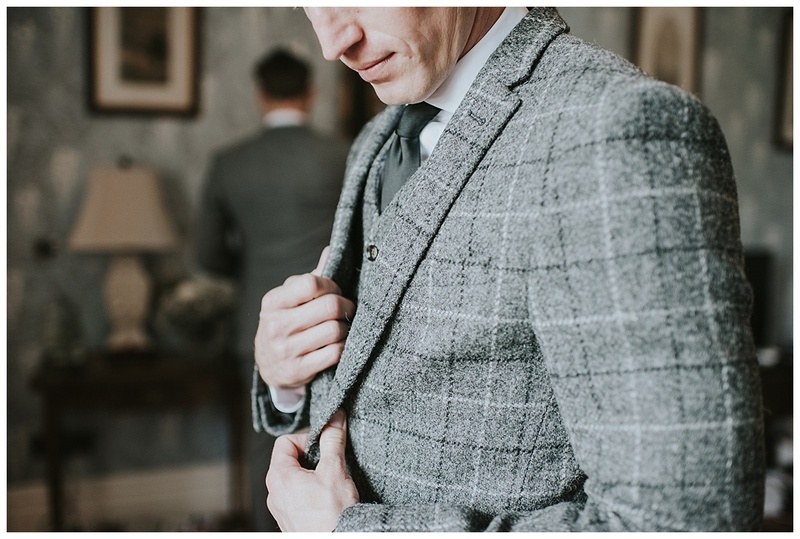 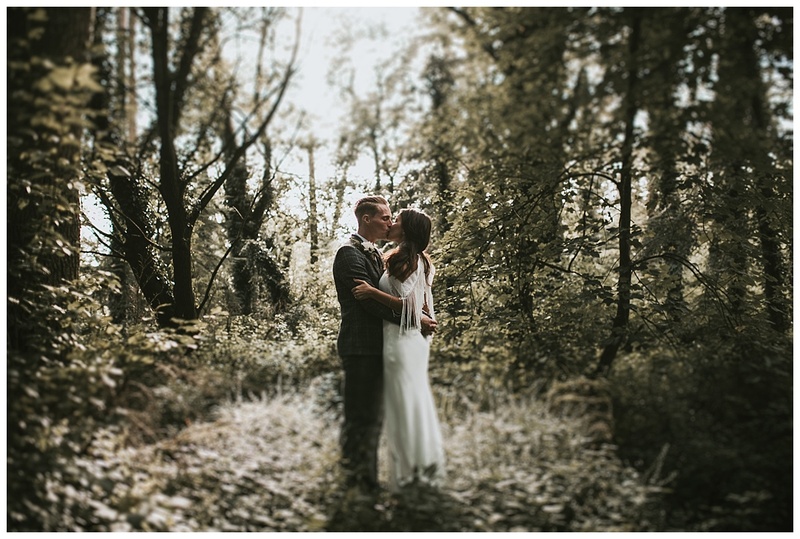 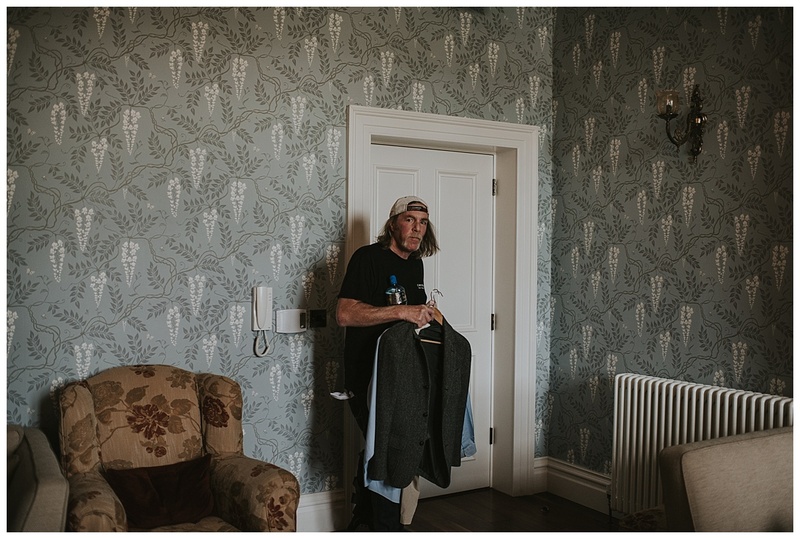 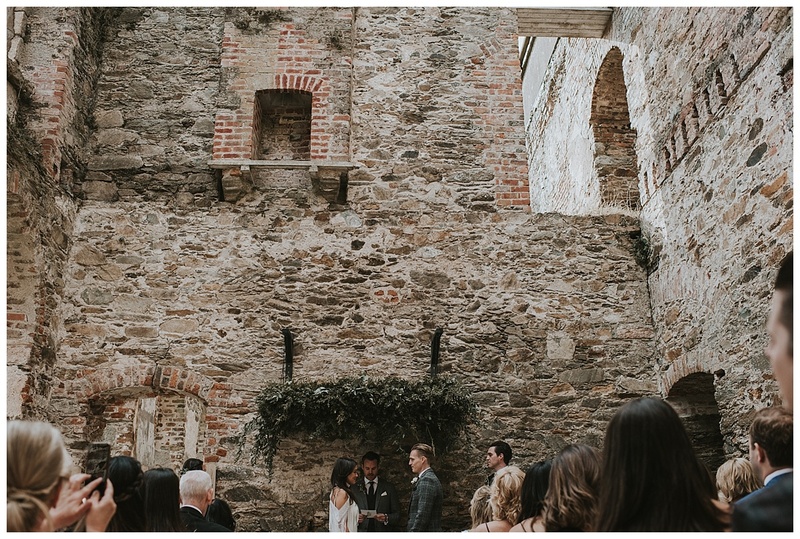 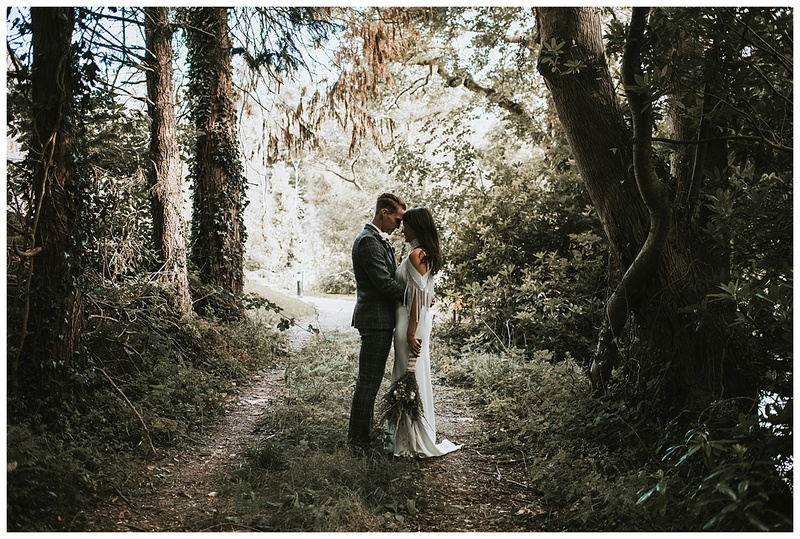 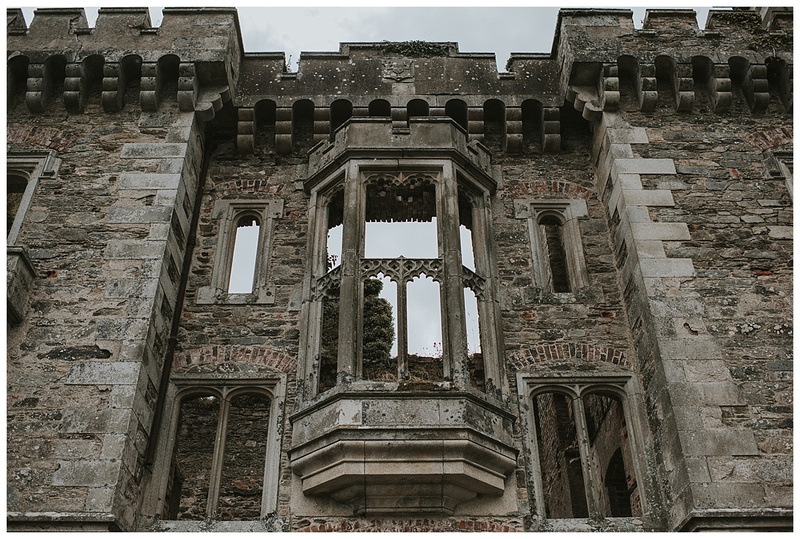 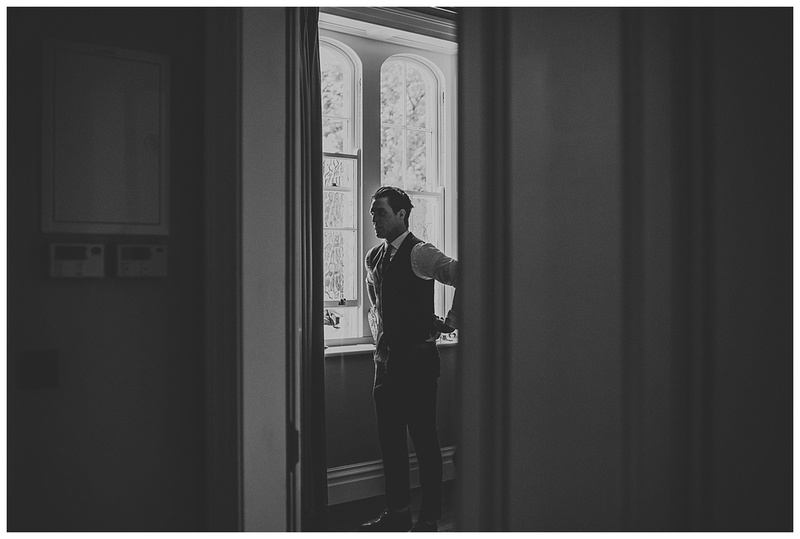 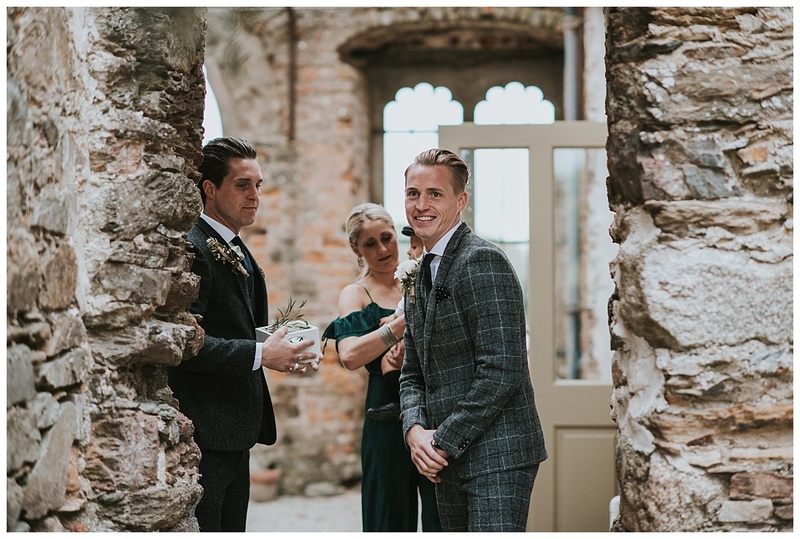 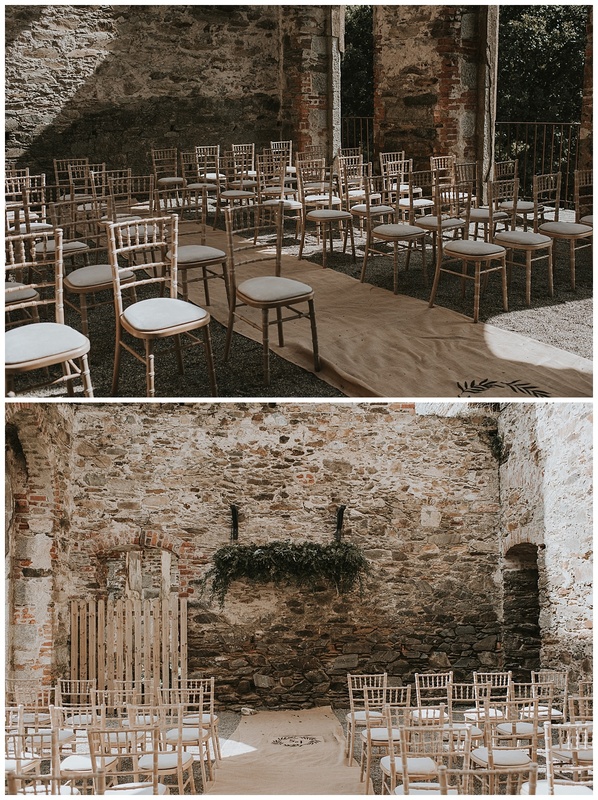 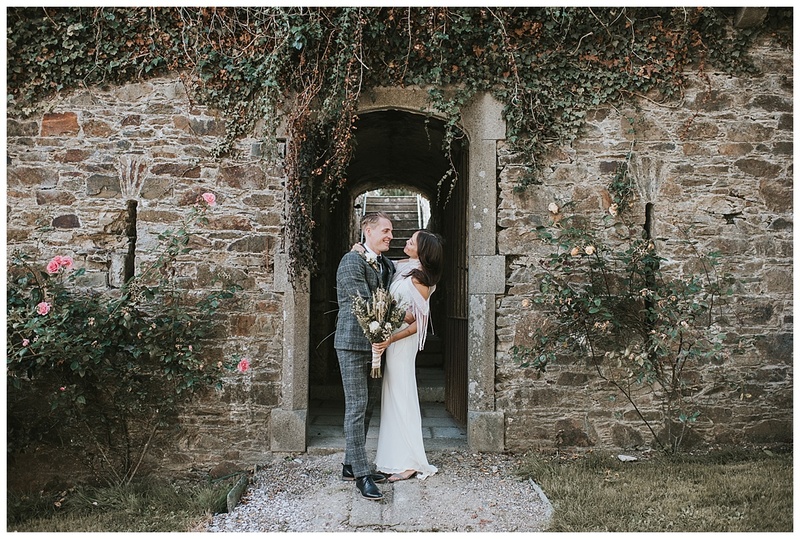 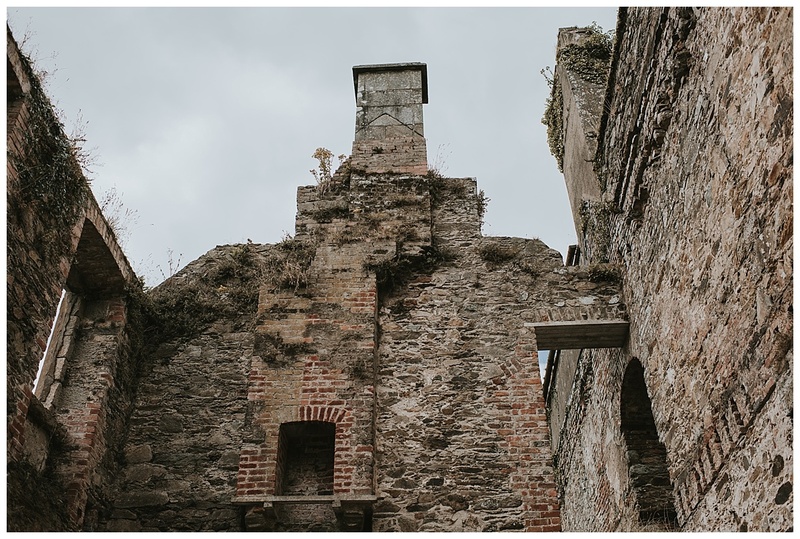 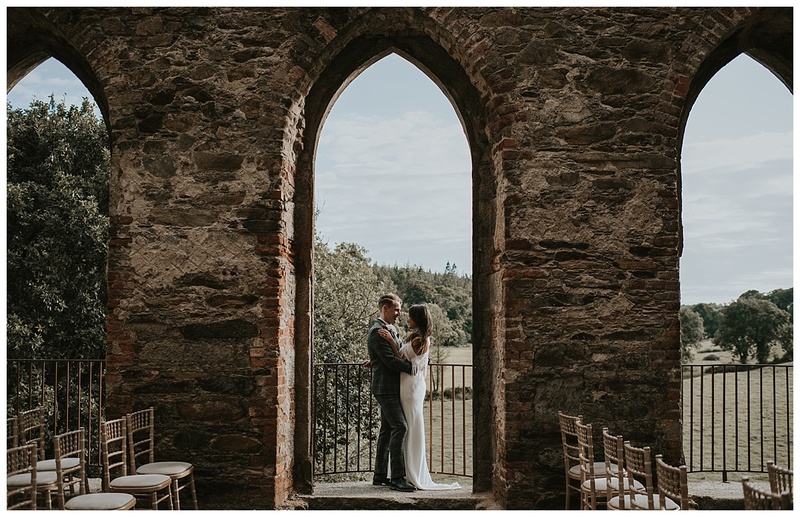 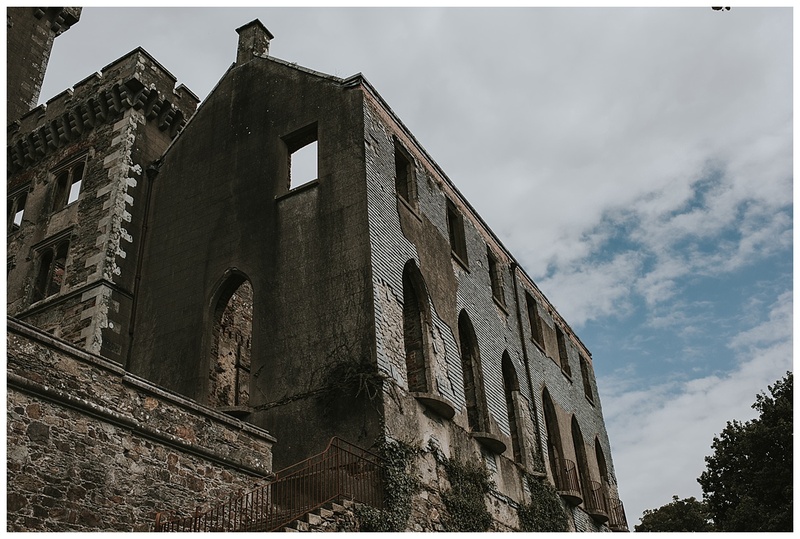 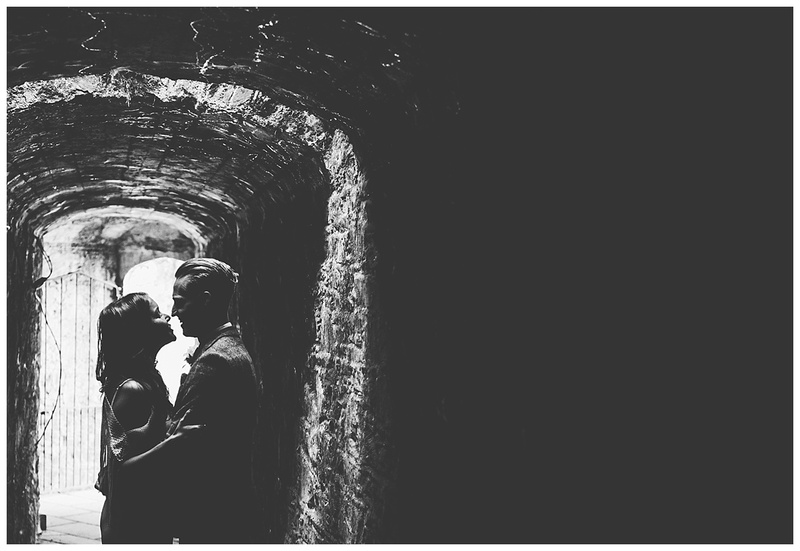 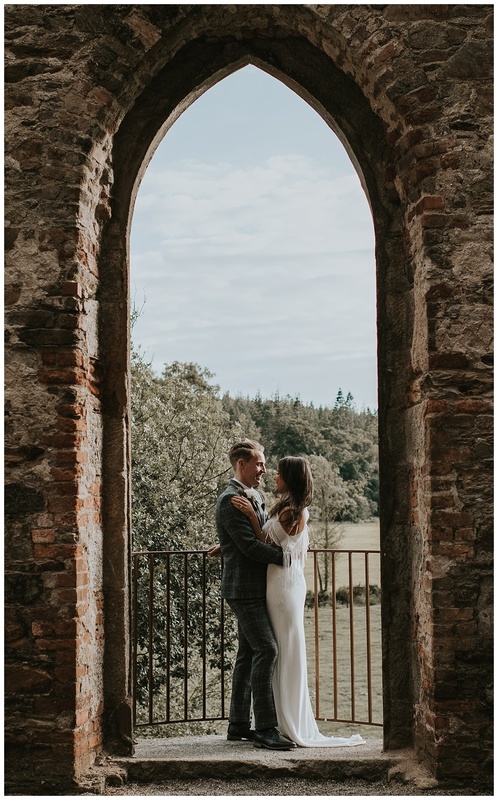 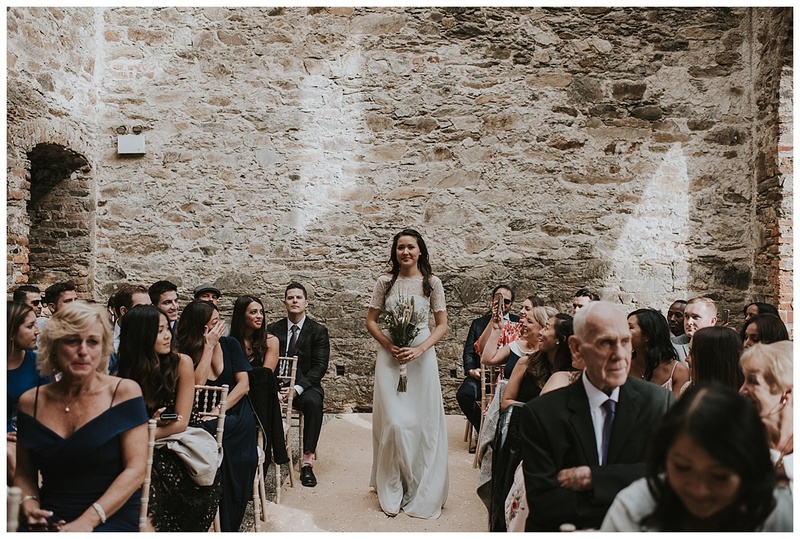 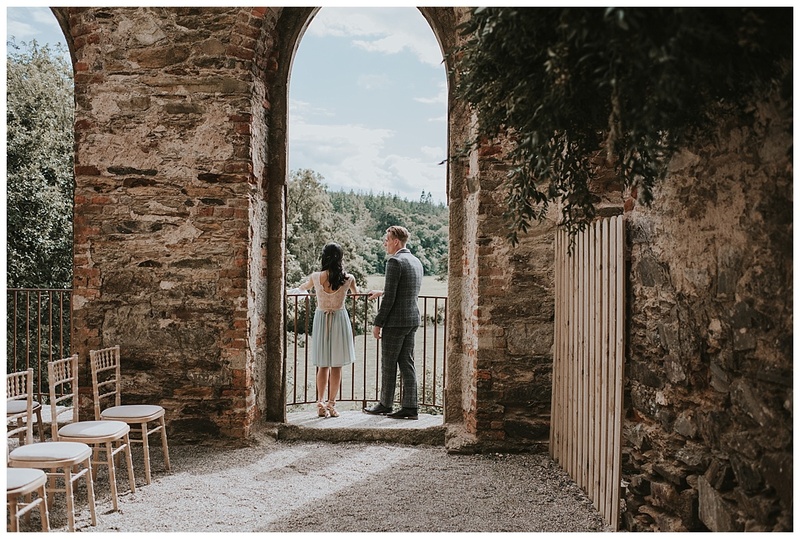 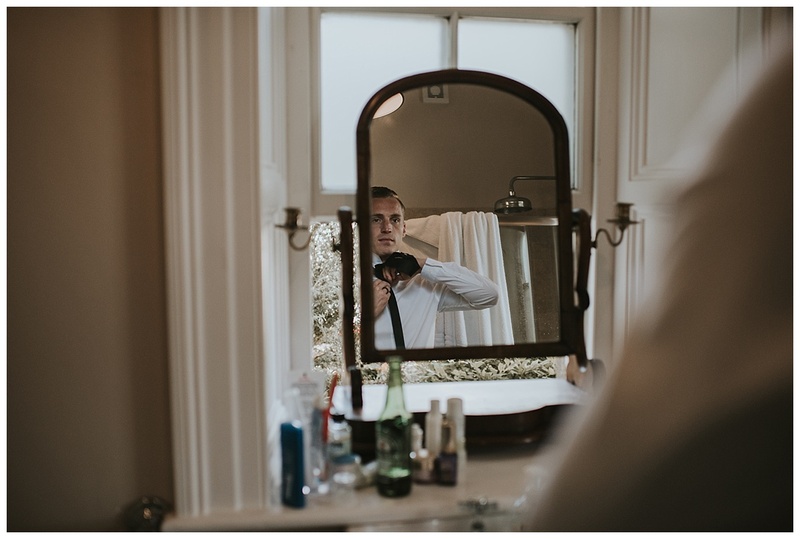 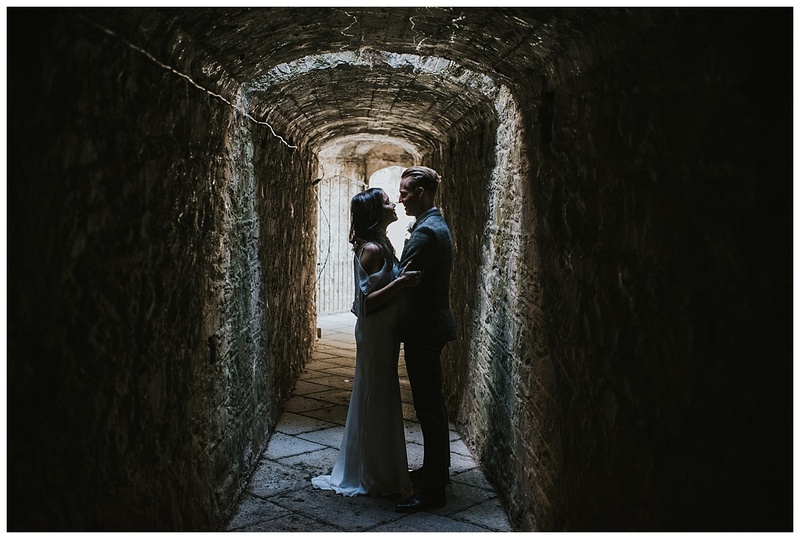 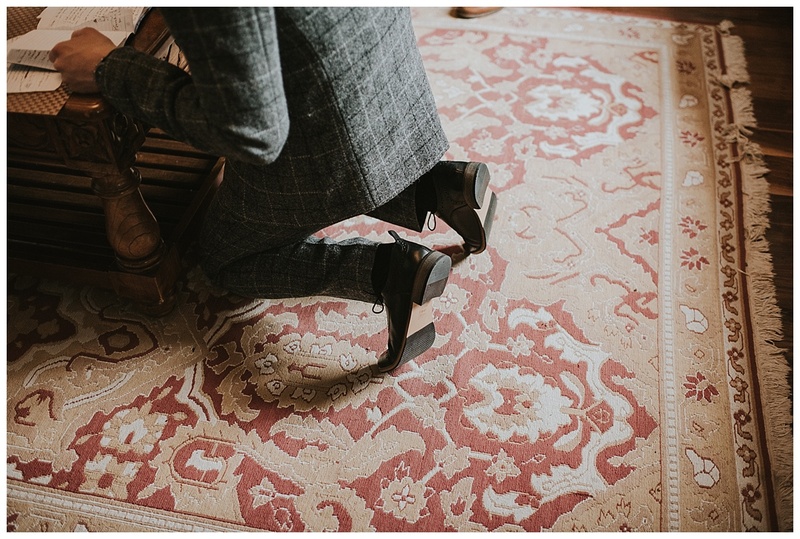 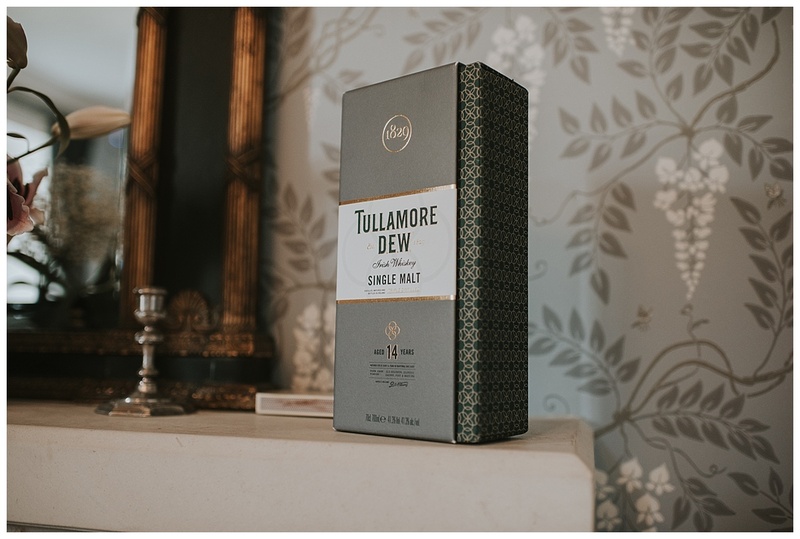 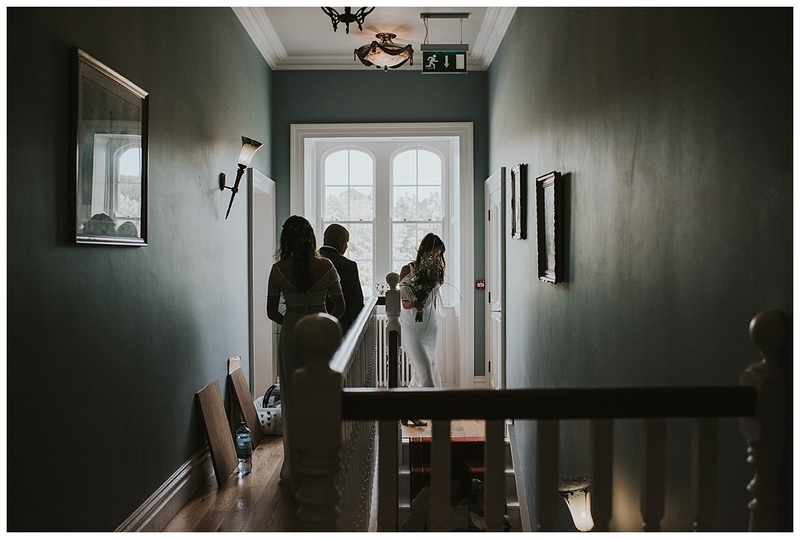 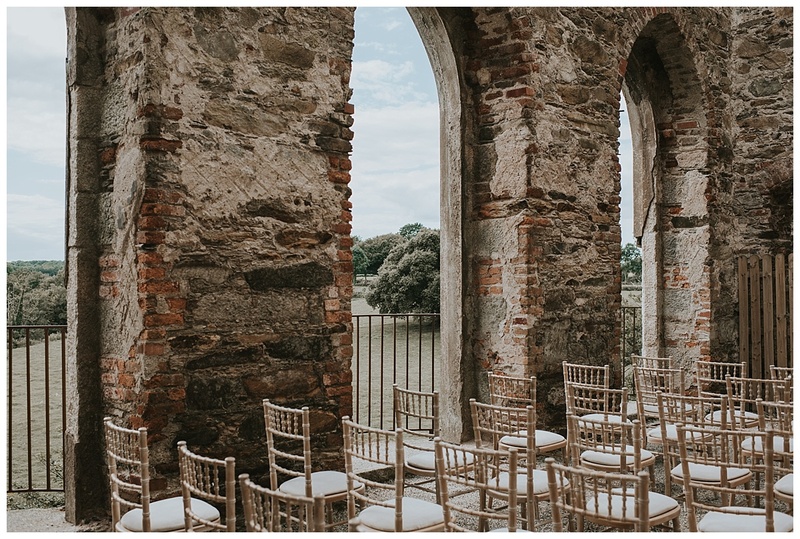 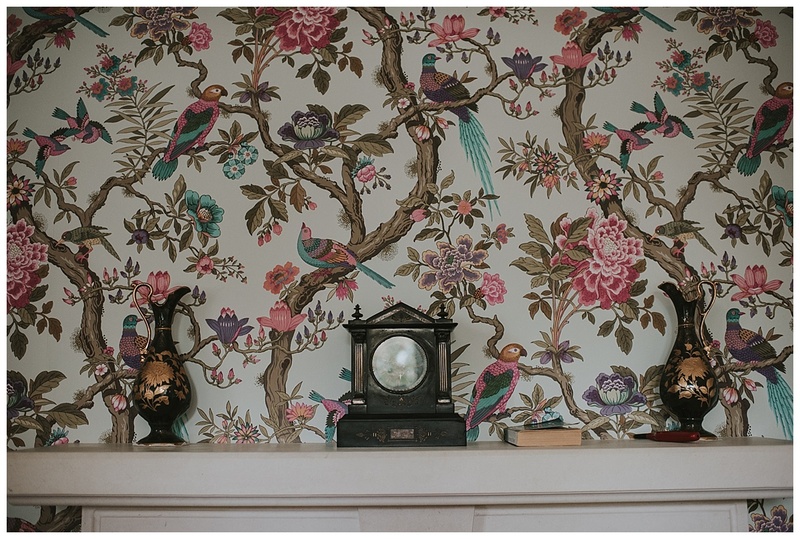 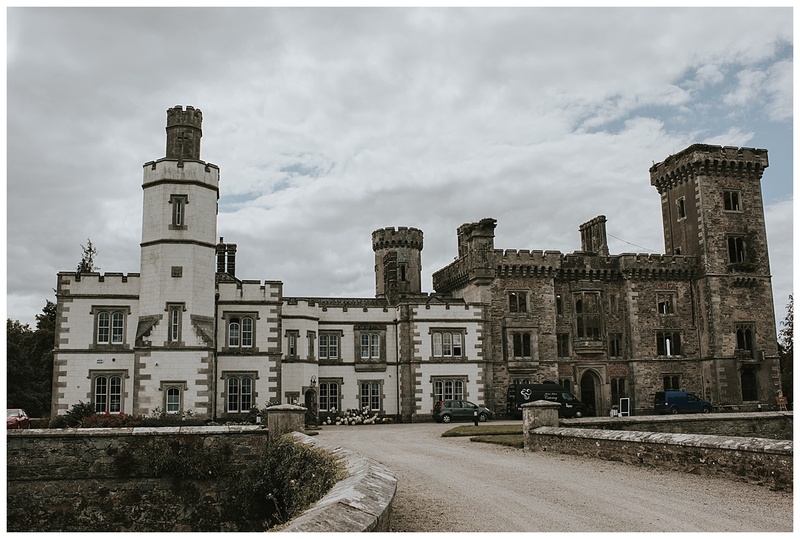 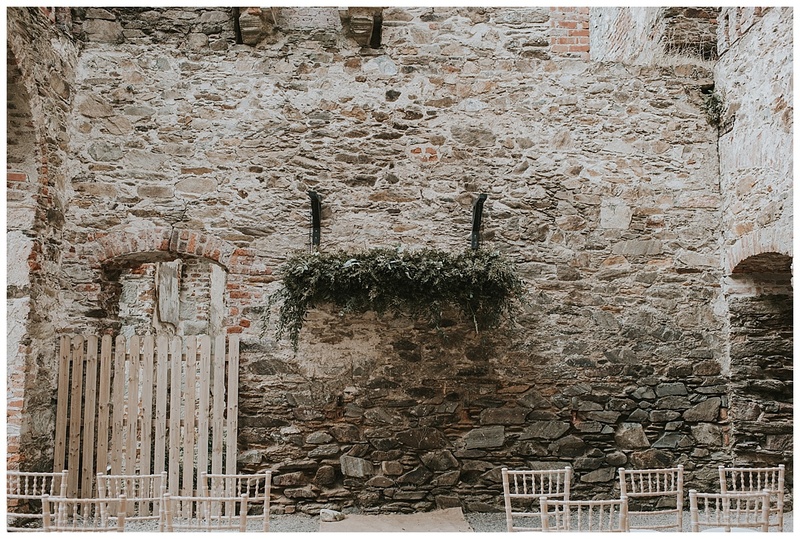 This was my first time shooting at the amazing Wilton Castle in Wexford and what an amazing experience it was! 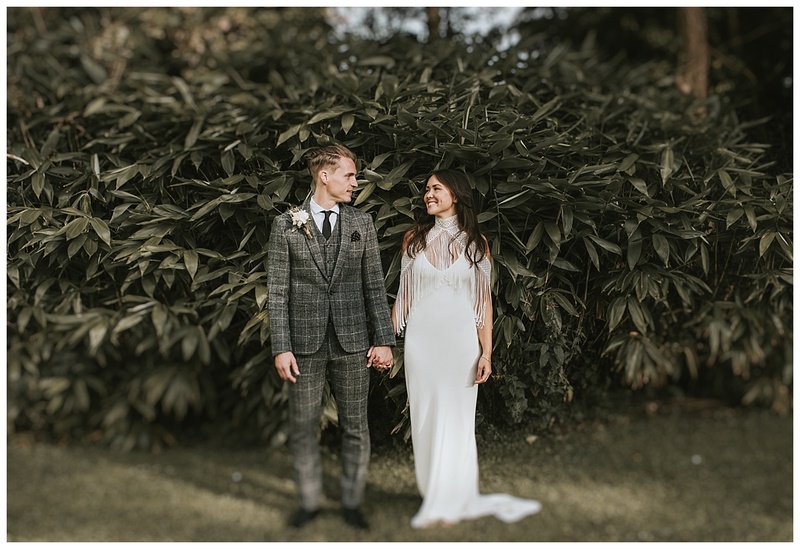 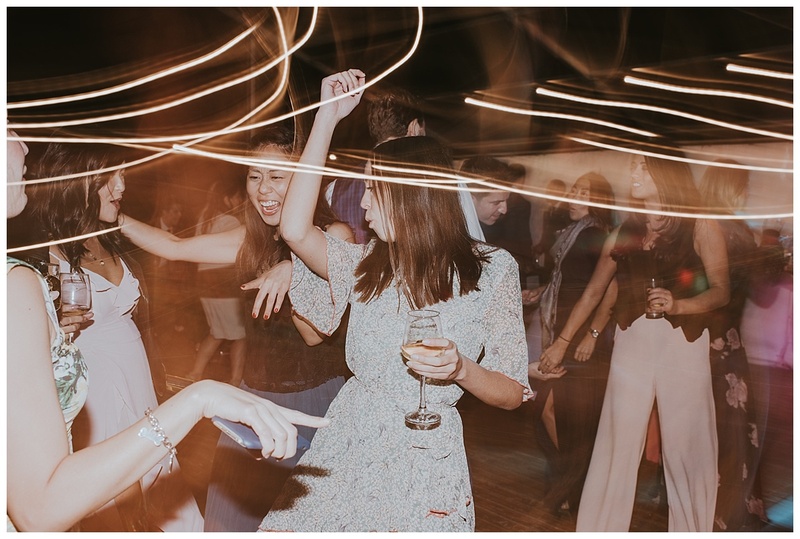 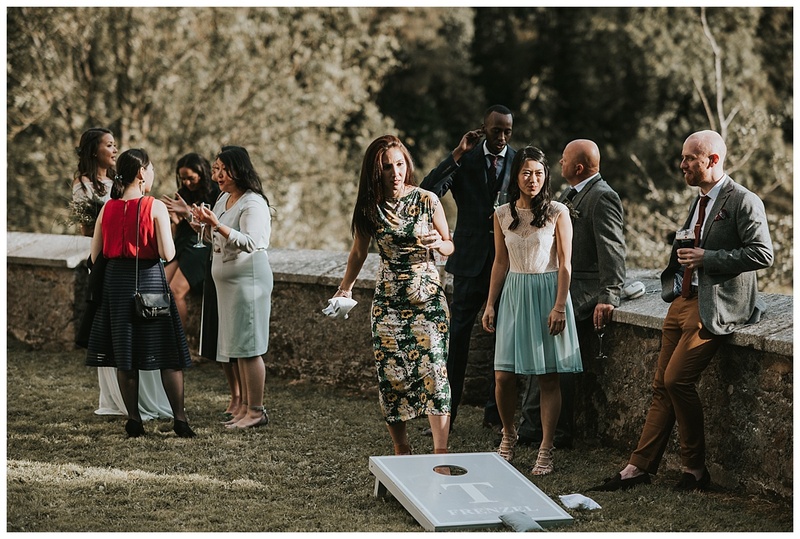 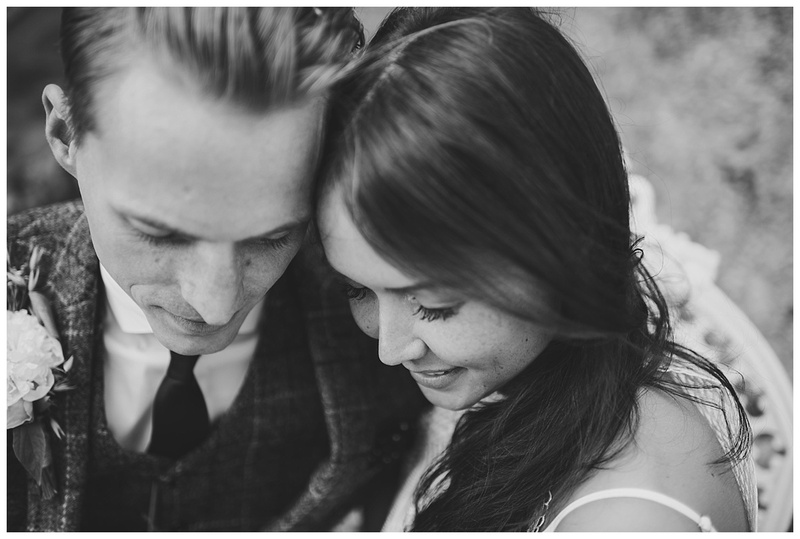 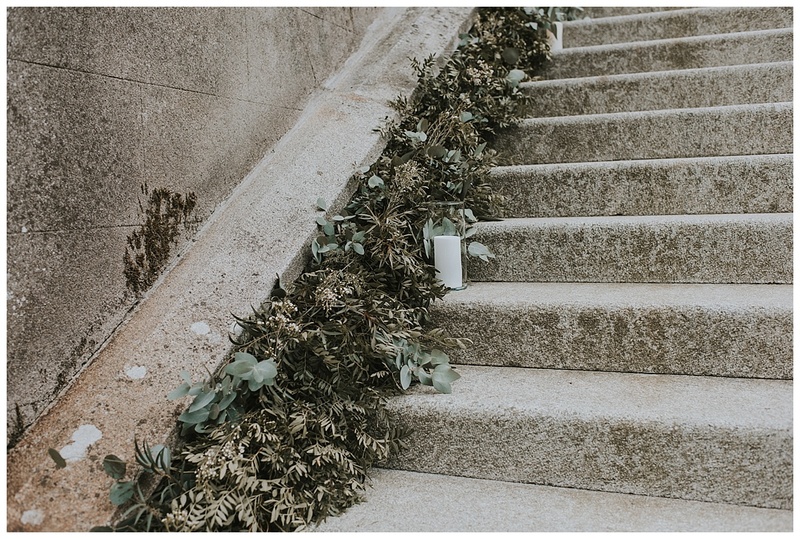 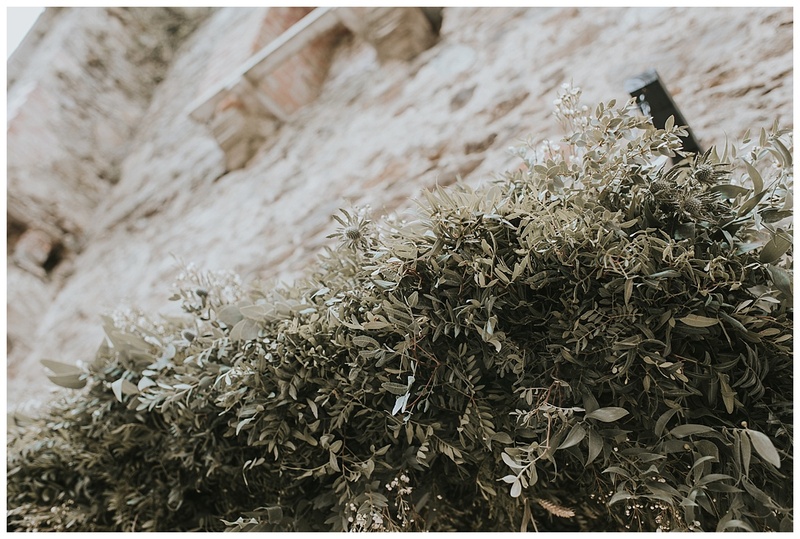 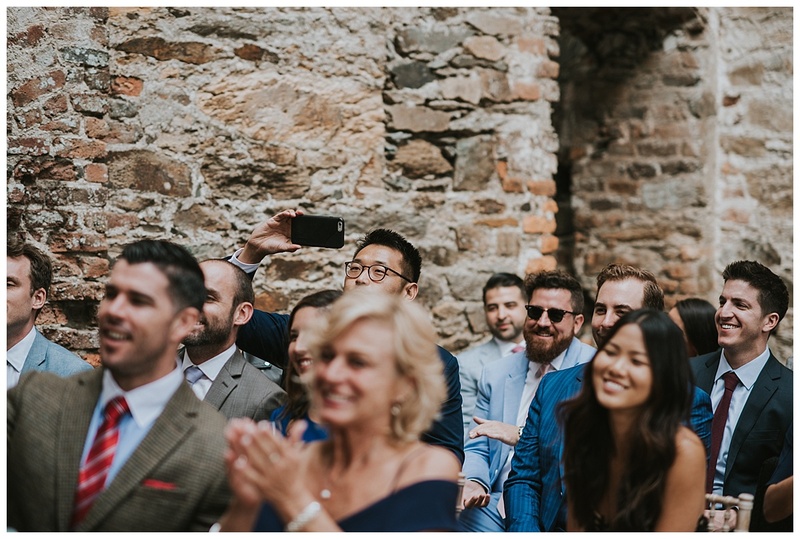 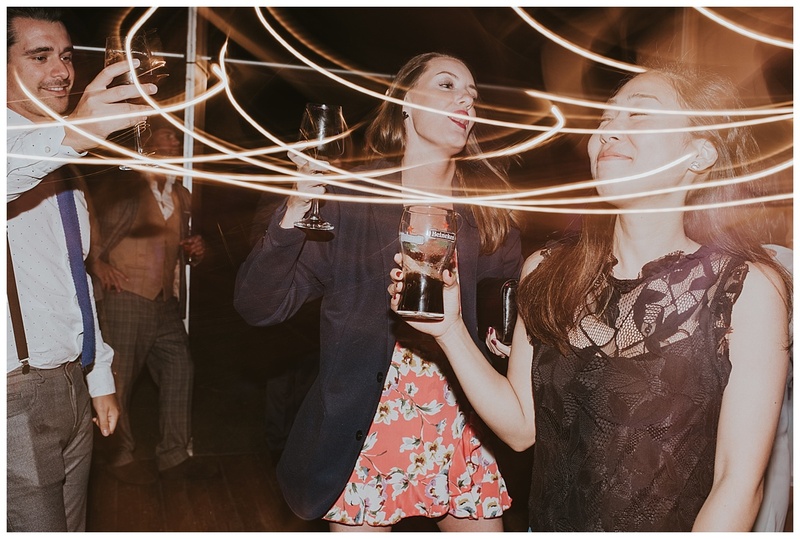 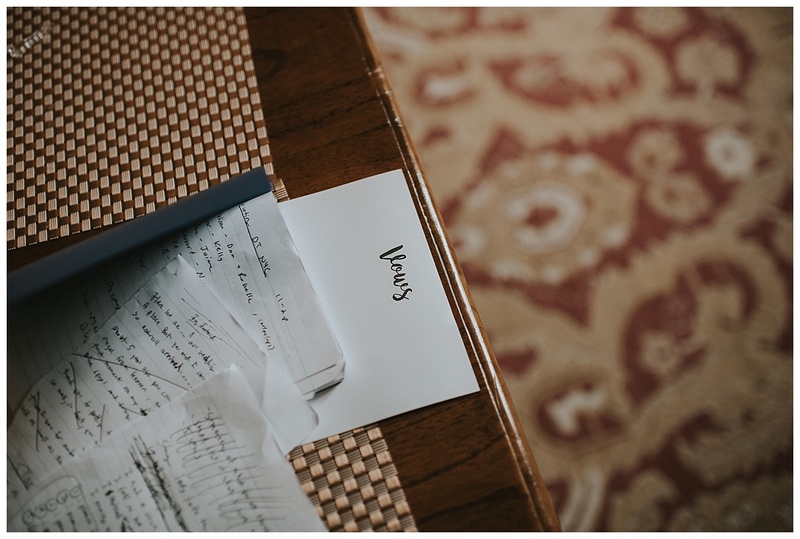 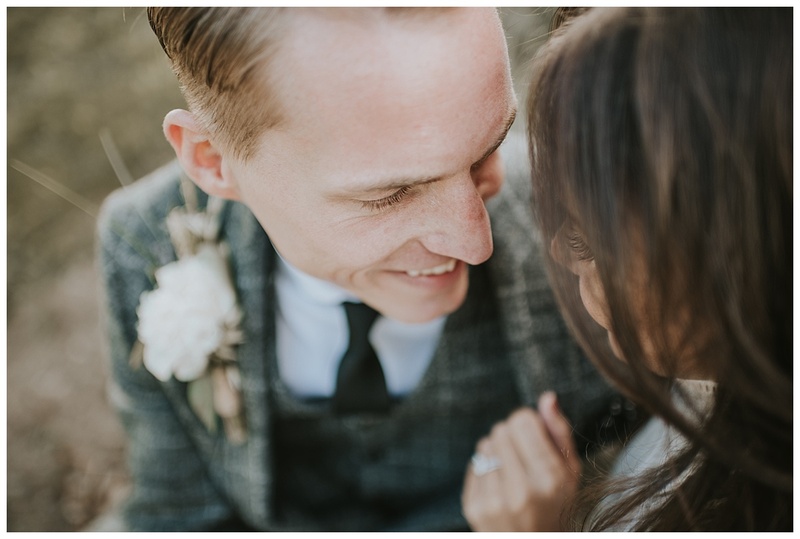 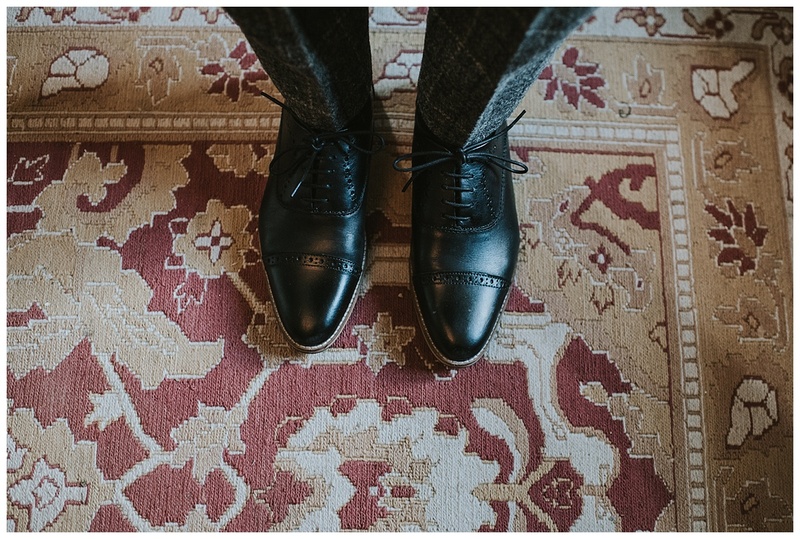 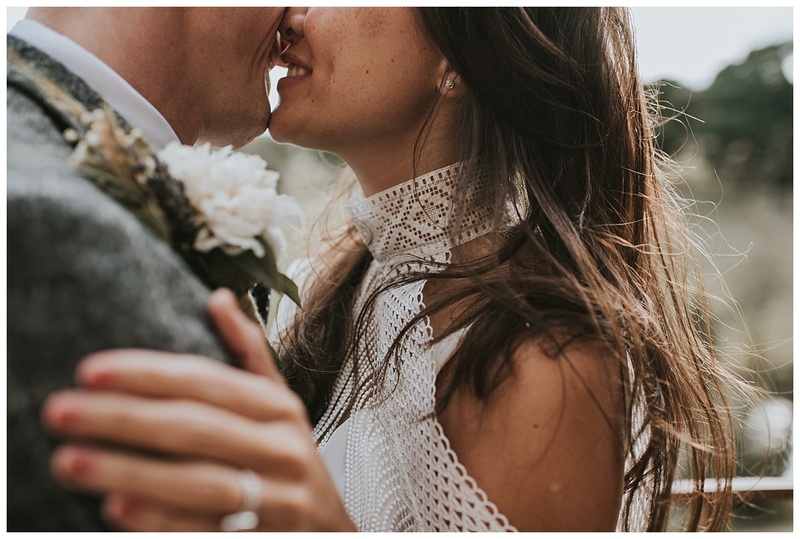 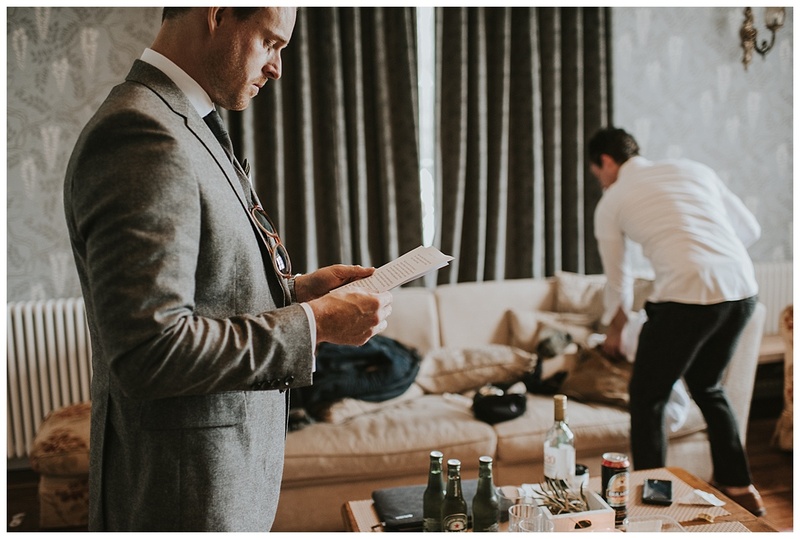 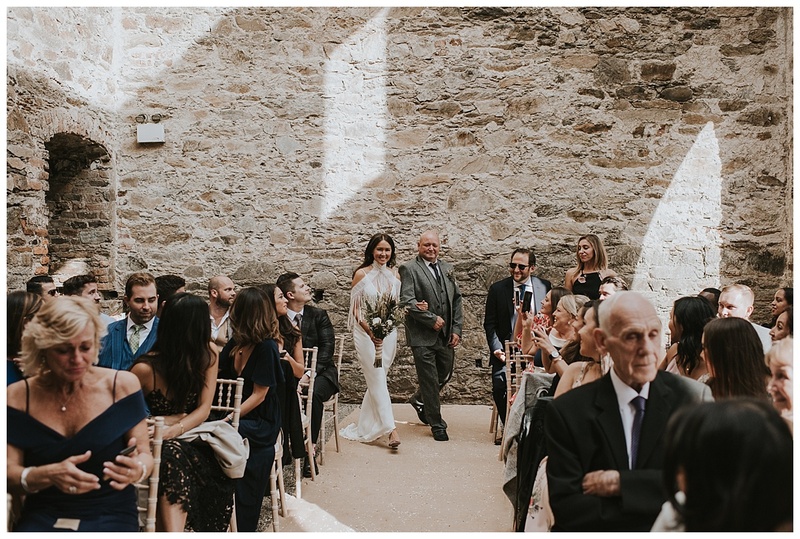 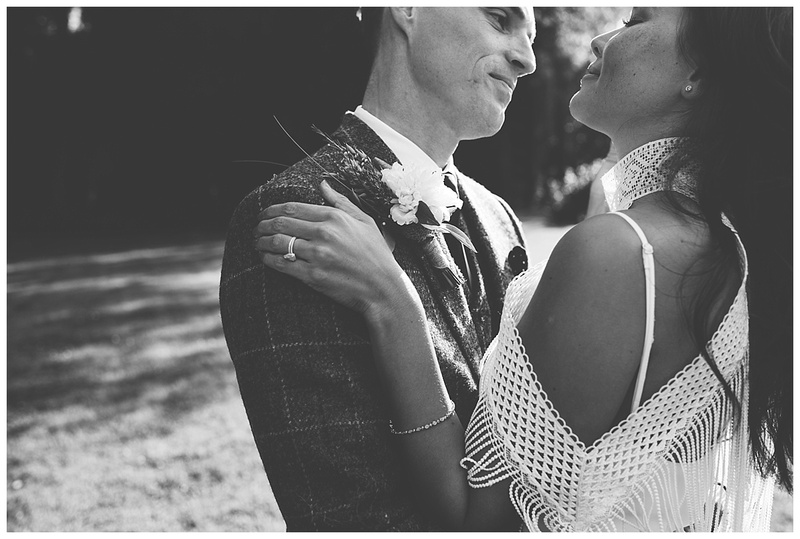 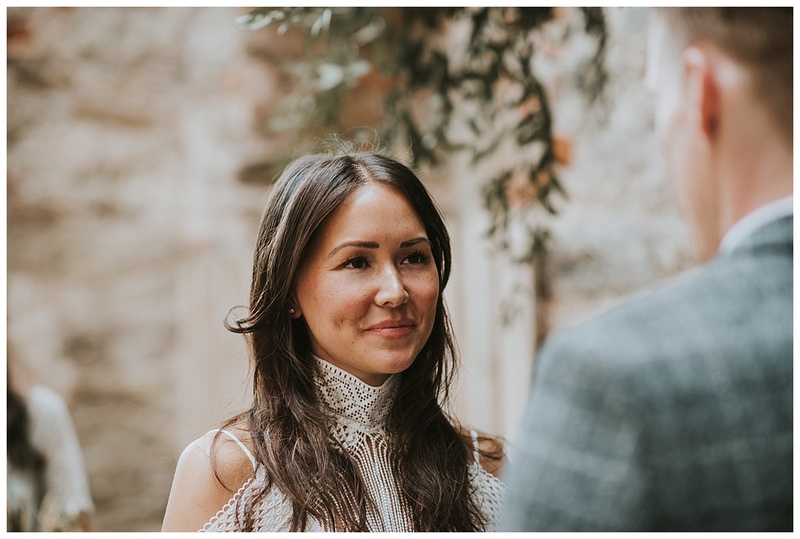 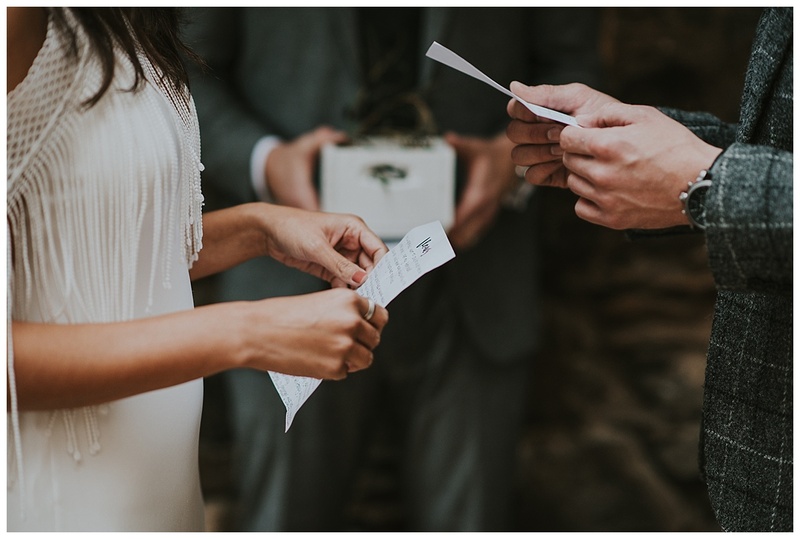 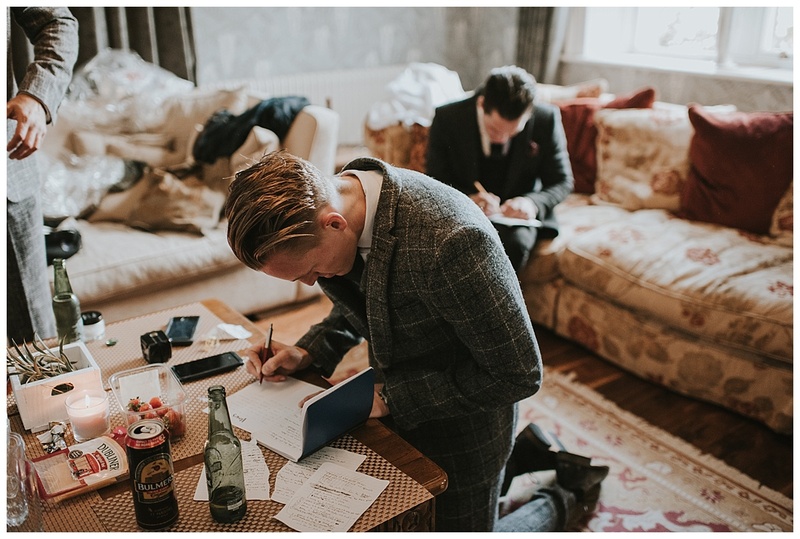 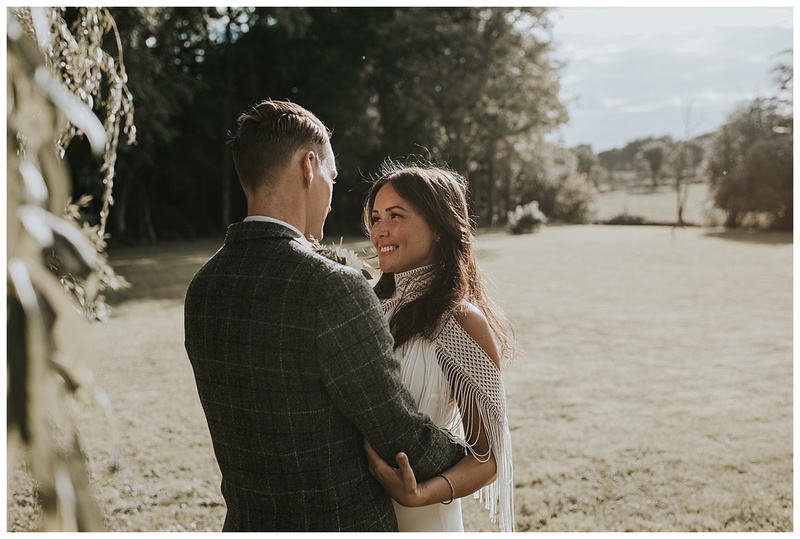 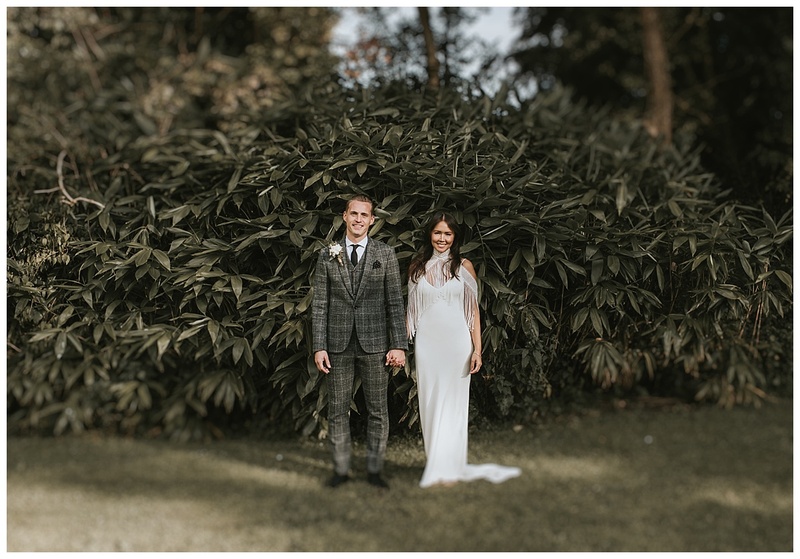 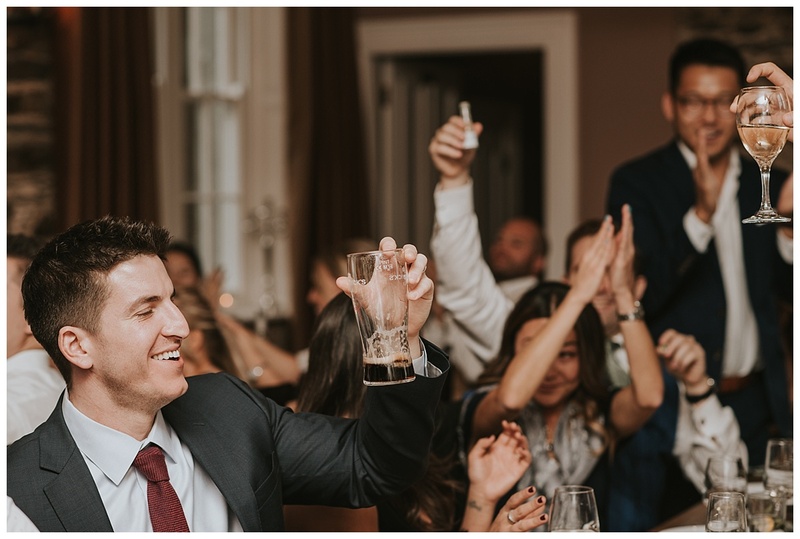 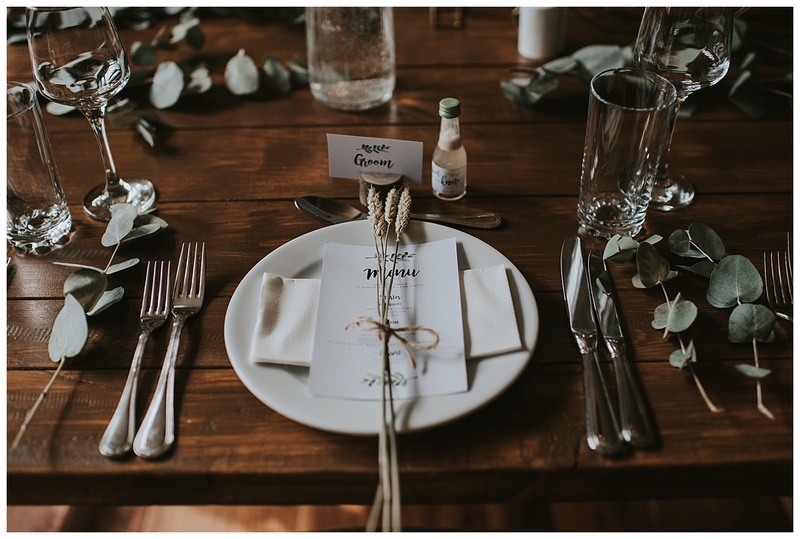 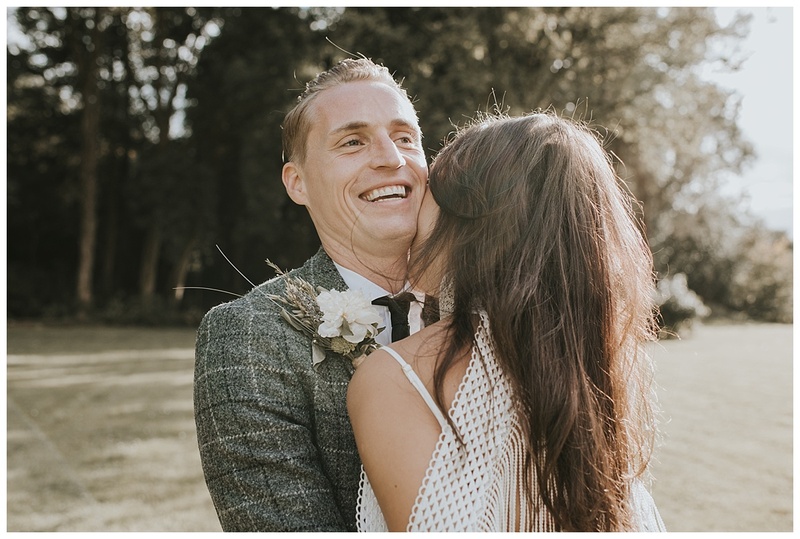 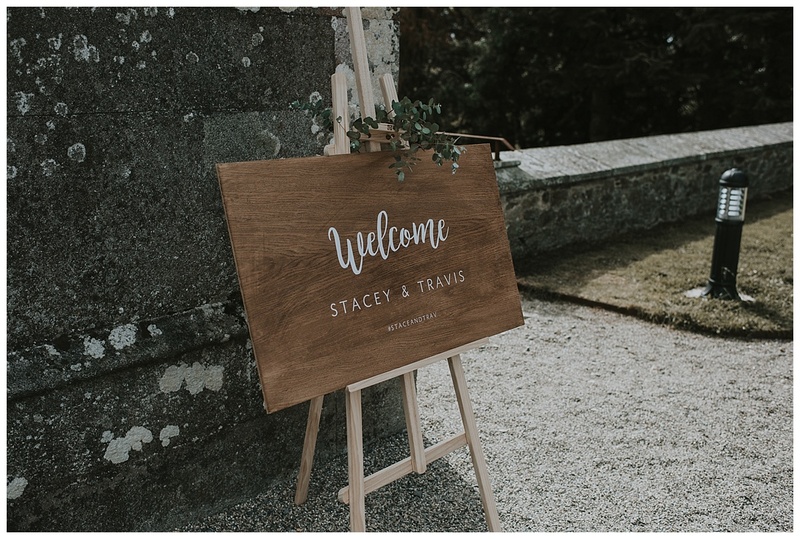 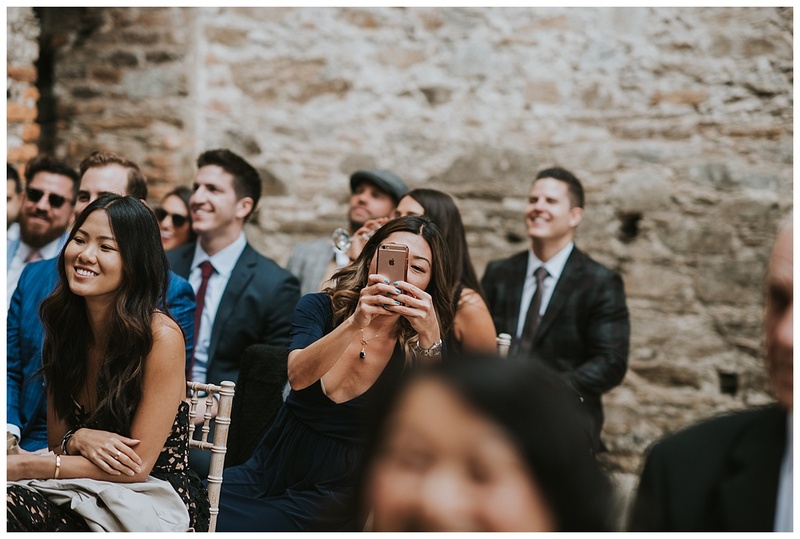 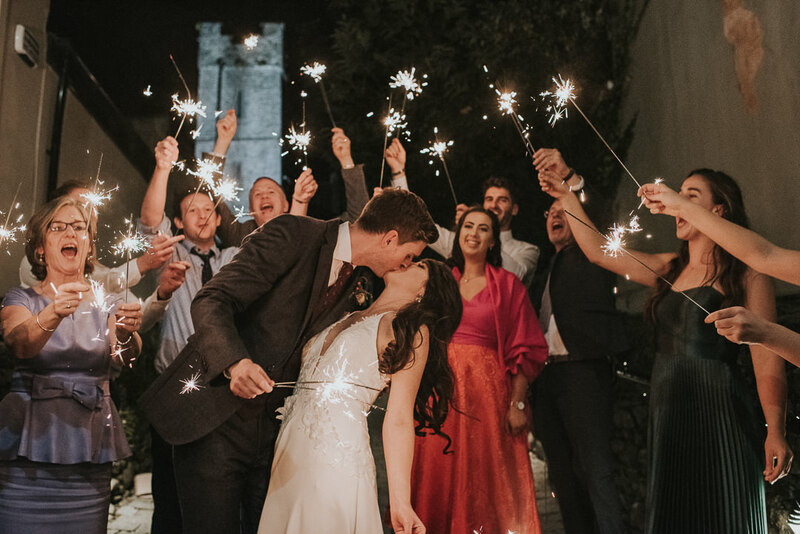 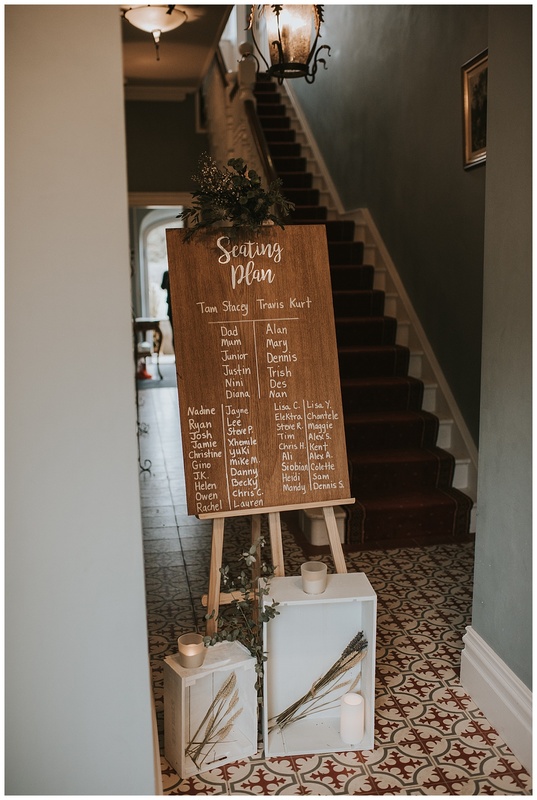 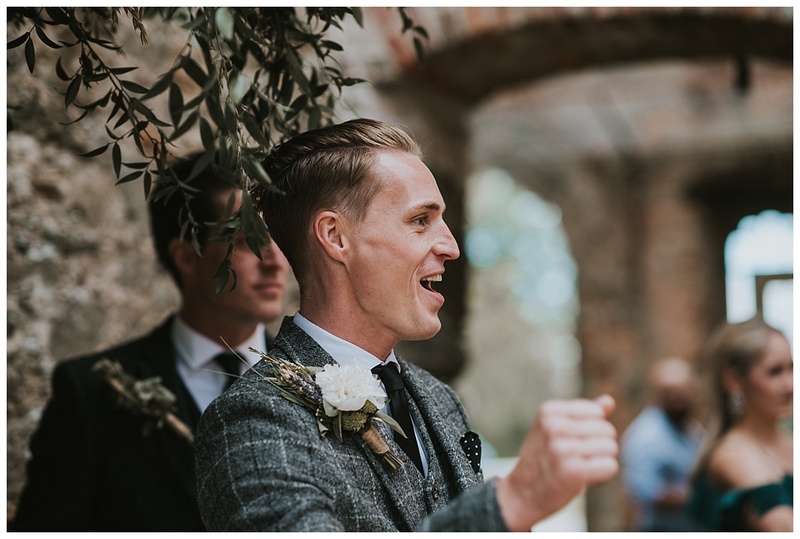 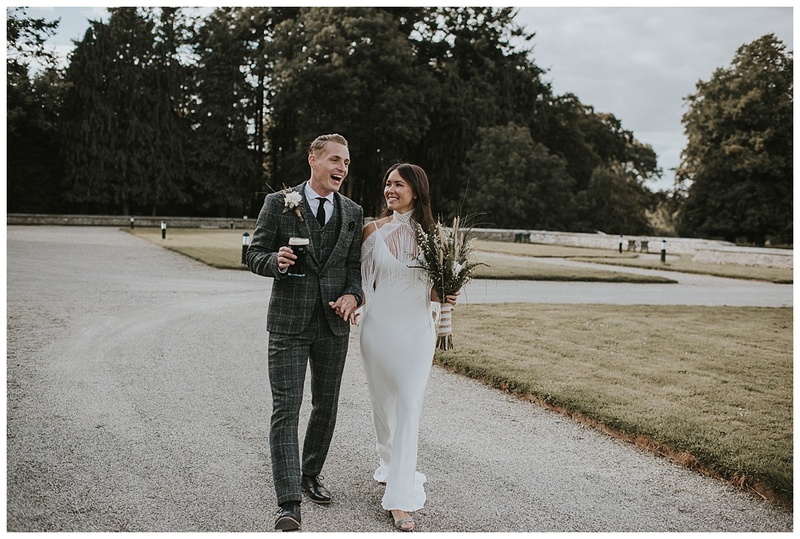 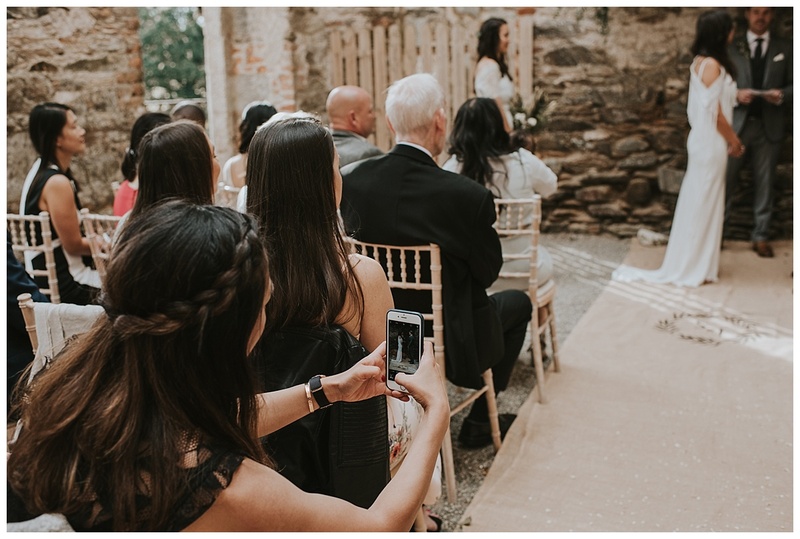 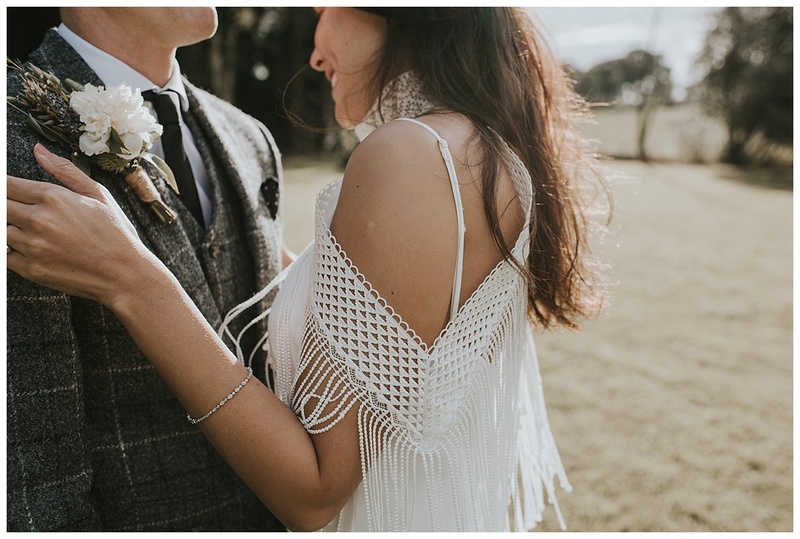 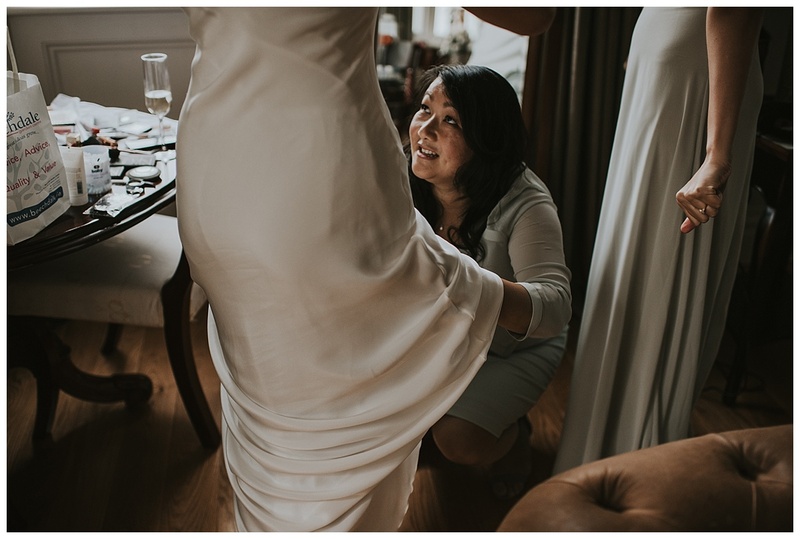 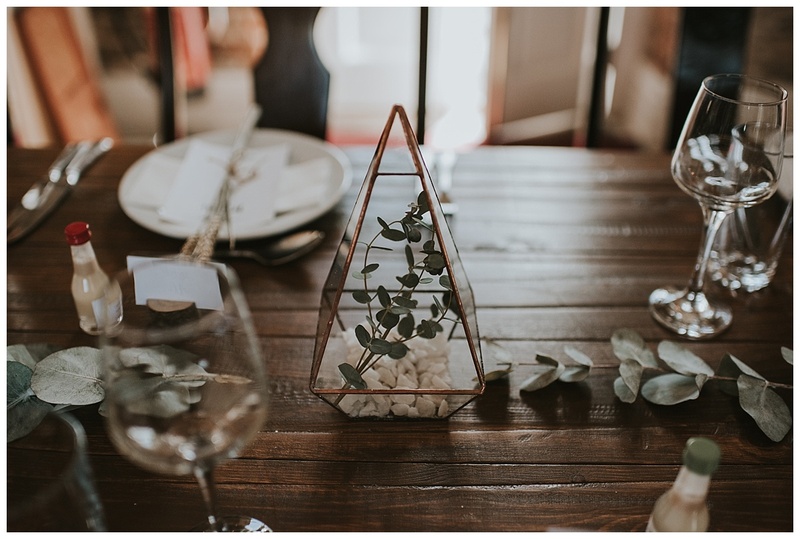 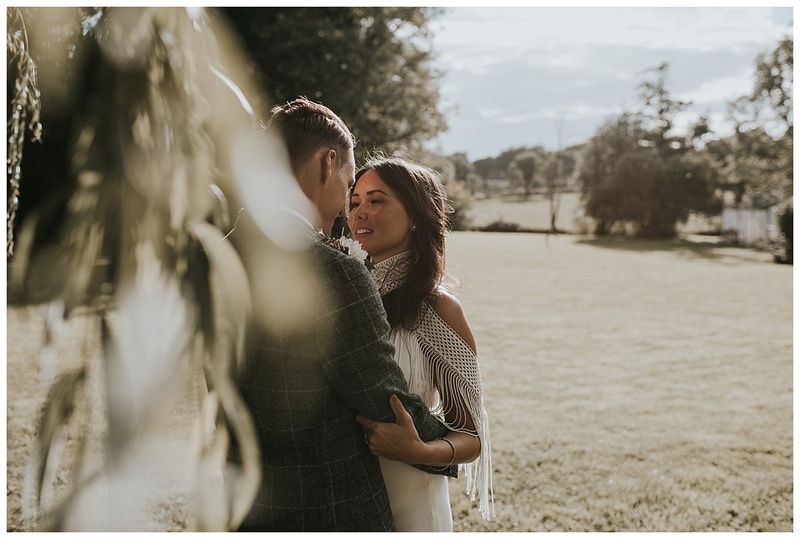 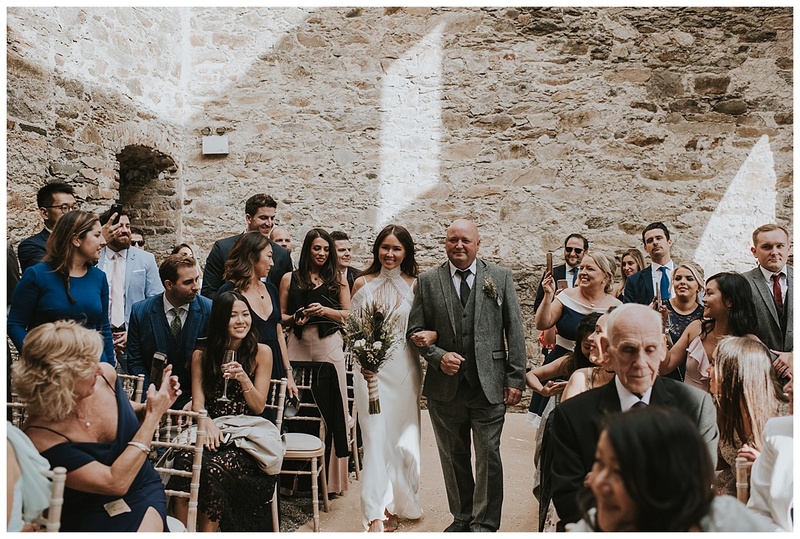 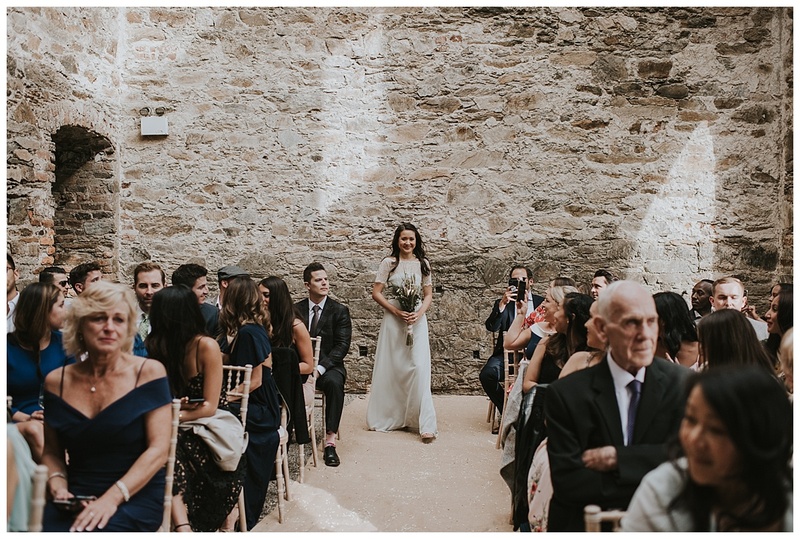 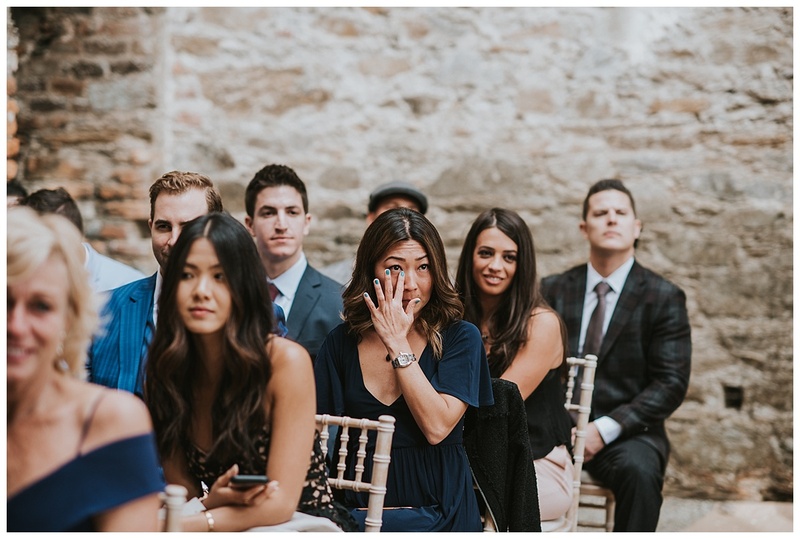 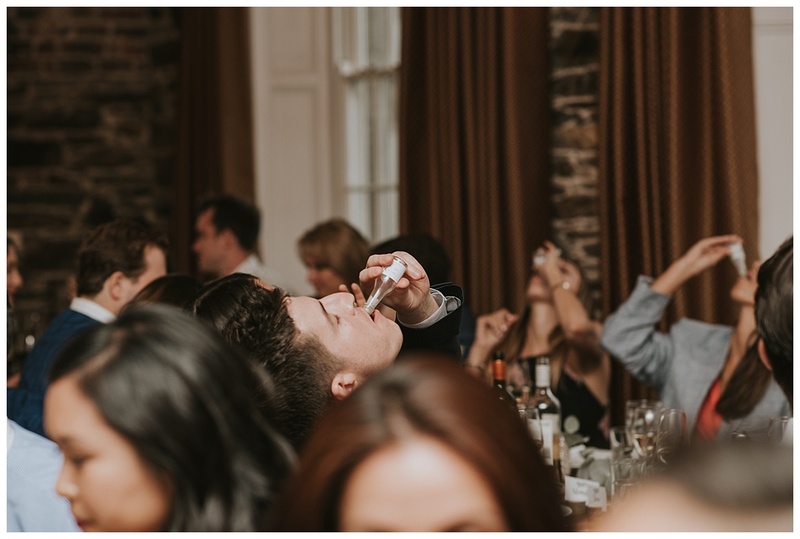 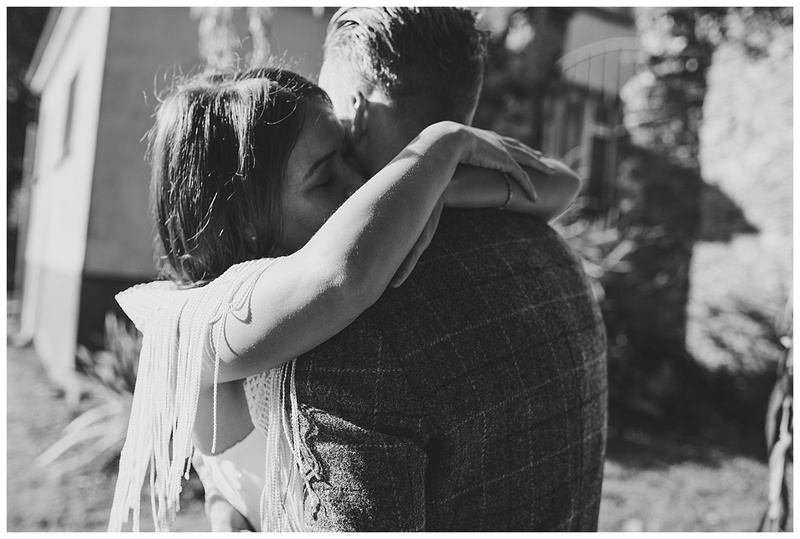 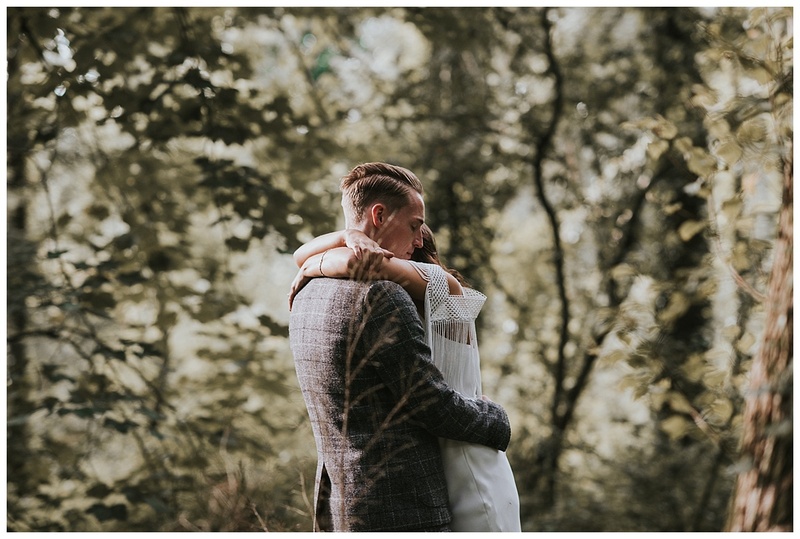 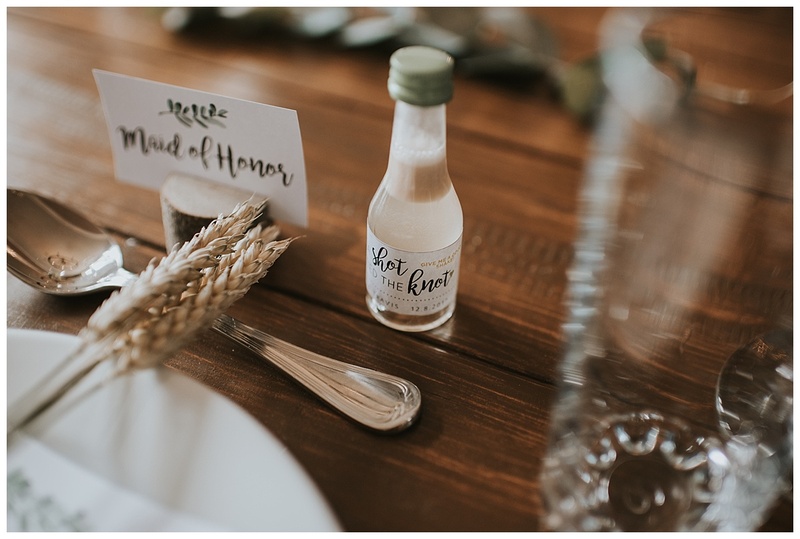 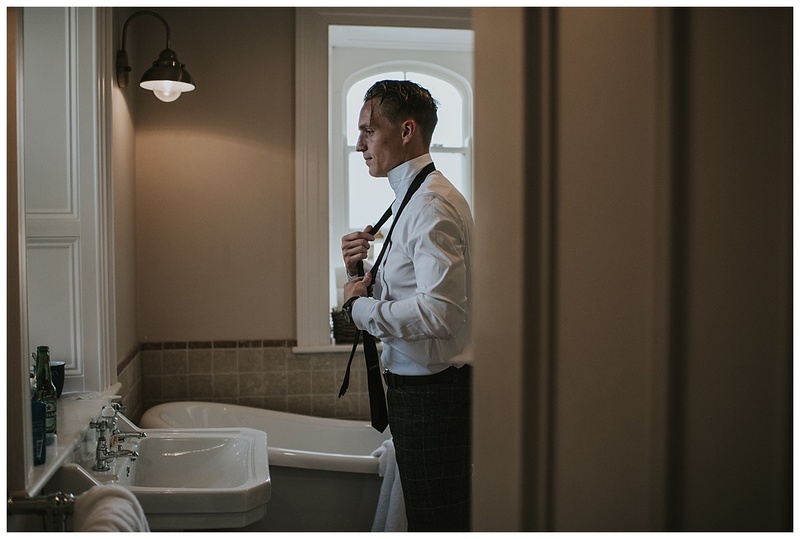 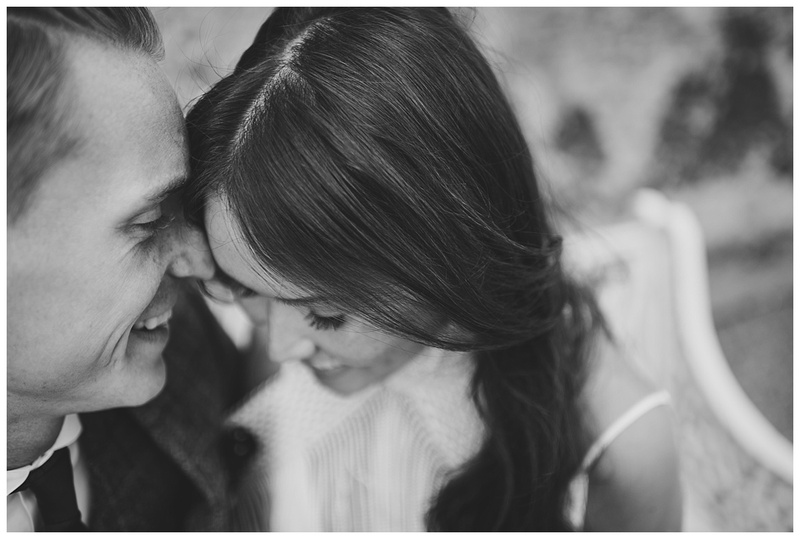 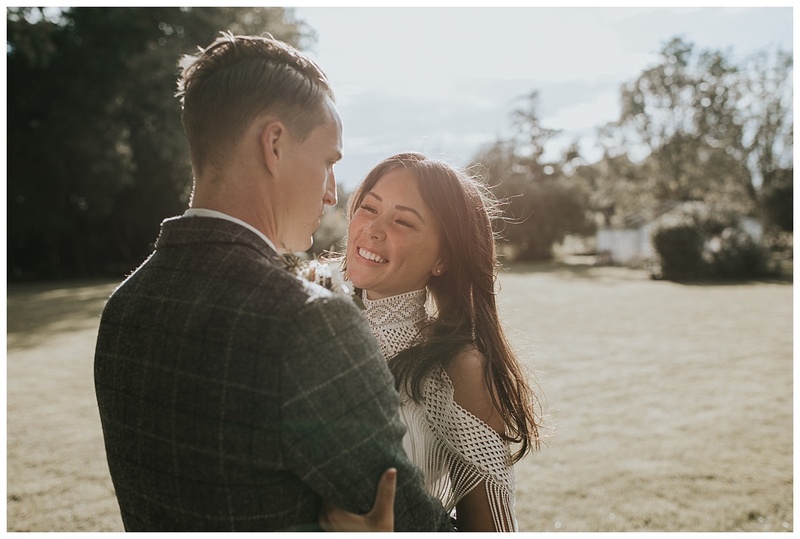 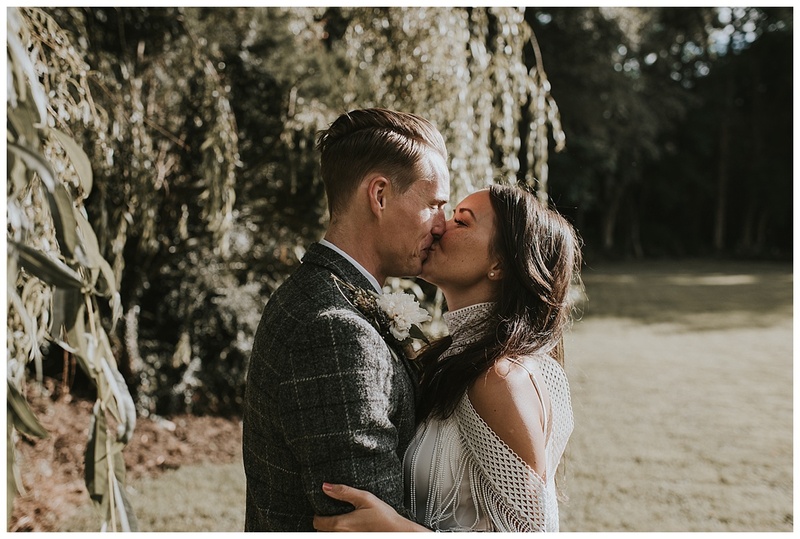 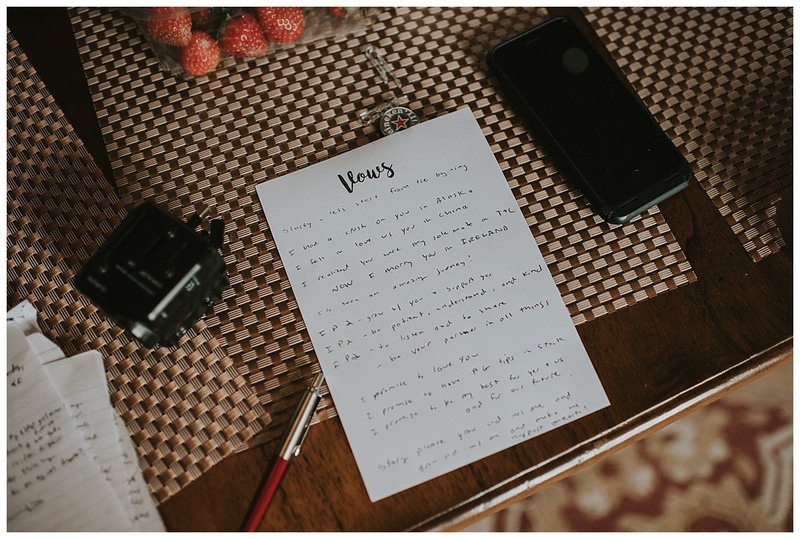 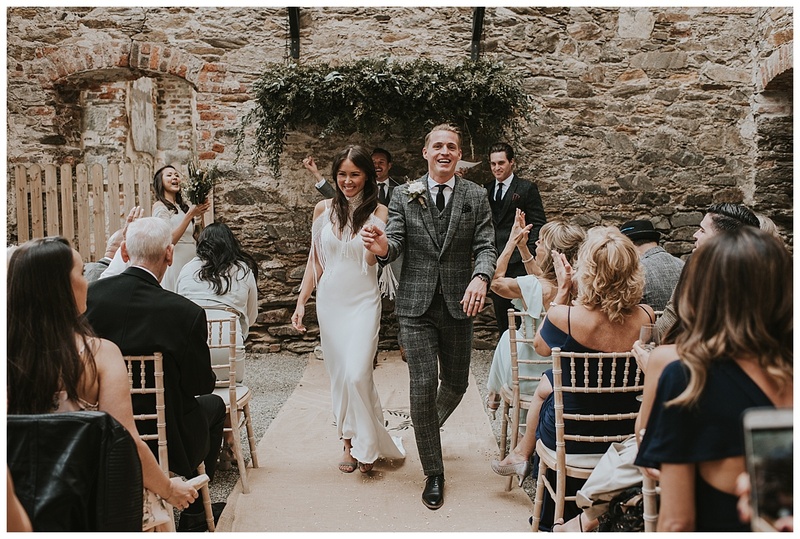 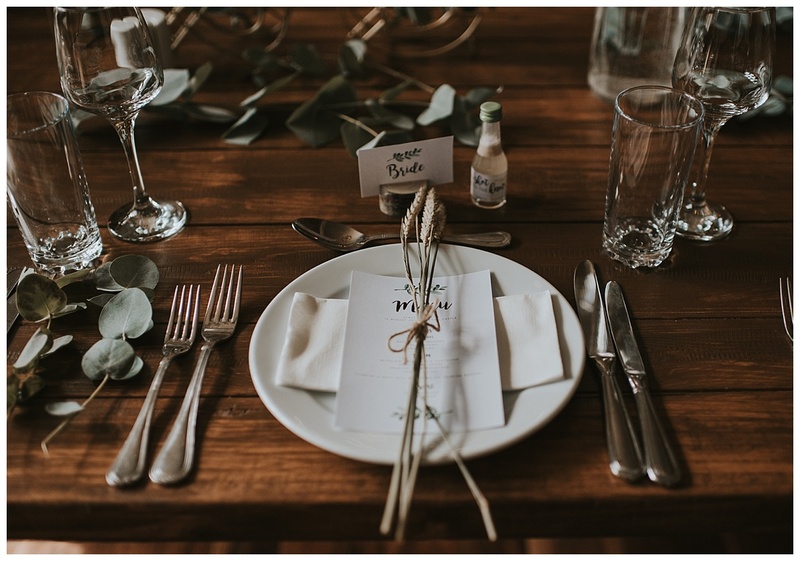 Stacey and Travis had the most beautiful and intimate wedding surrounded by their closest friends and family who travelled from all over the world to be there with them to celebrate their special day. 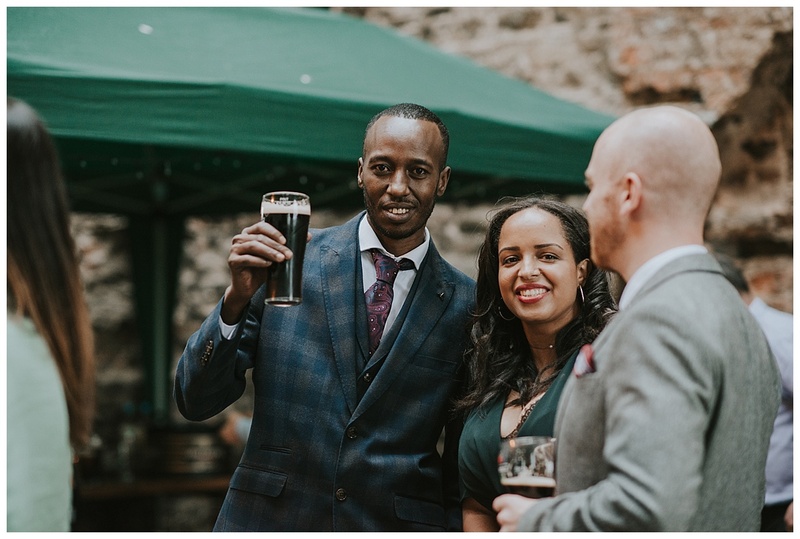 A lot of them had never even been to Ireland before so what a great introduction it was. 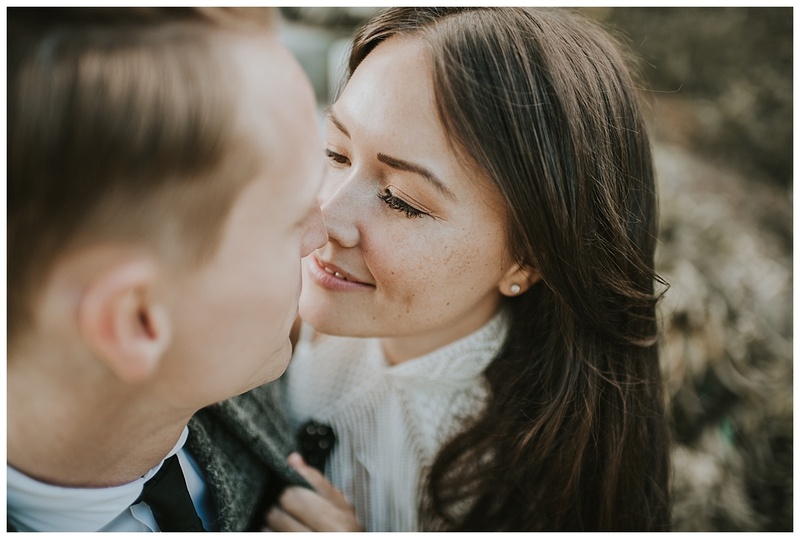 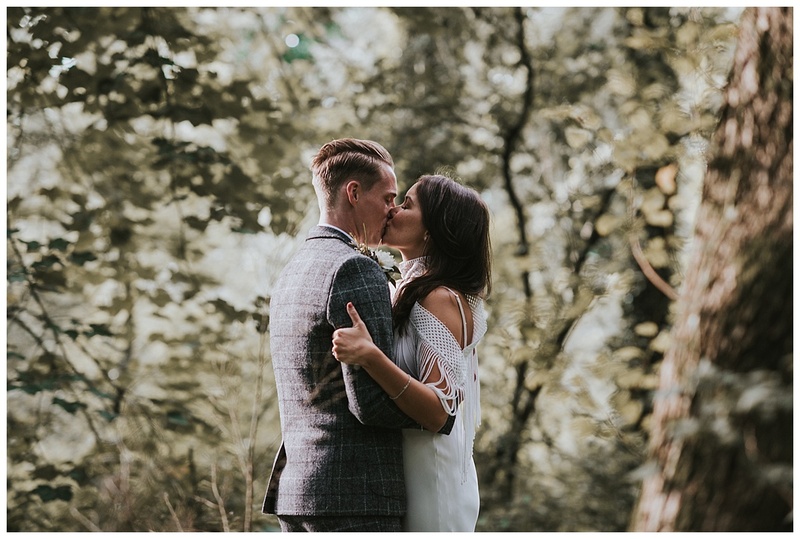 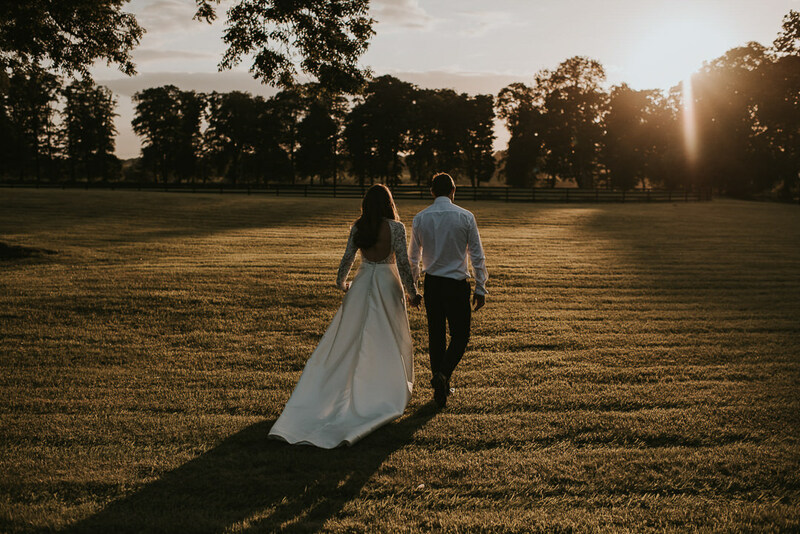 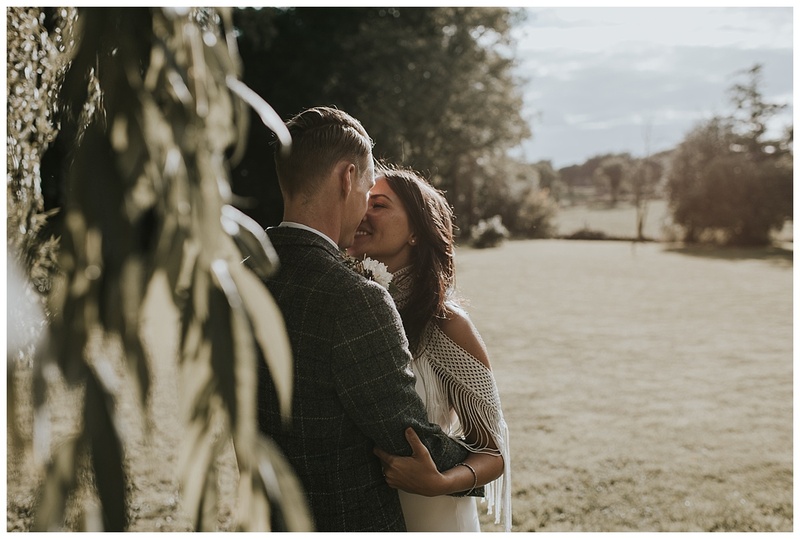 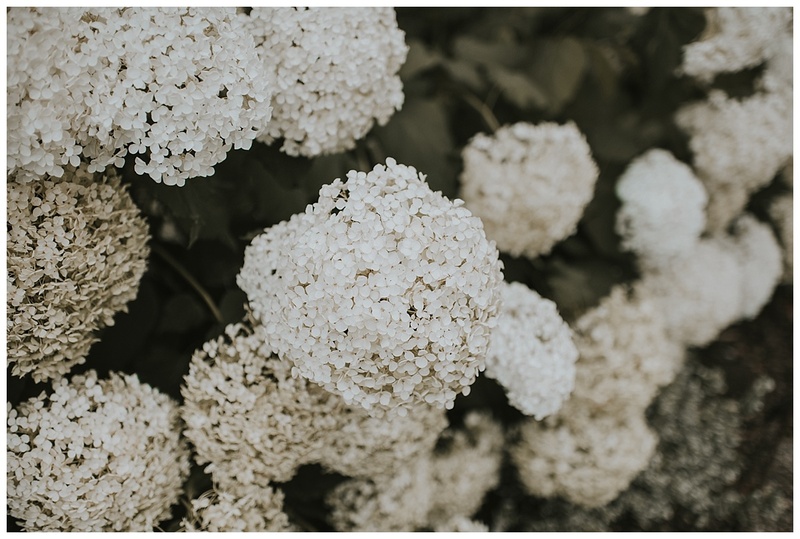 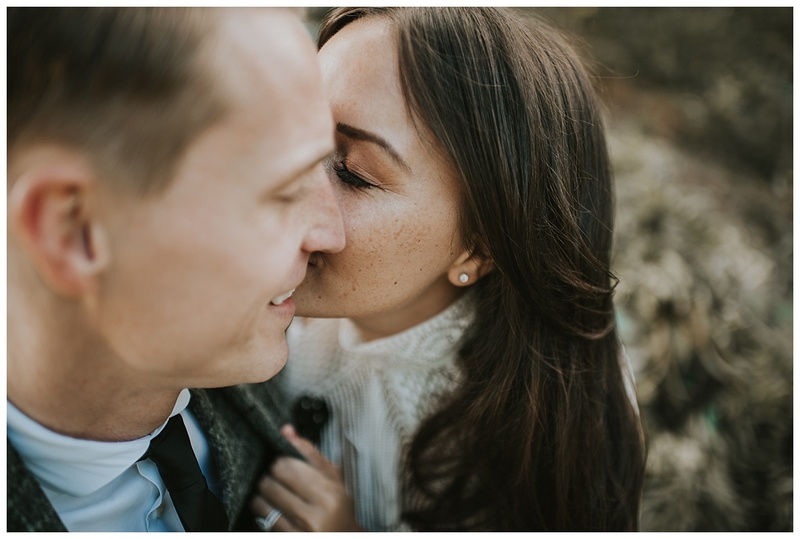 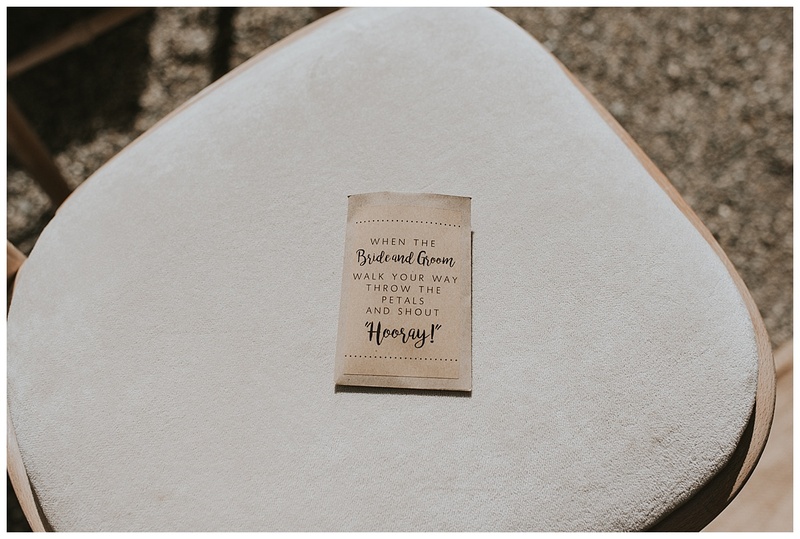 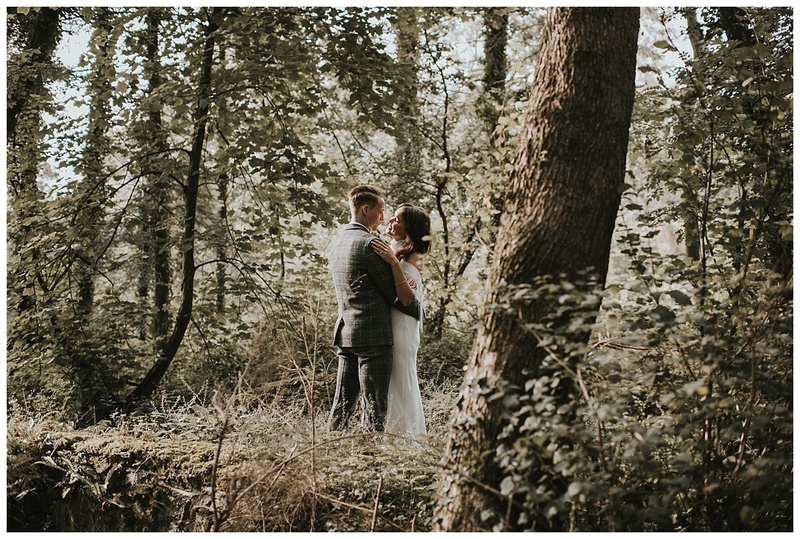 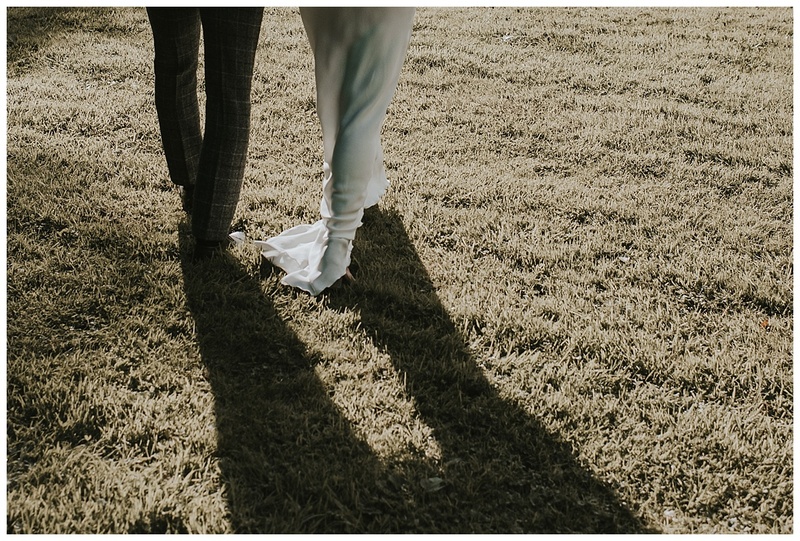 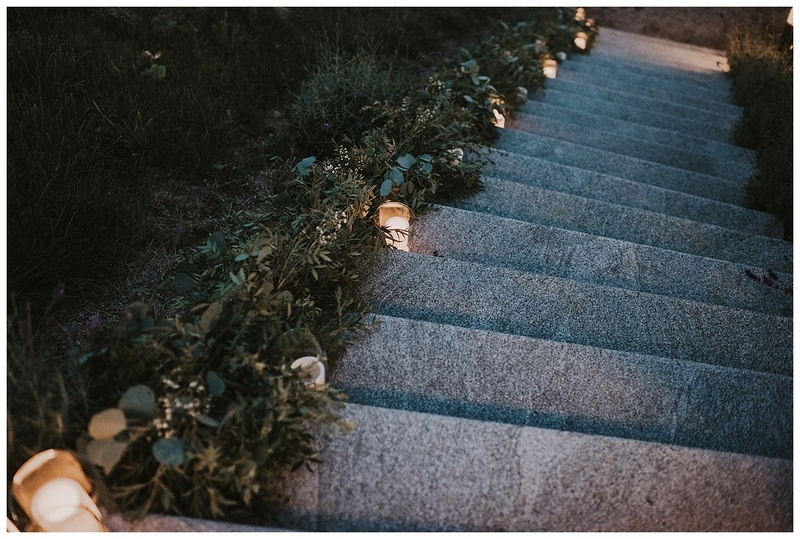 They went for a late ceremony on a gorgeous August day and afterwards we caught that dreamy golden hour light that is so rare to get on a wedding day! 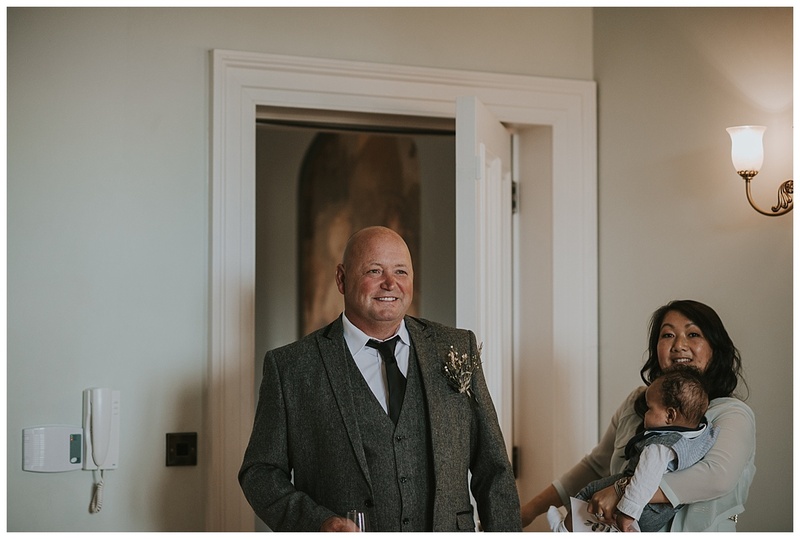 Travis’s brother was there to perform the blessing and one of Stacey’s close friends sang as she walked down the aisle. 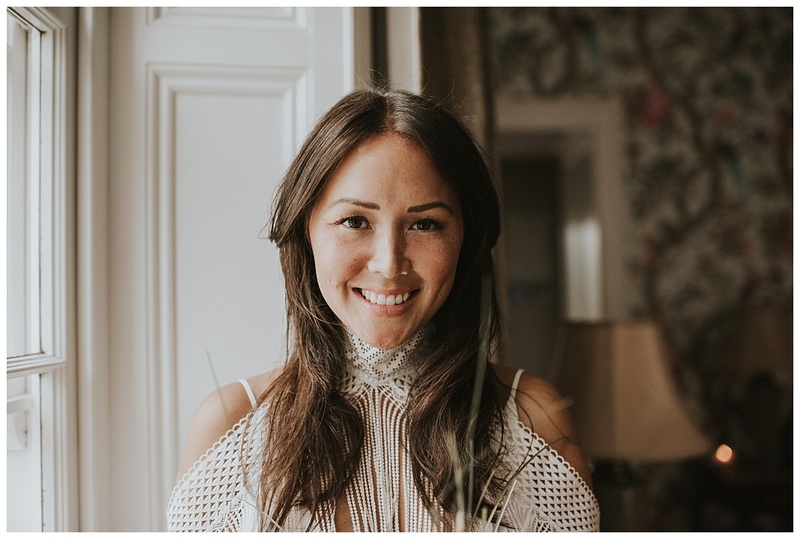 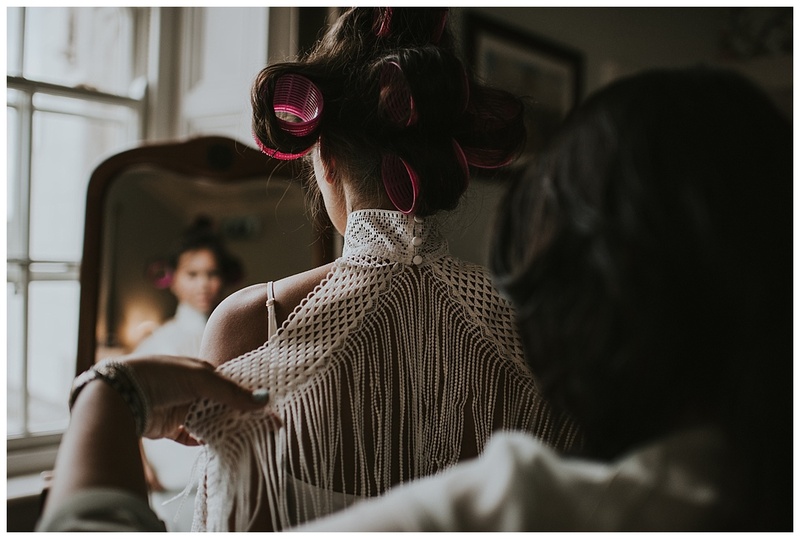 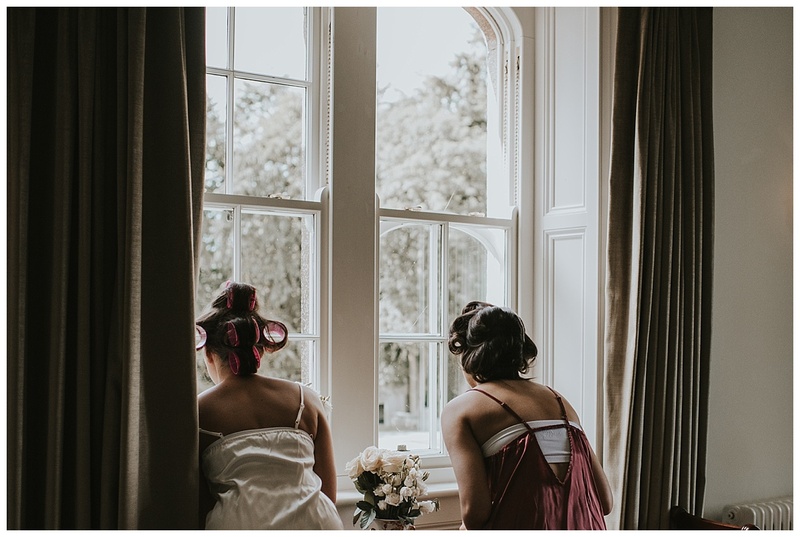 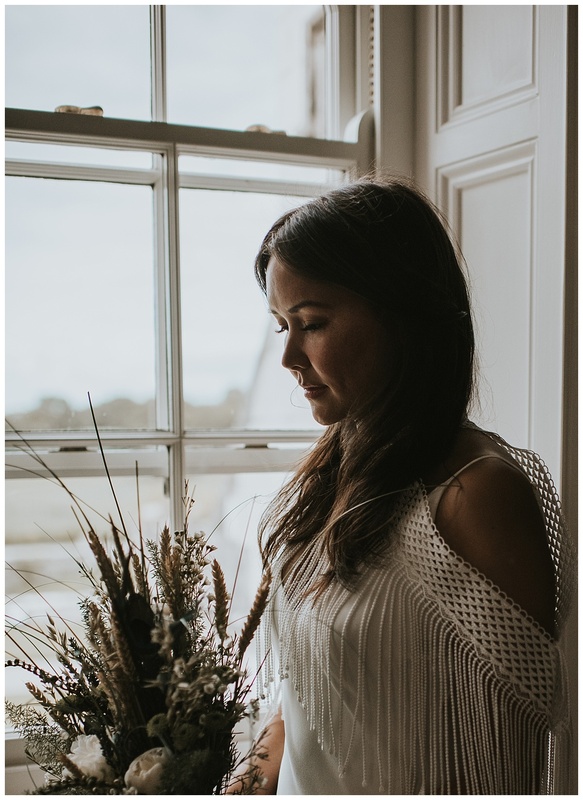 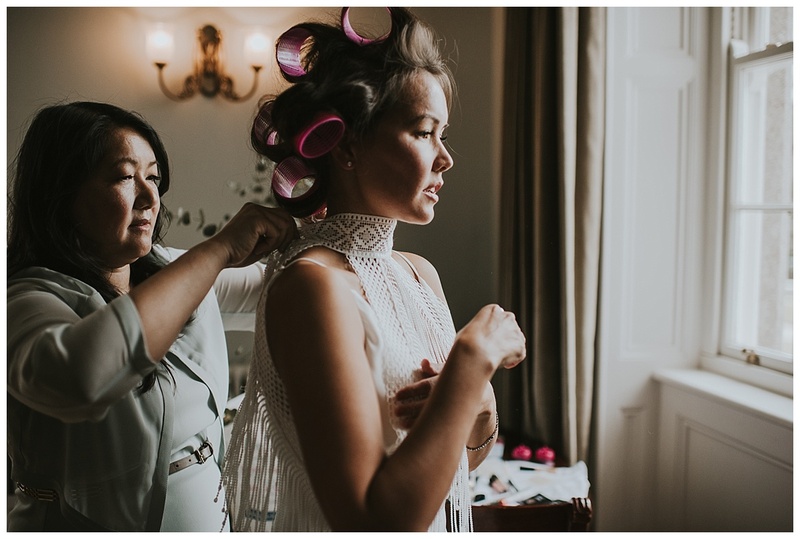 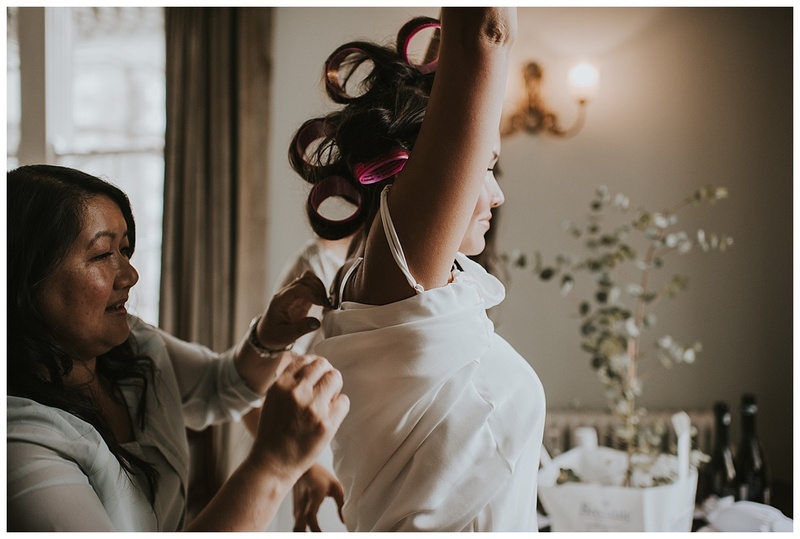 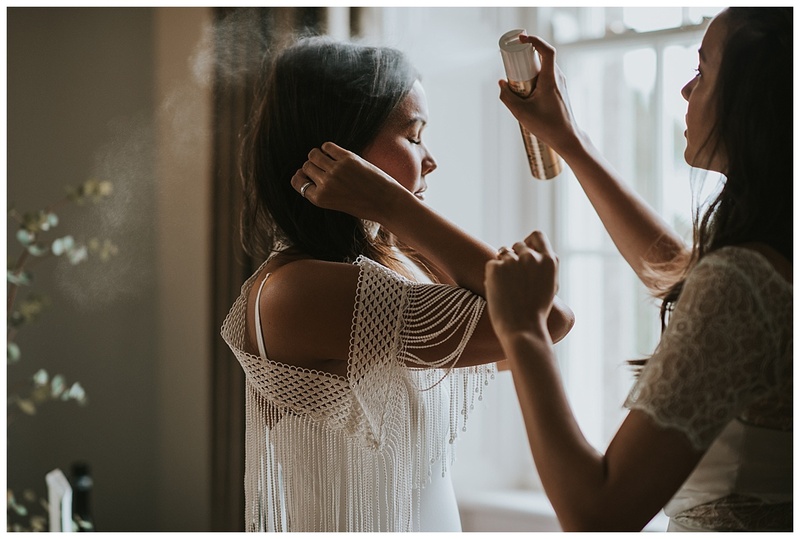 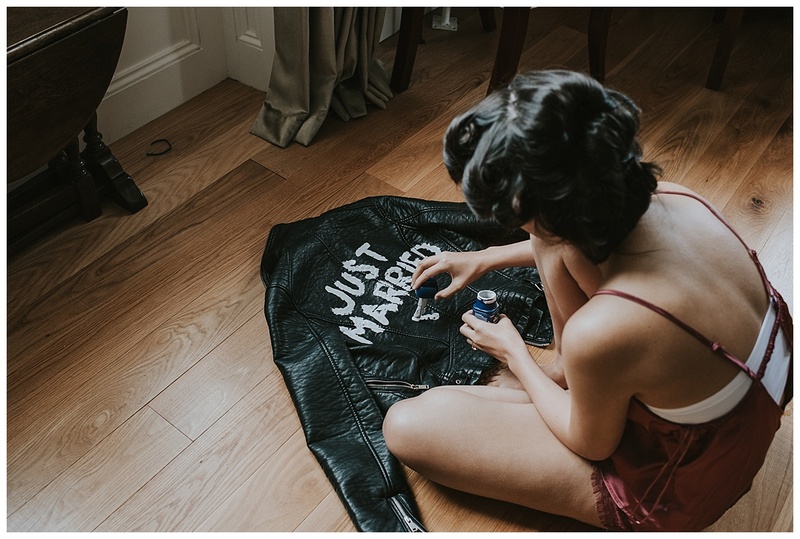 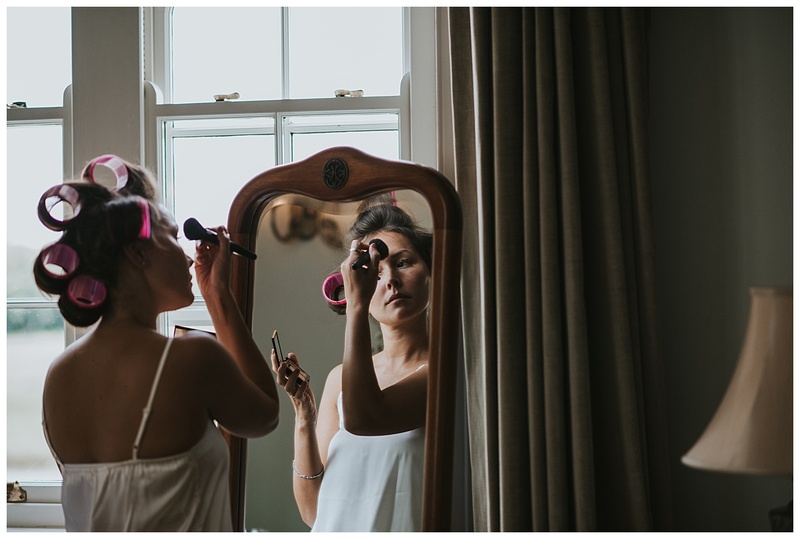 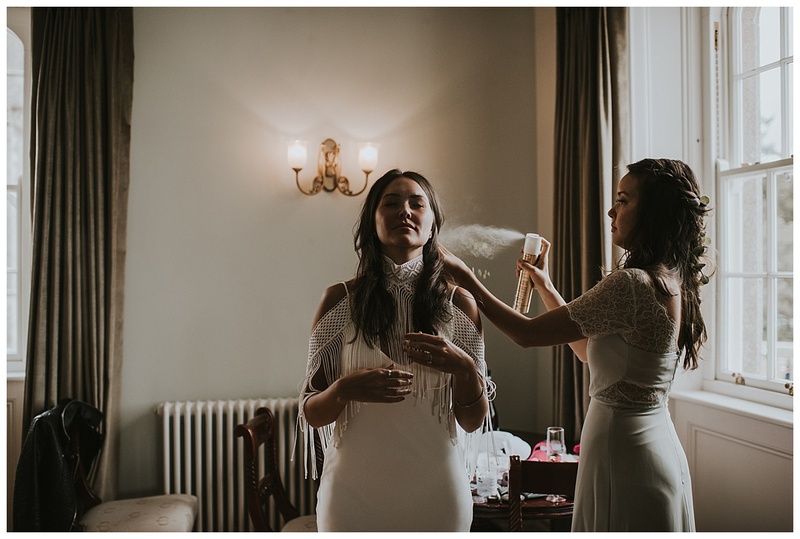 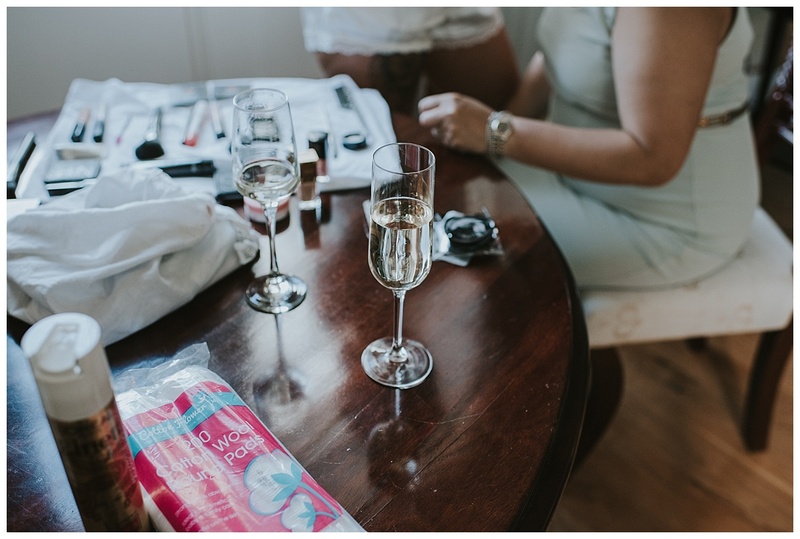 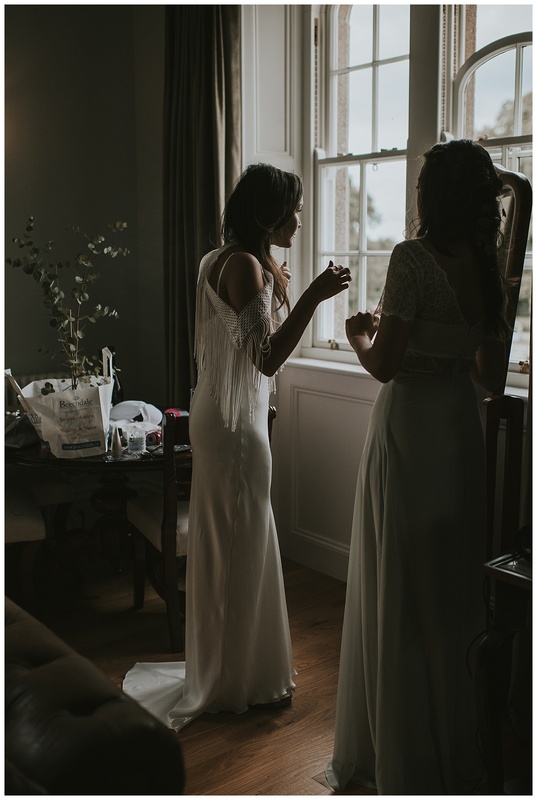 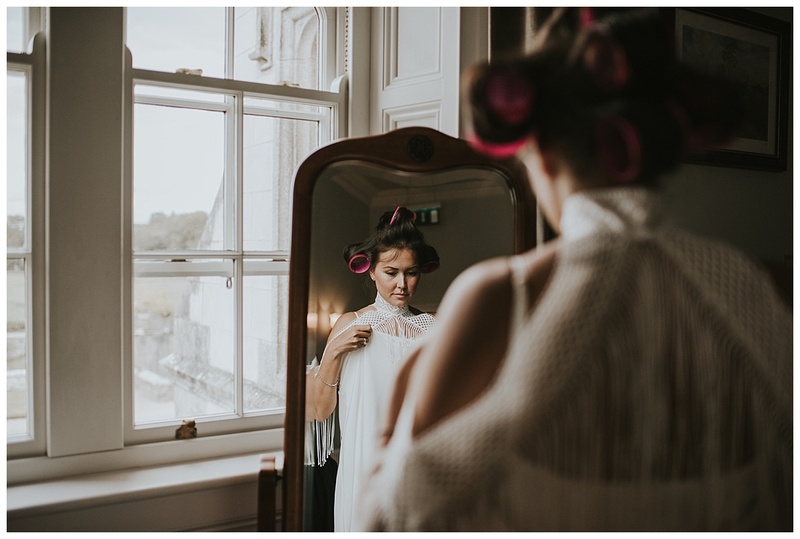 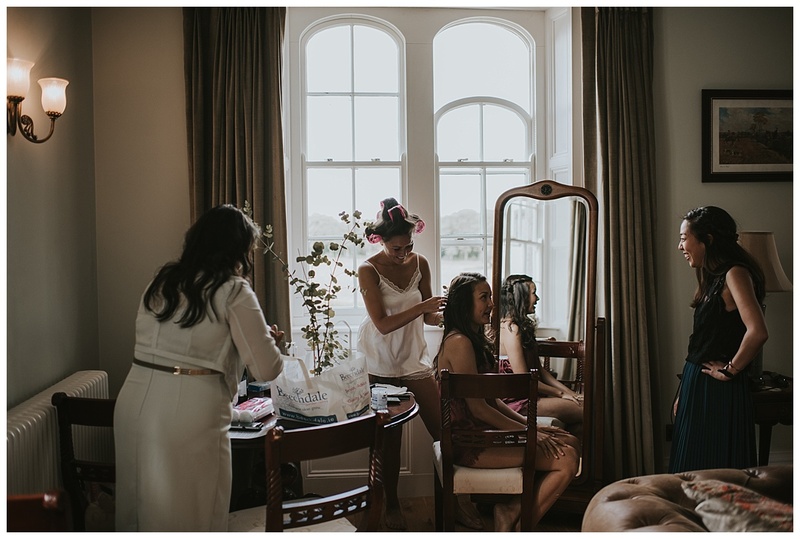 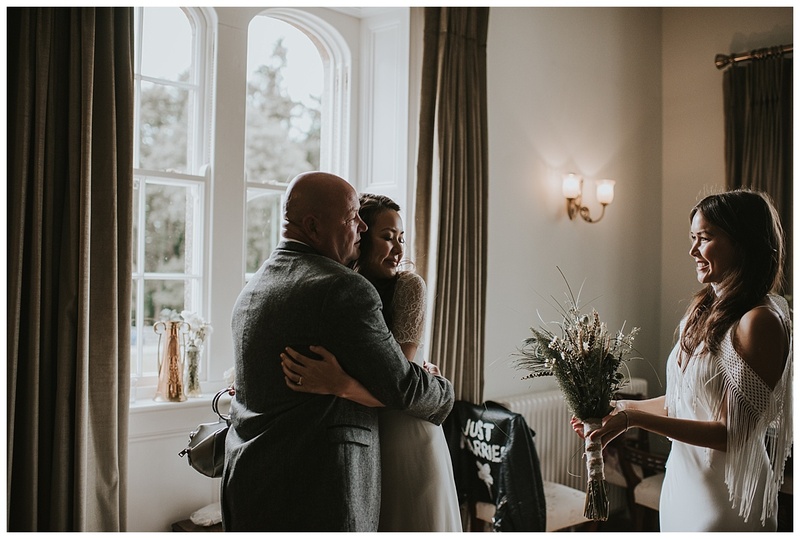 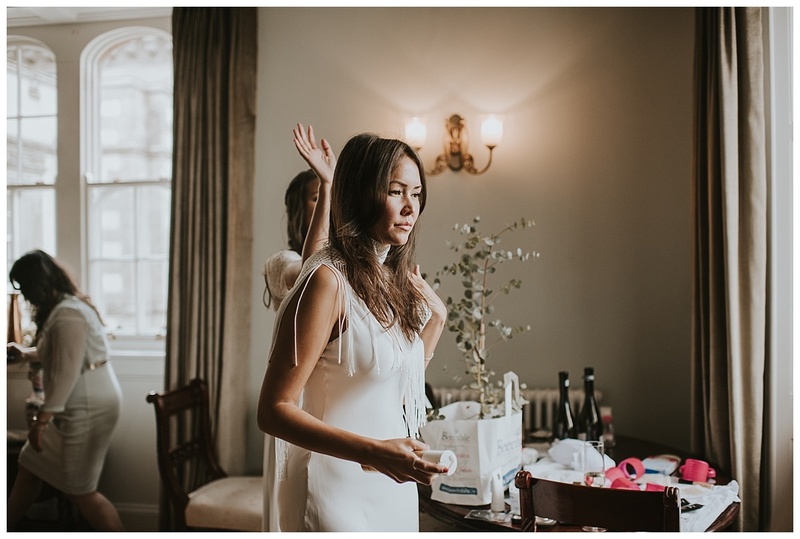 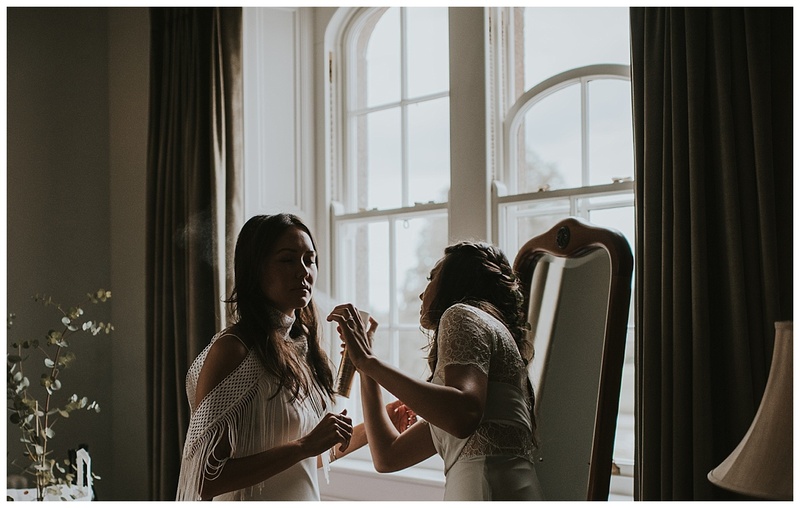 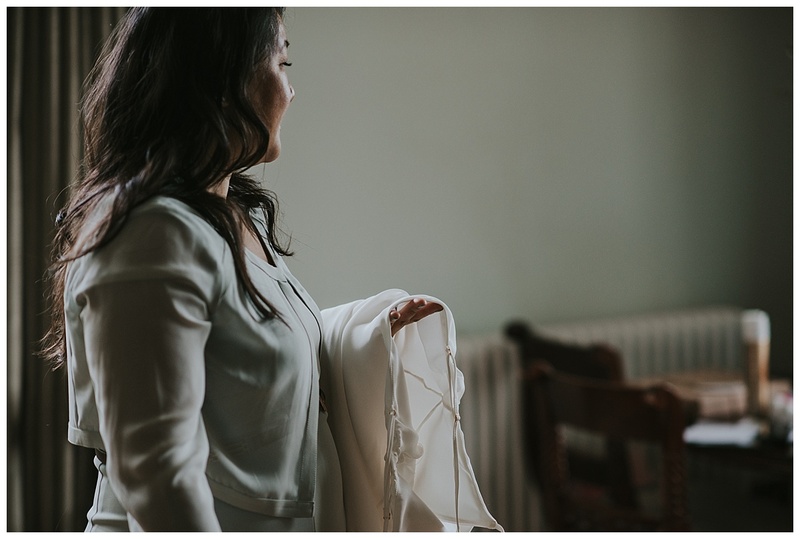 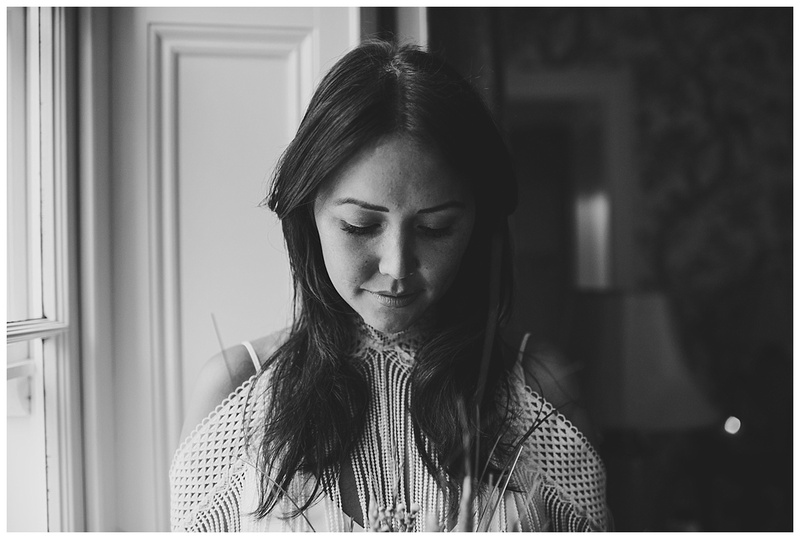 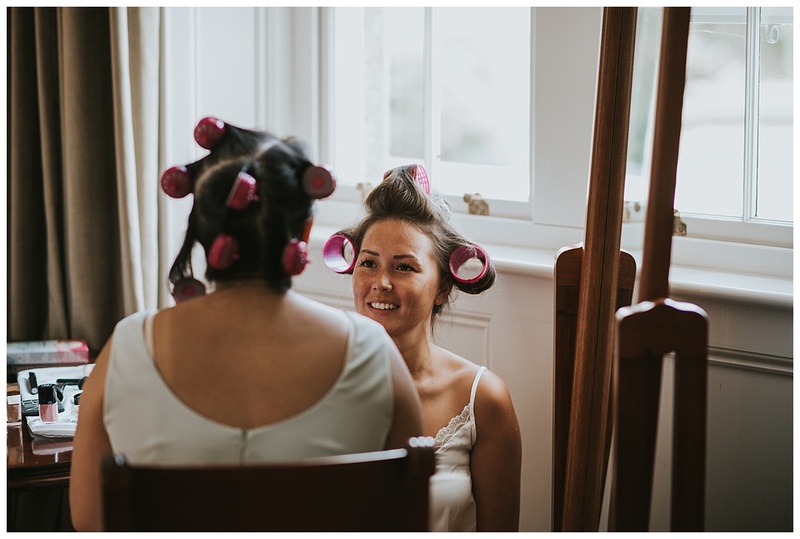 Stacey kept everything very relaxed on the morning of the wedding by doing her own hair and make-up and she even did her sister and mam’s too! 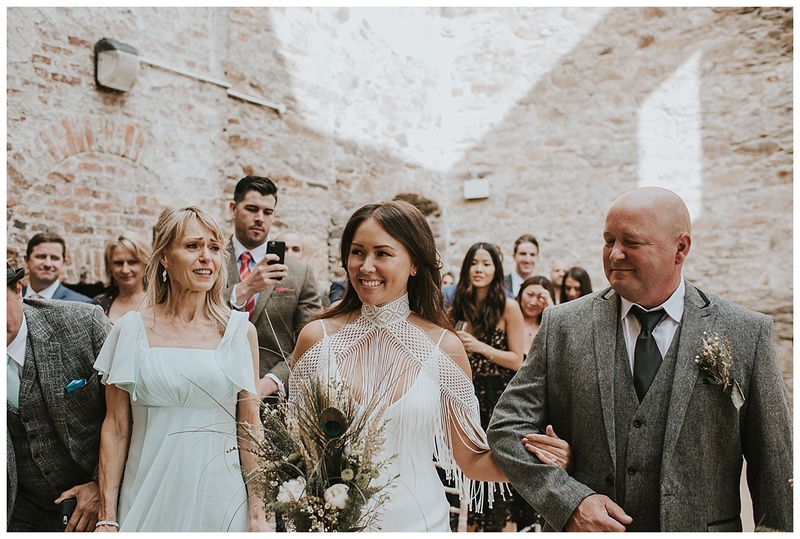 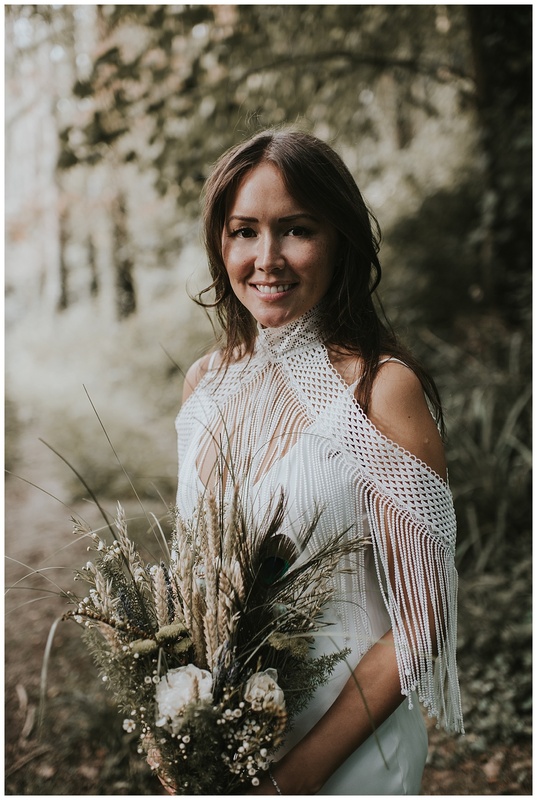 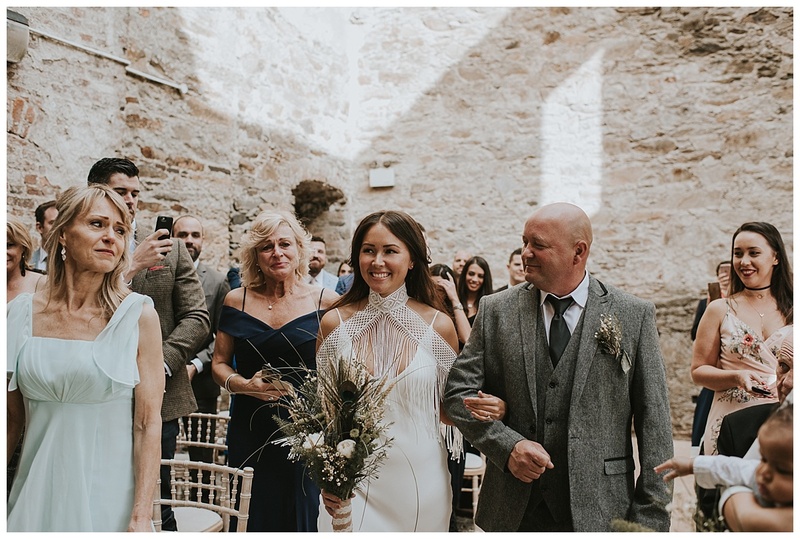 Stacey looked simply stunning in her elegant Grace Loves Lace dress and cape. 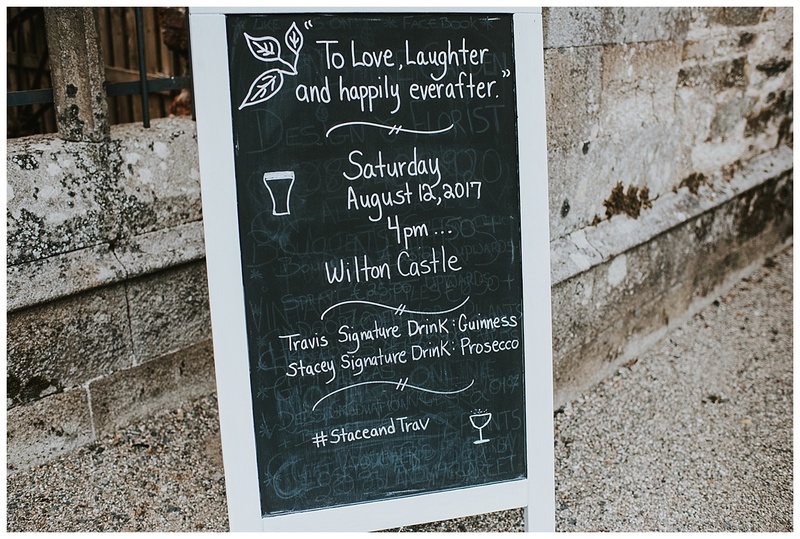 The great thing about Wilton Castle as a venue is that it is a complete blank canvas to do what you want for your wedding day and that is exactly what Stacey and Travis did, they had a pig on a spit and games on the grounds as well as a bar for the guests to enjoy as they partied into the night at the outdoor dancefloor! 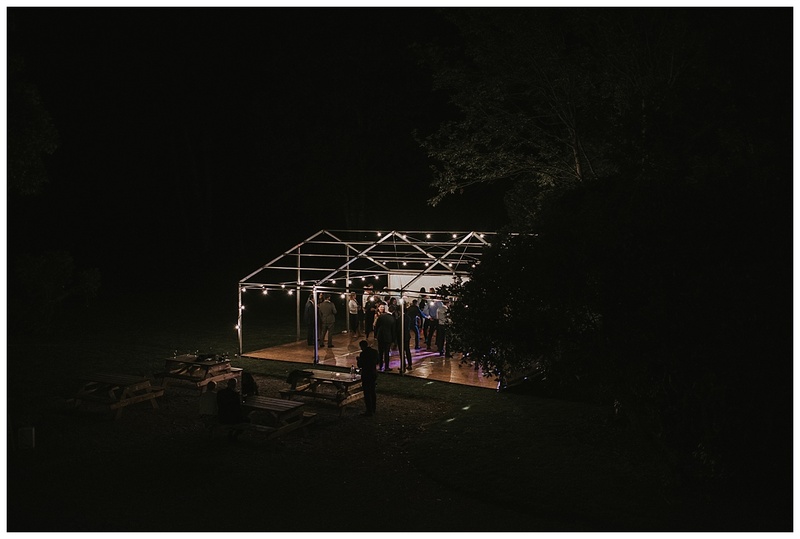 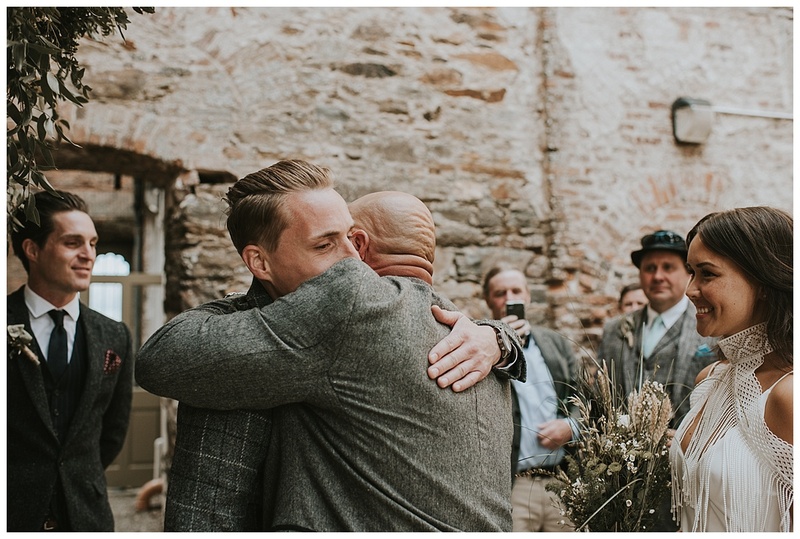 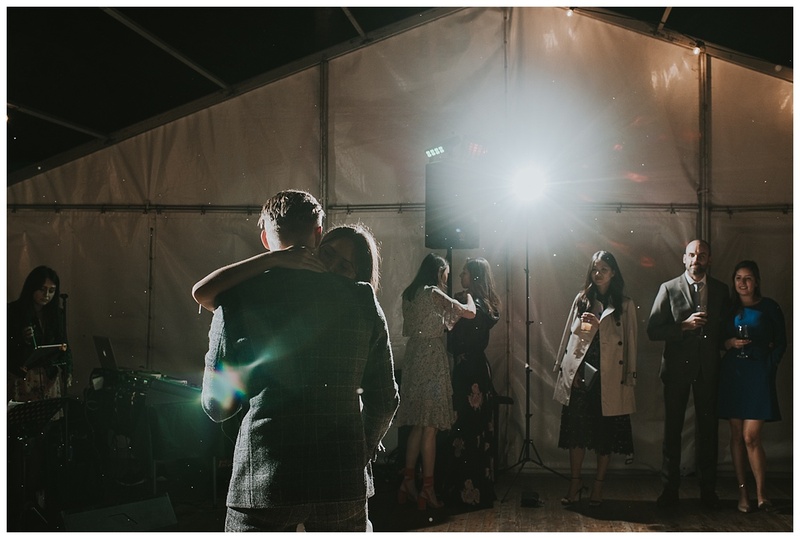 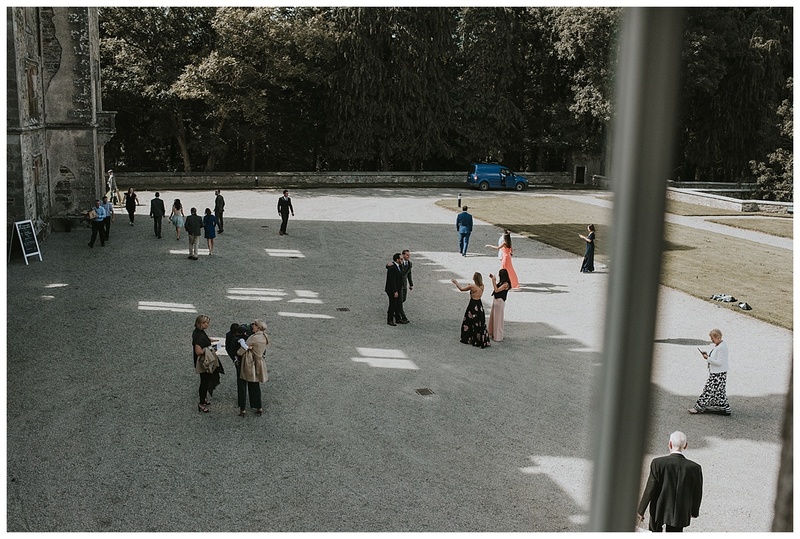 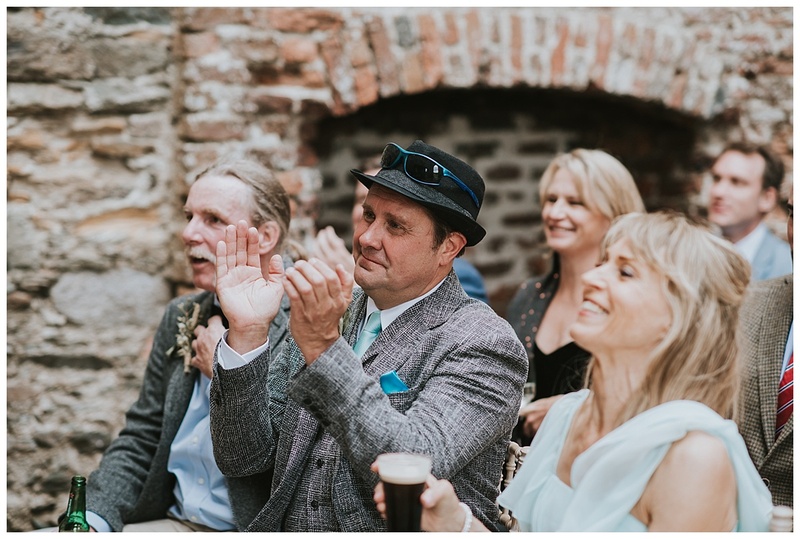 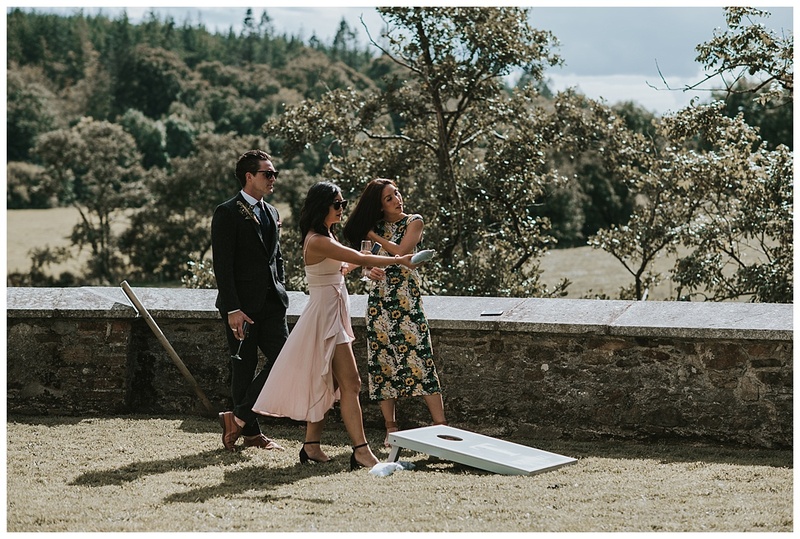 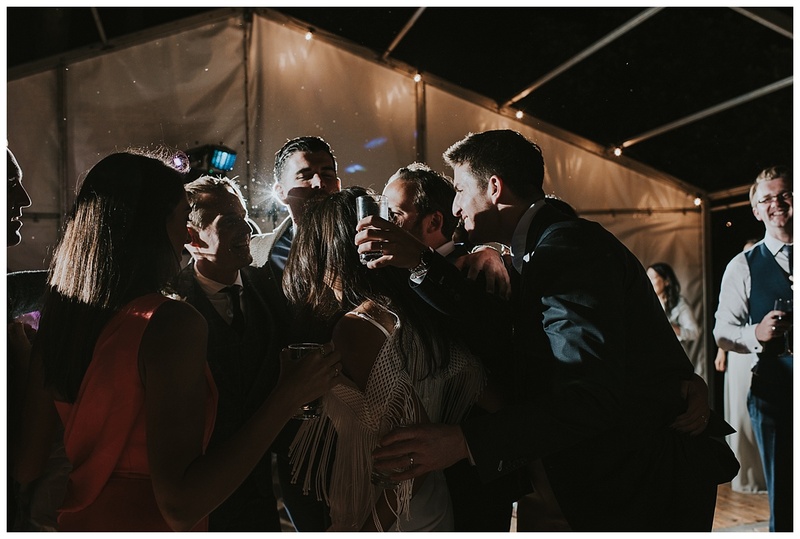 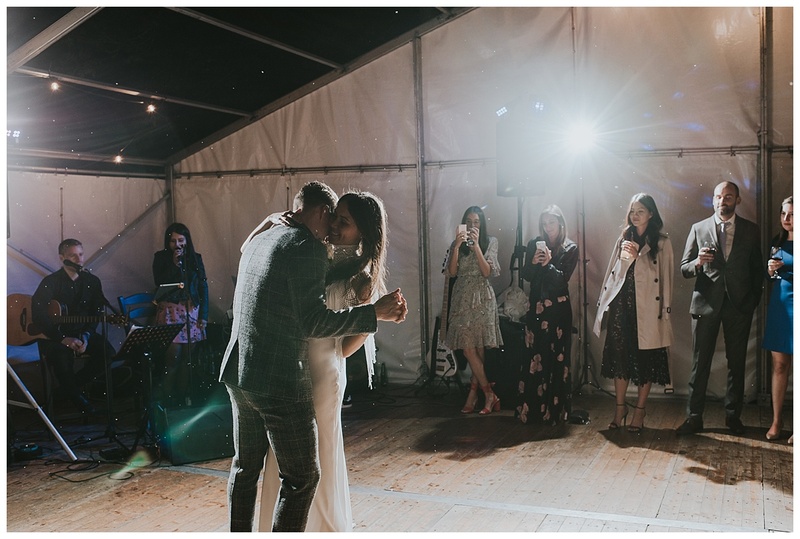 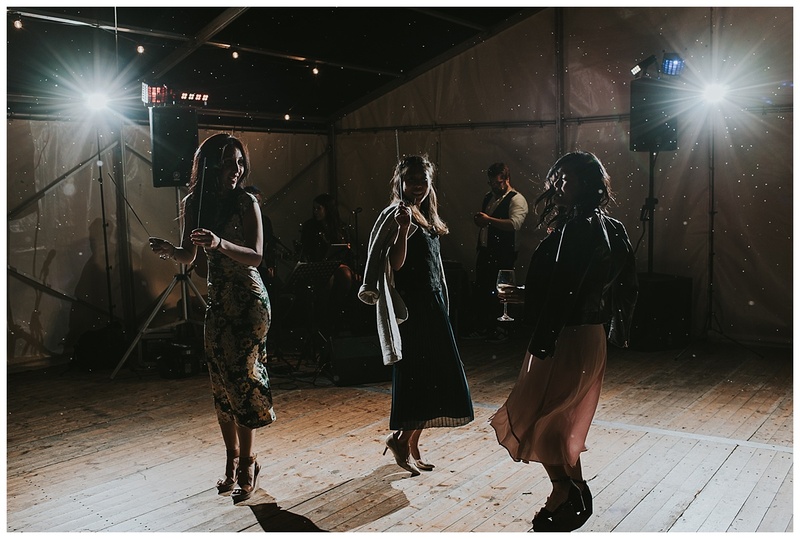 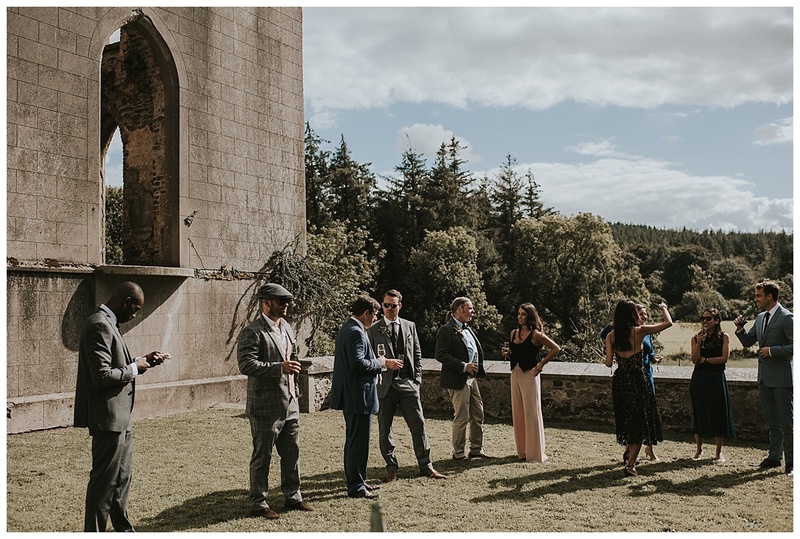 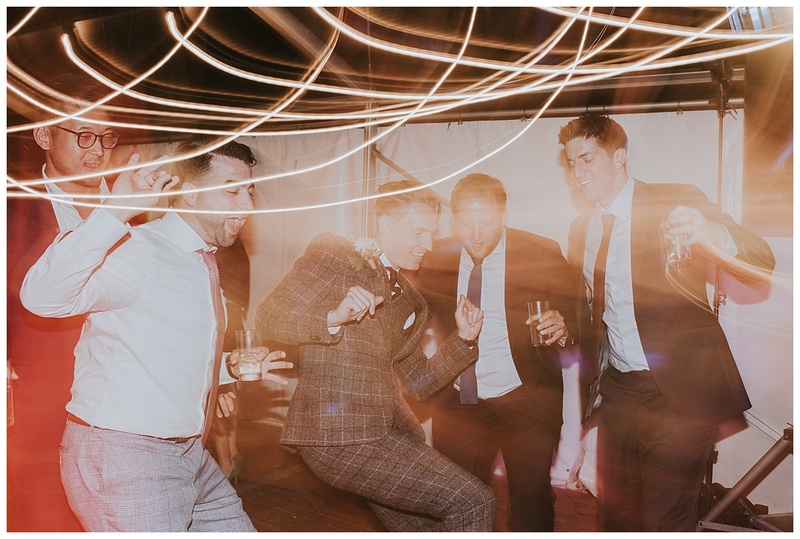 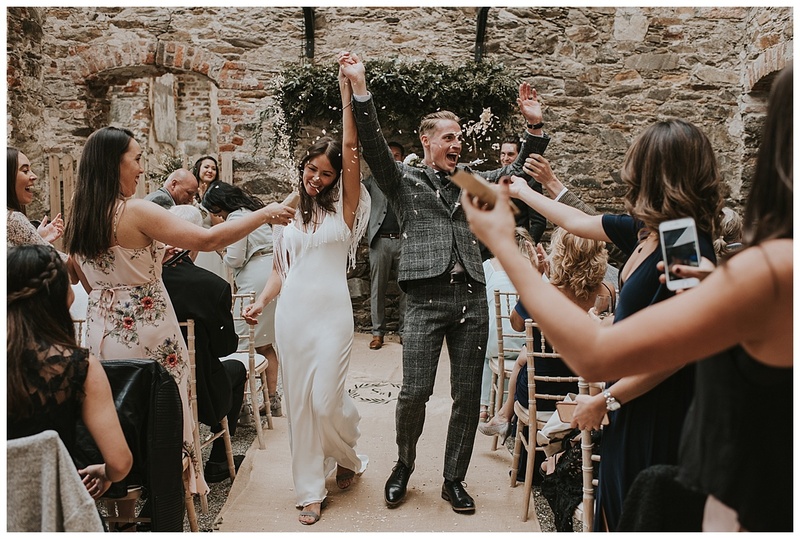 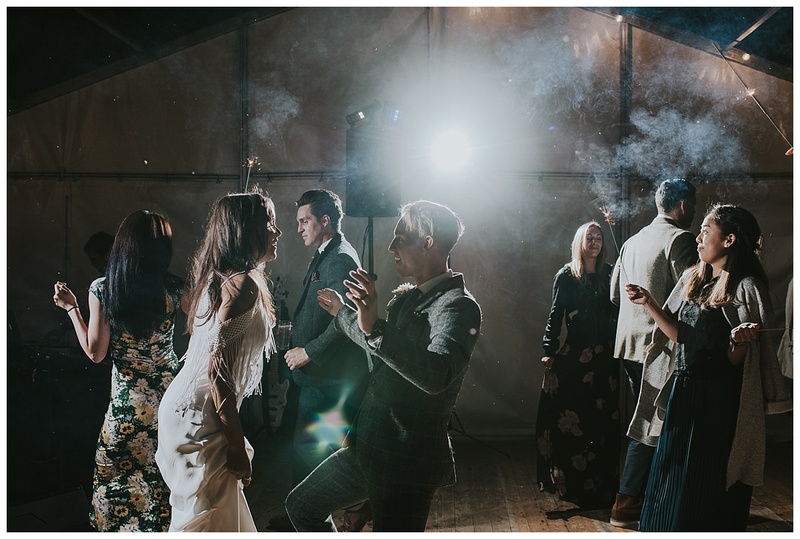 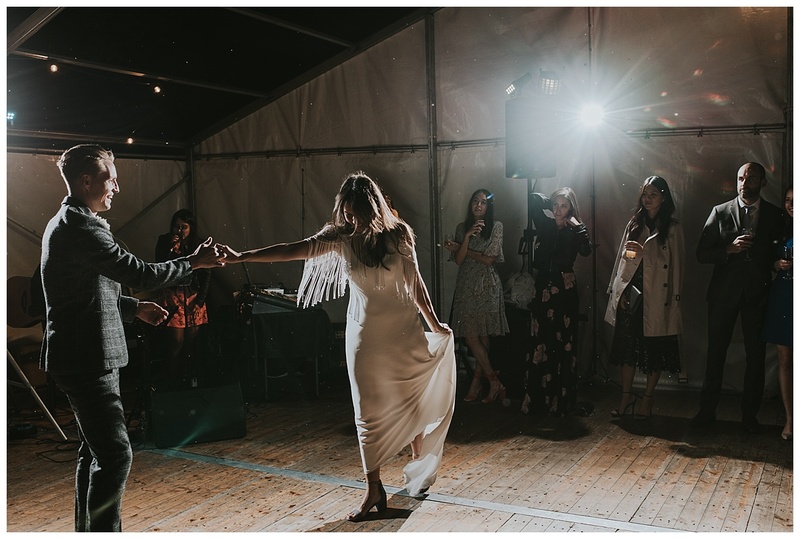 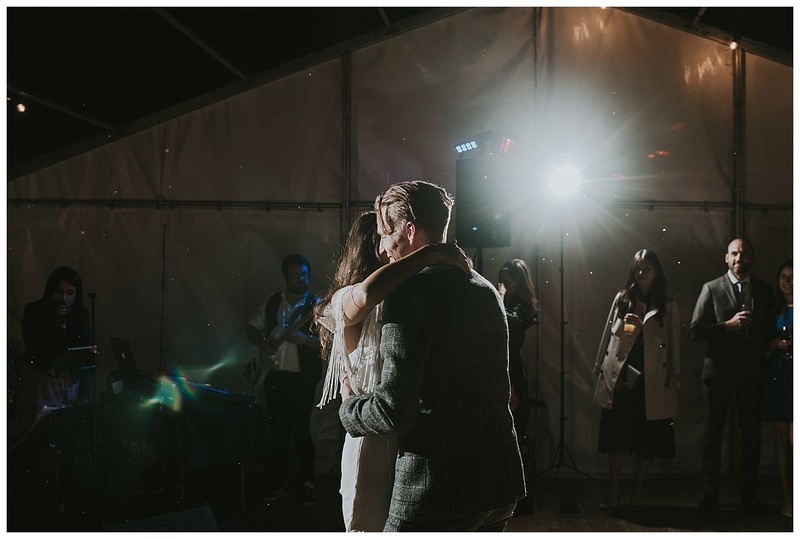 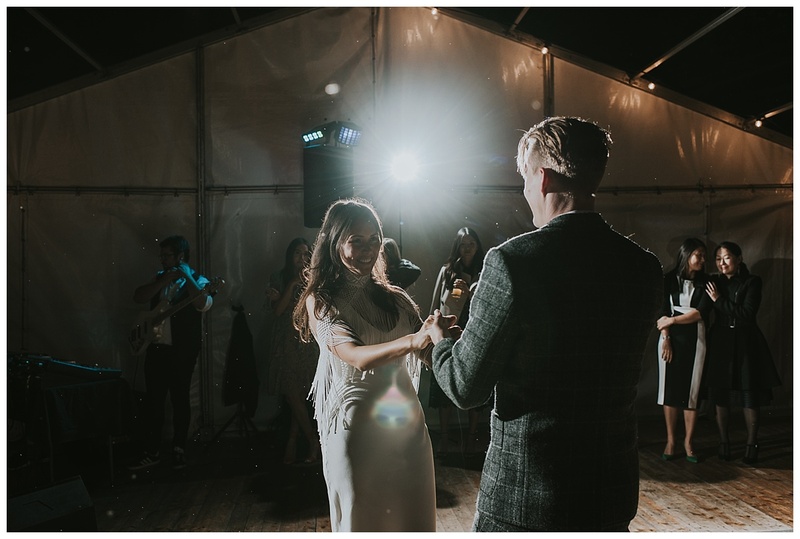 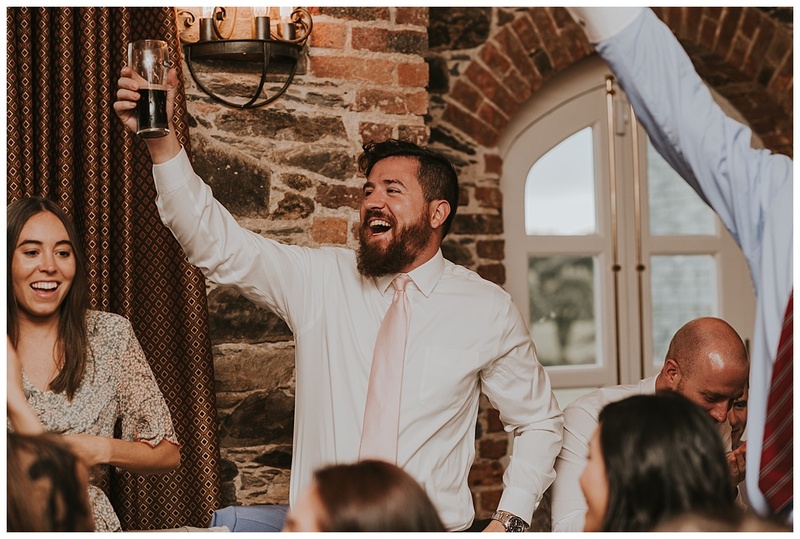 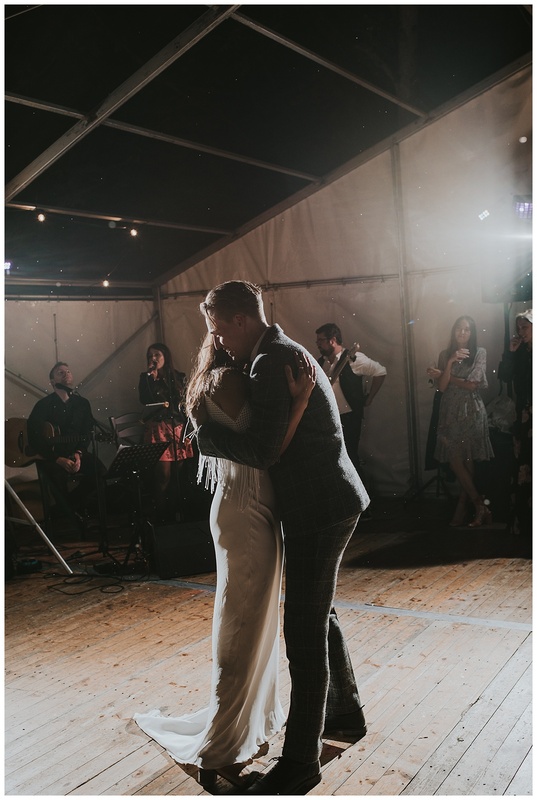 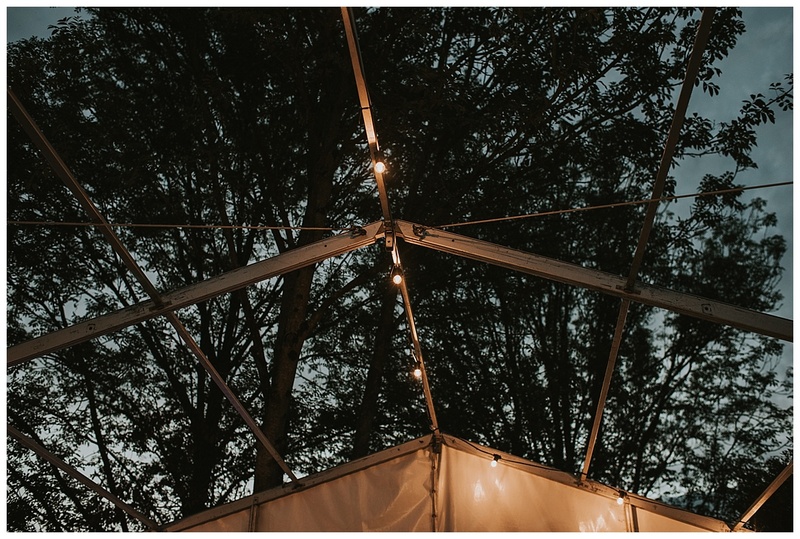 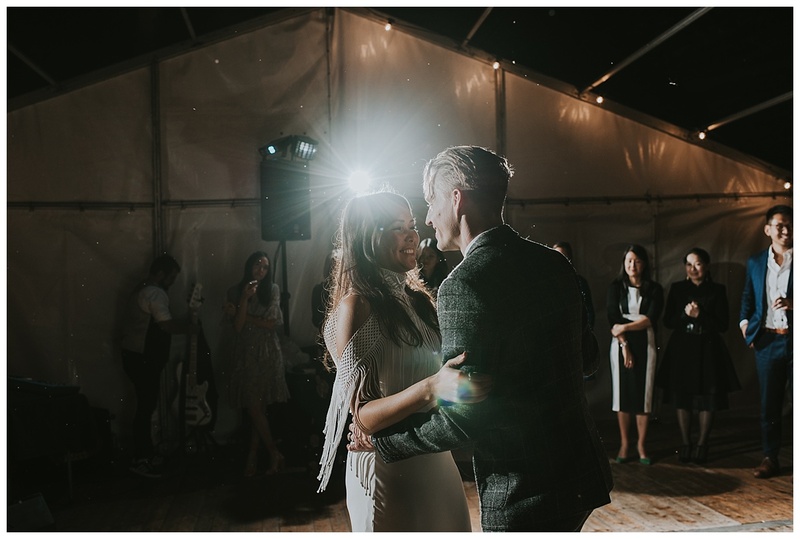 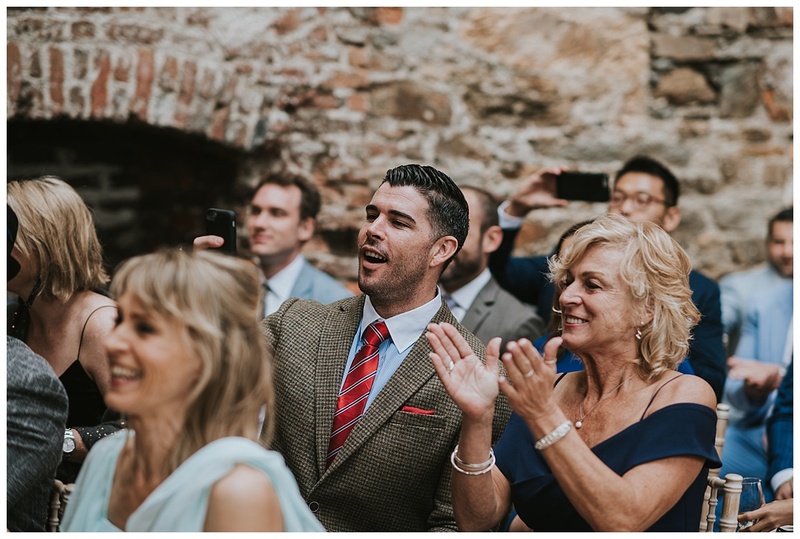 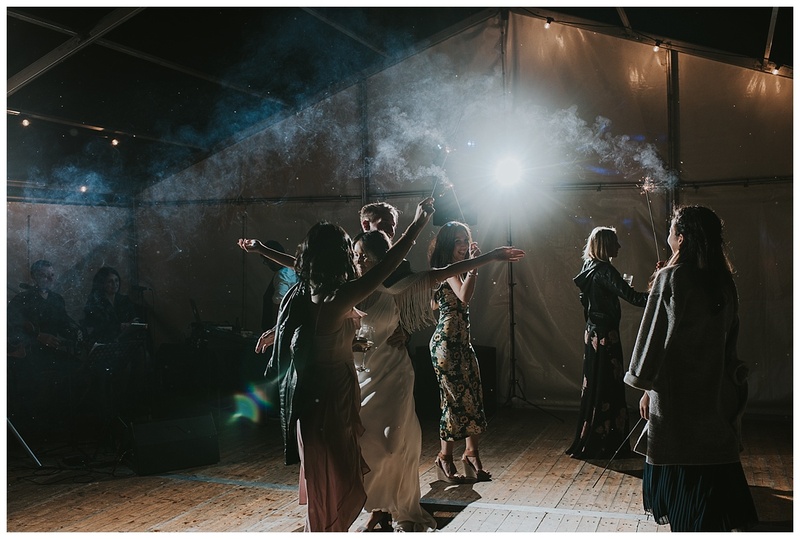 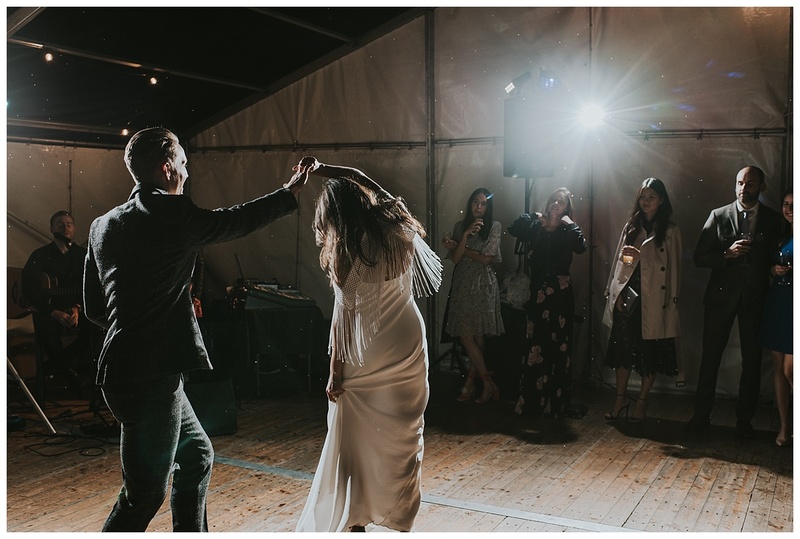 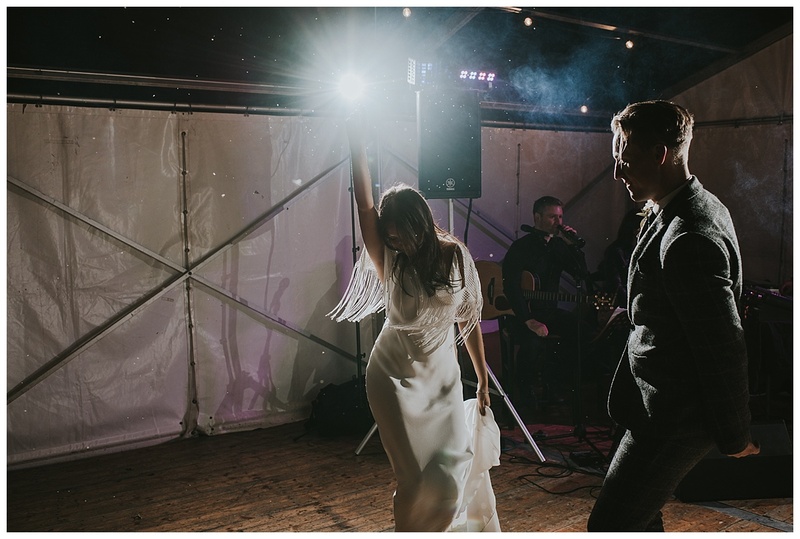 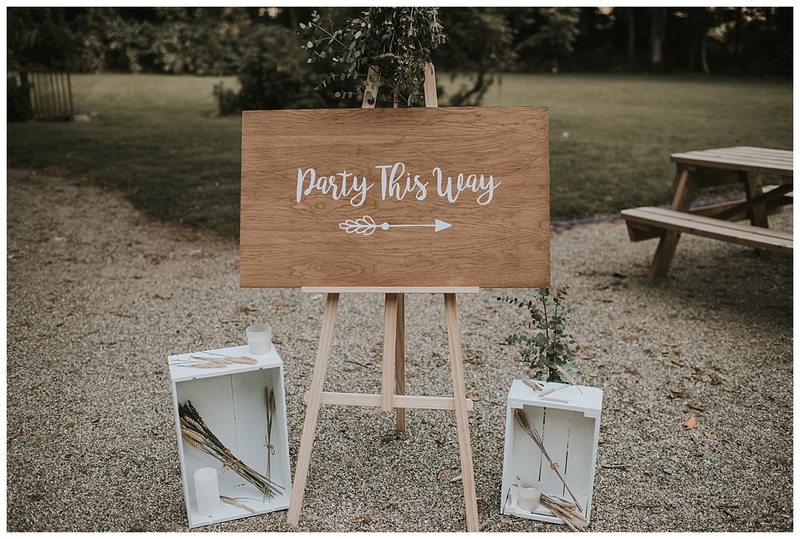 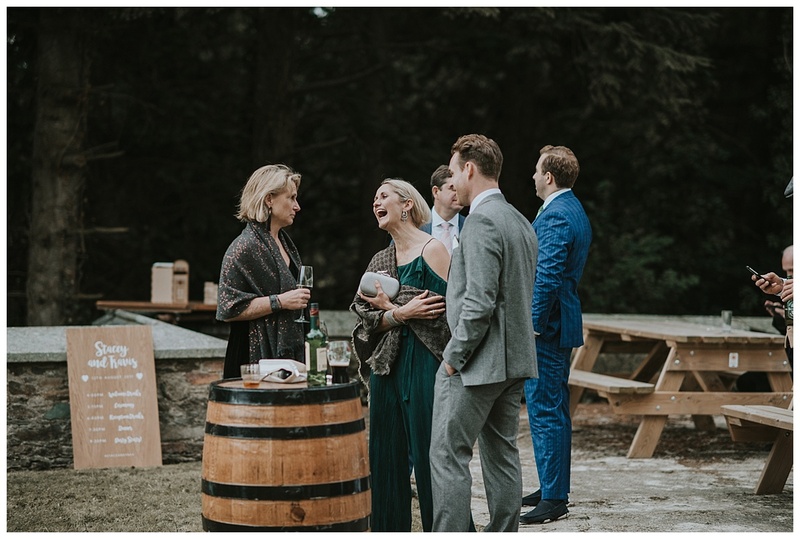 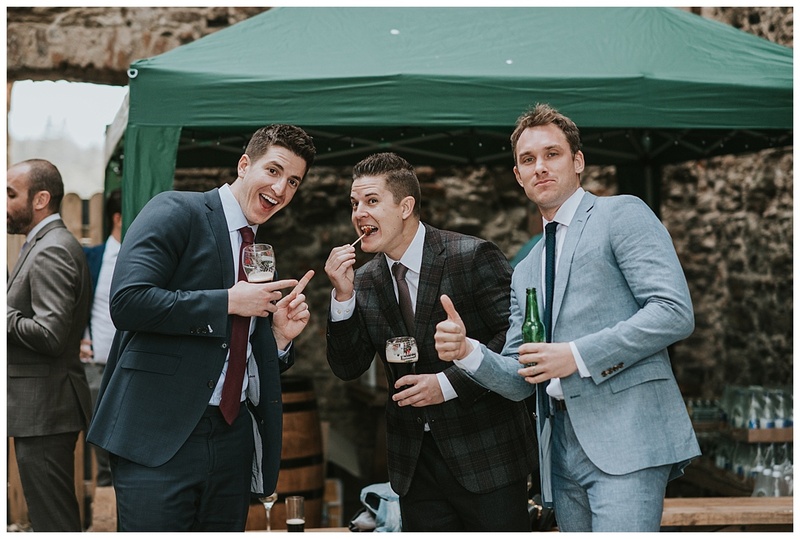 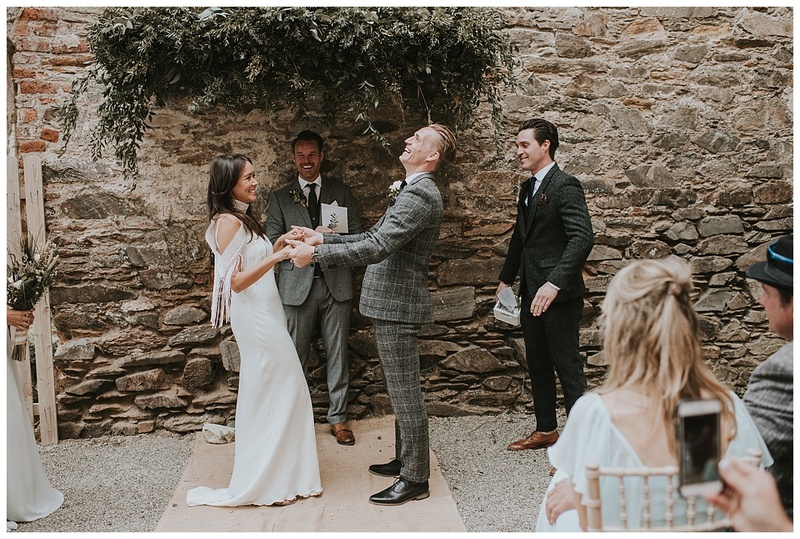 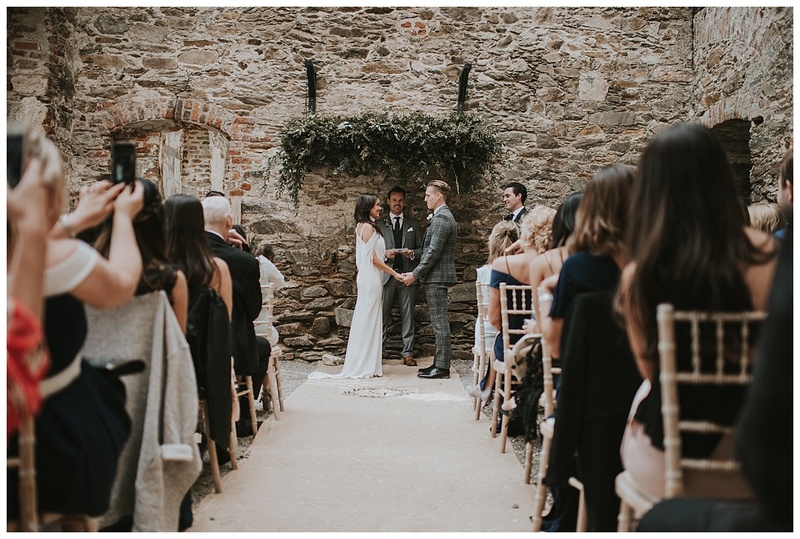 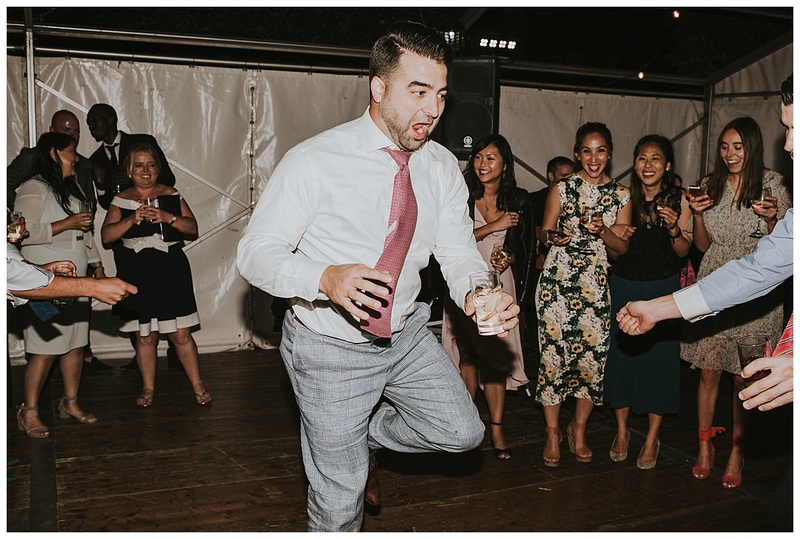 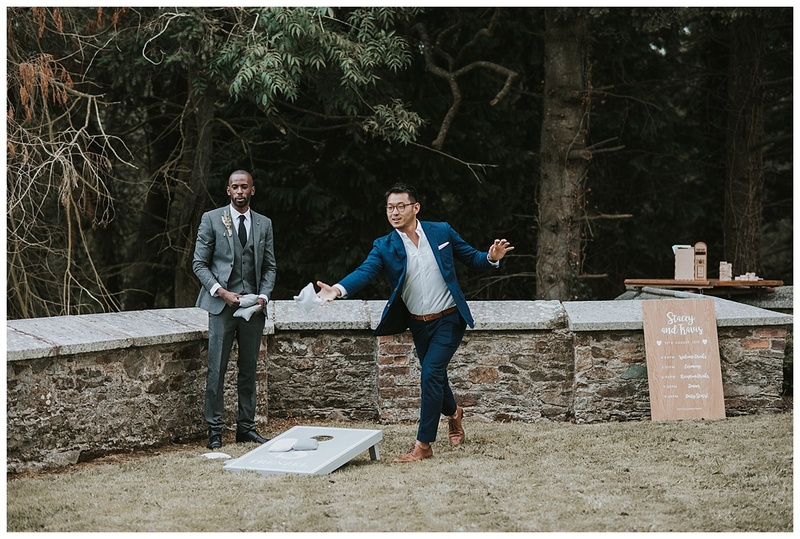 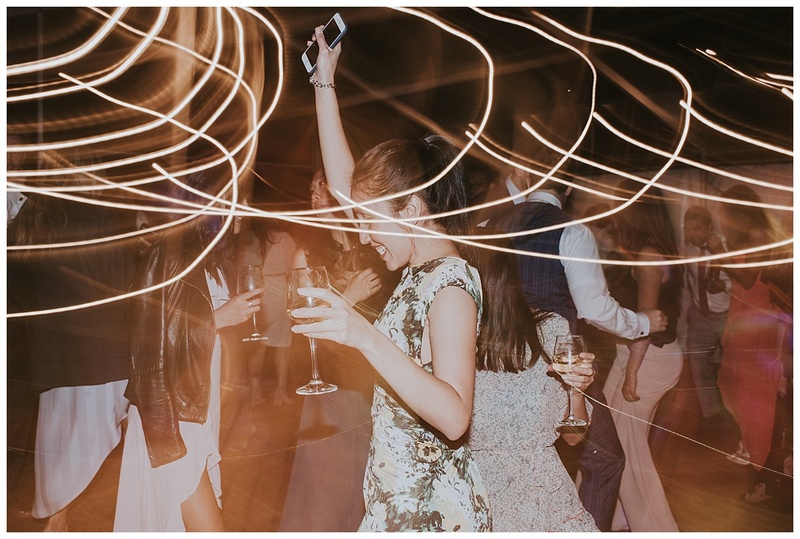 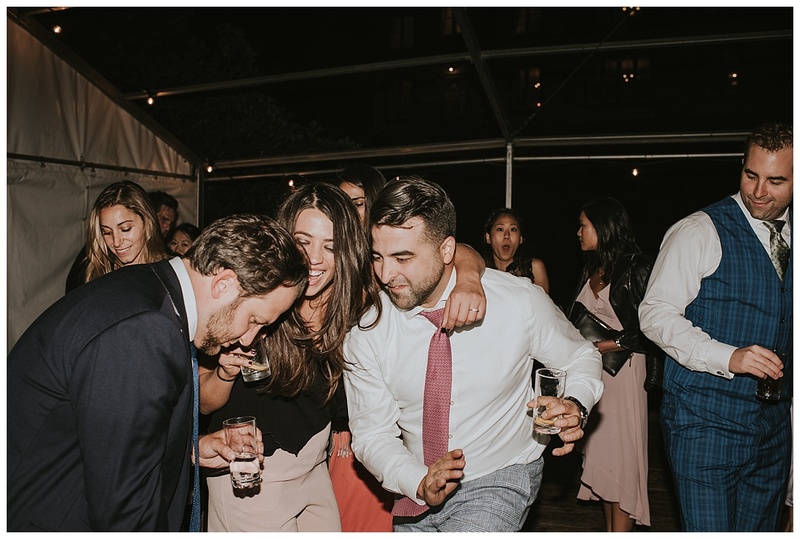 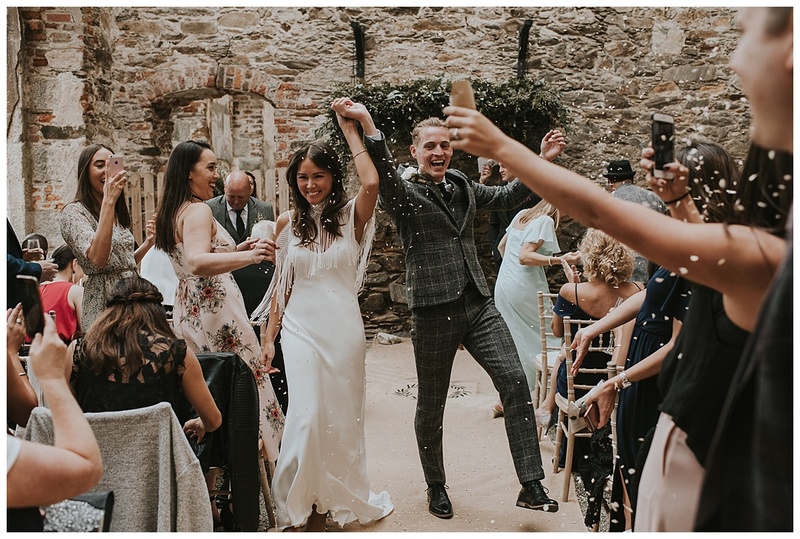 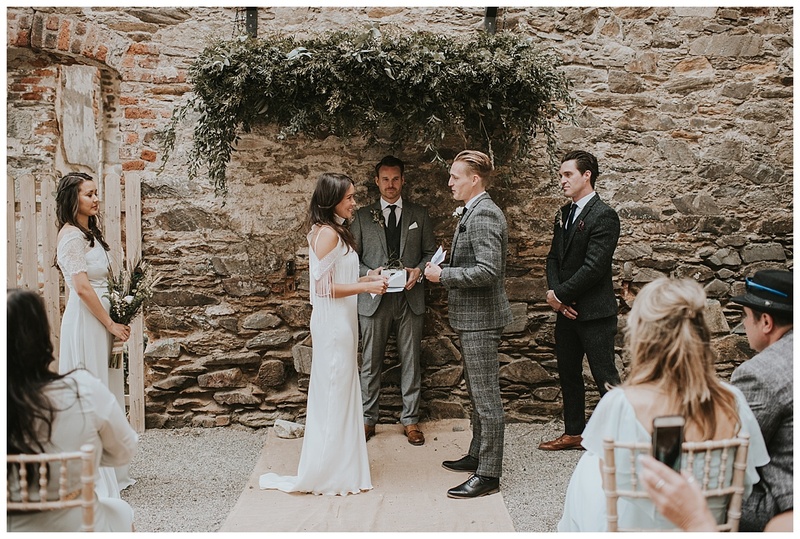 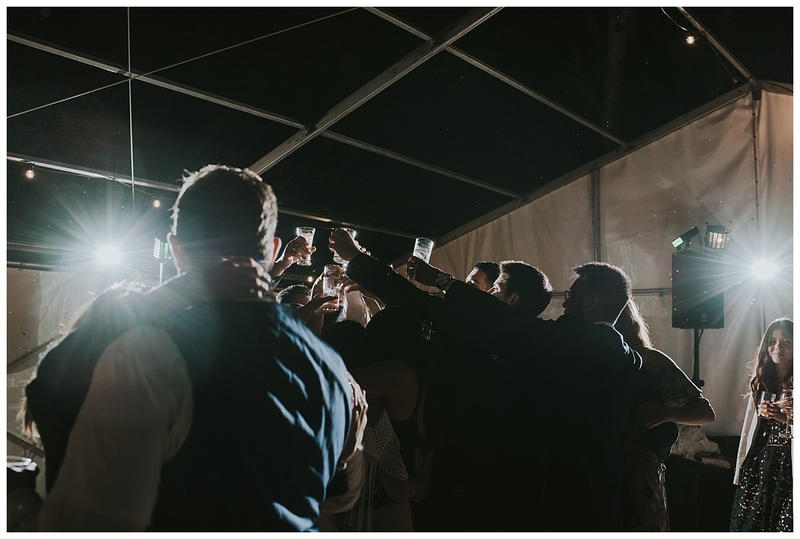 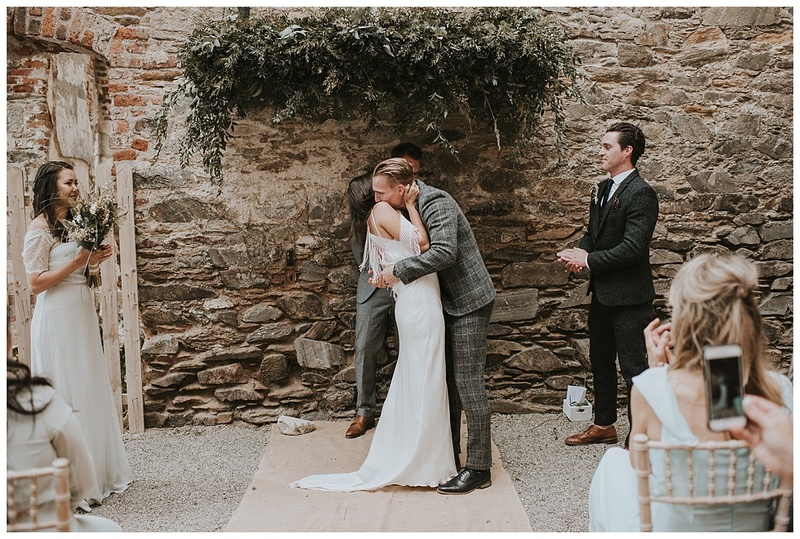 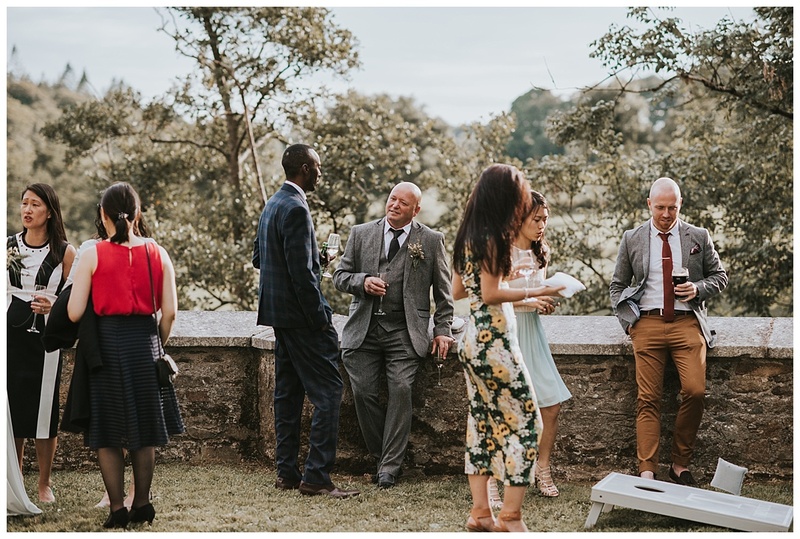 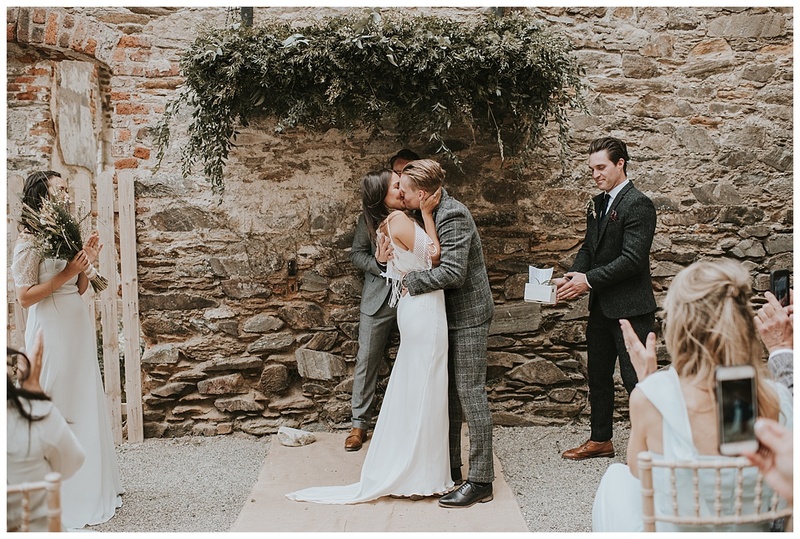 It is not too often that you can have your ceremony and dancefloor outside in Ireland but when it happens it is just magic! 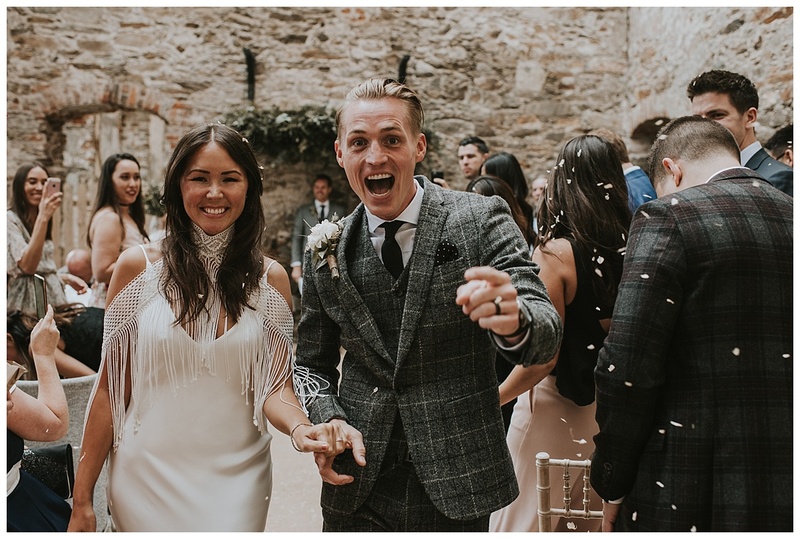 Huge congrats to these two! 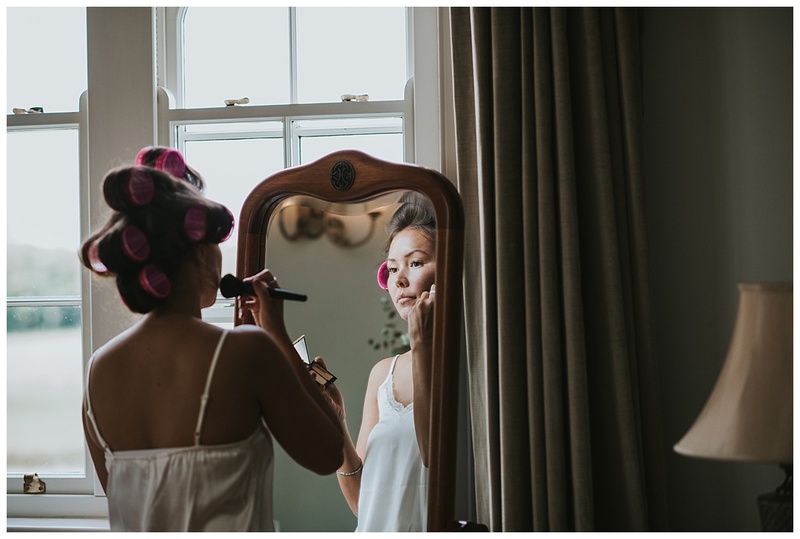 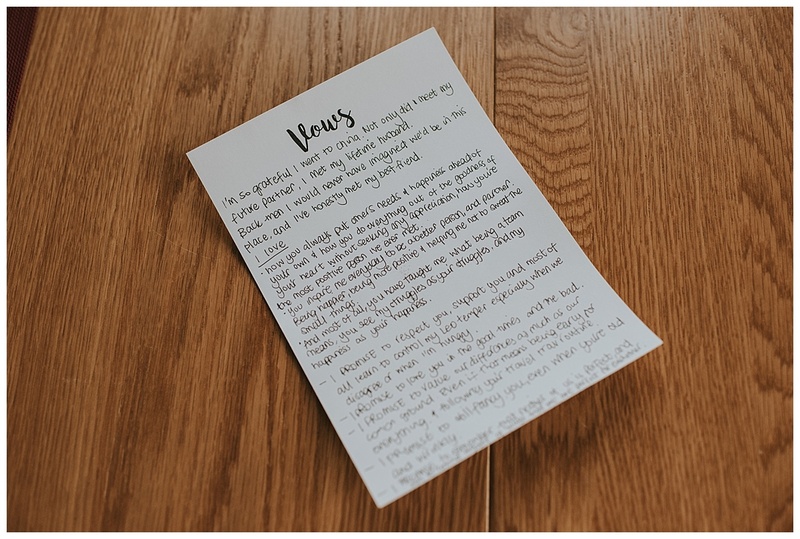 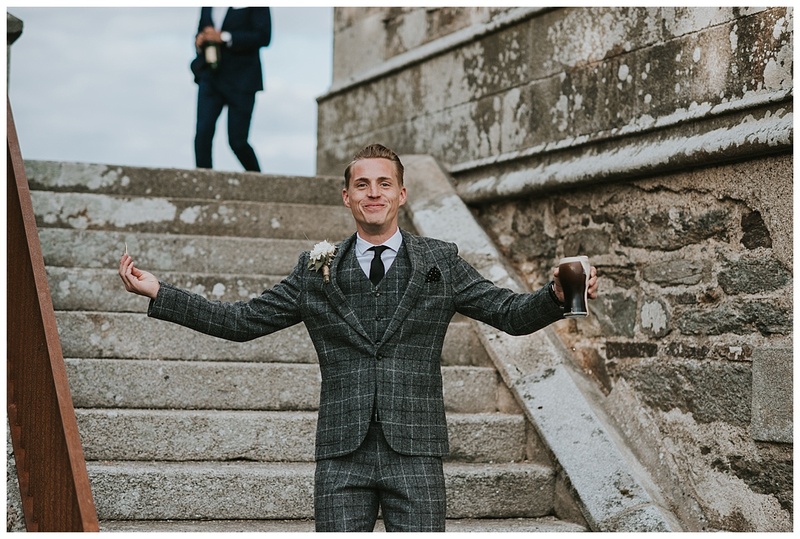 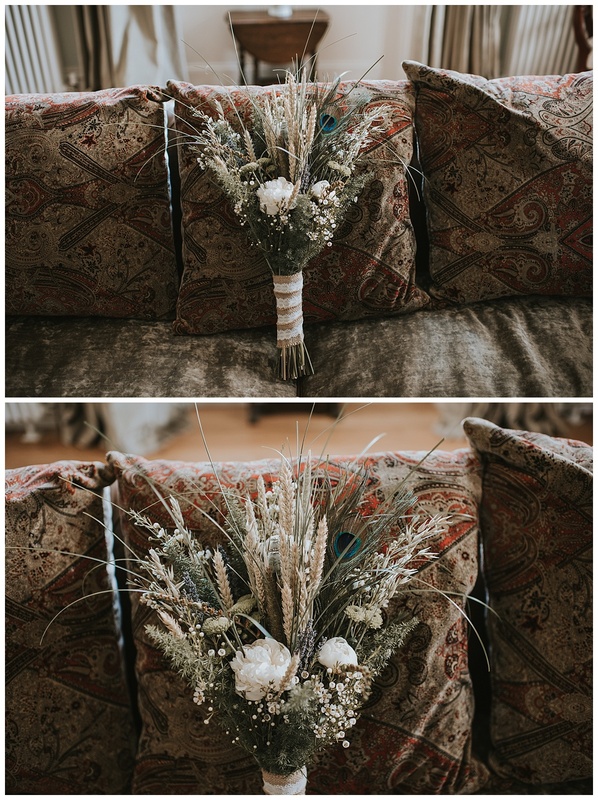 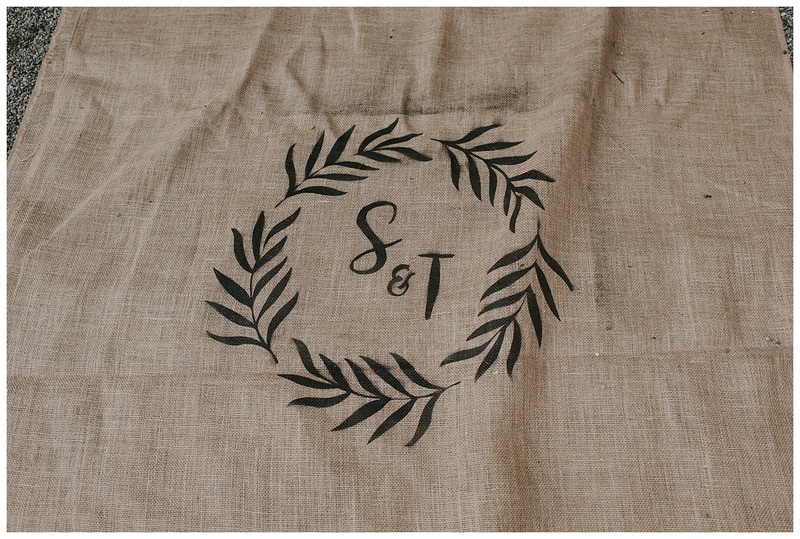 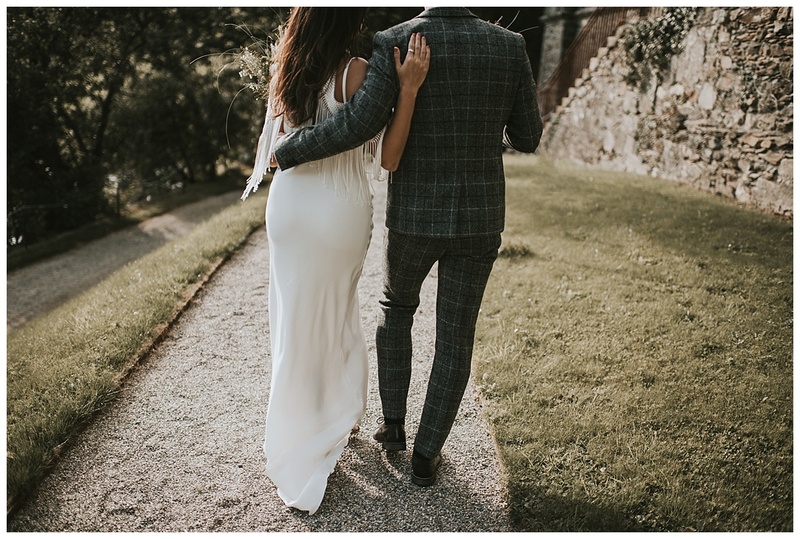 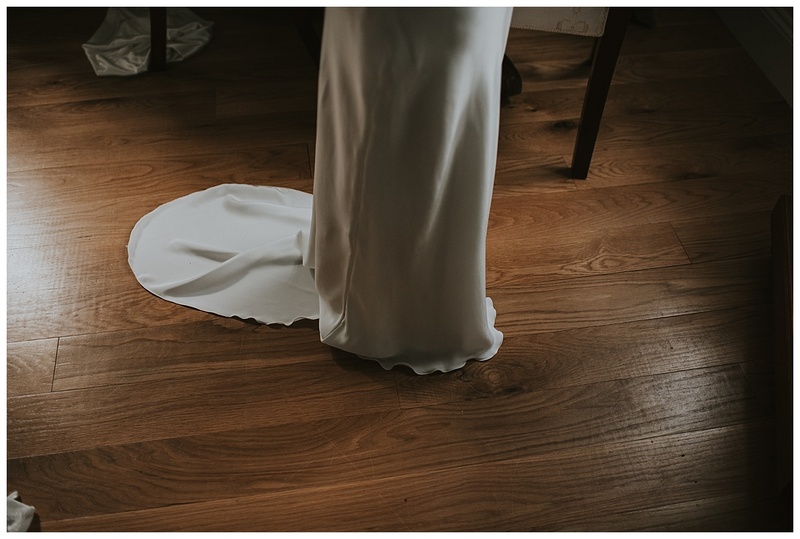 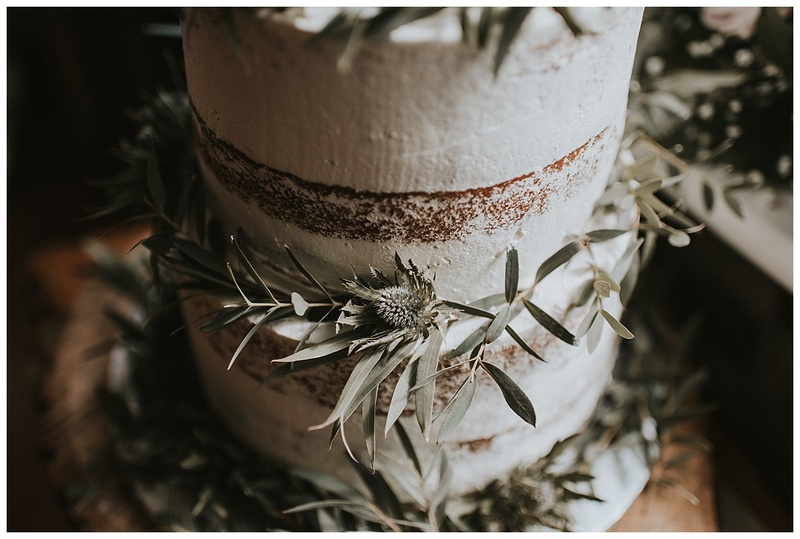 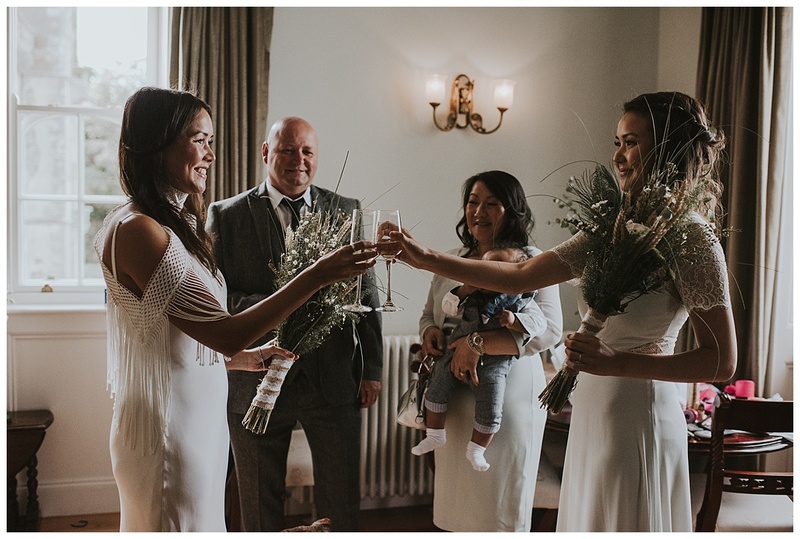 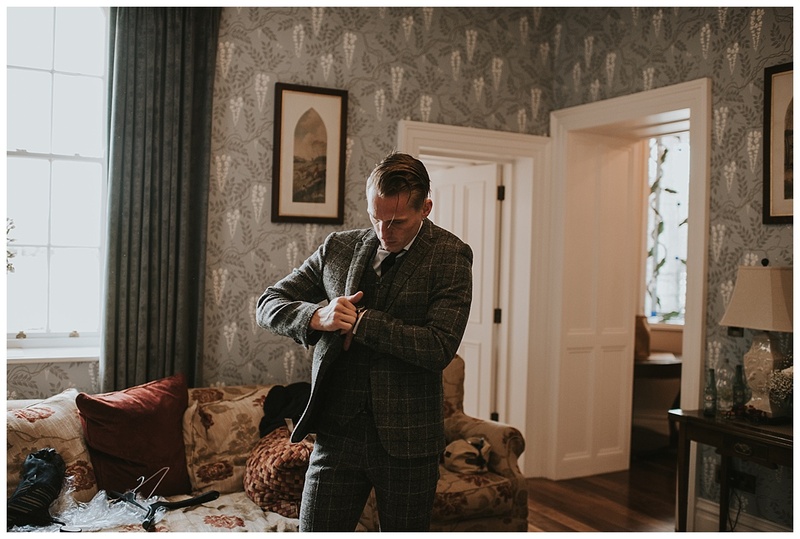 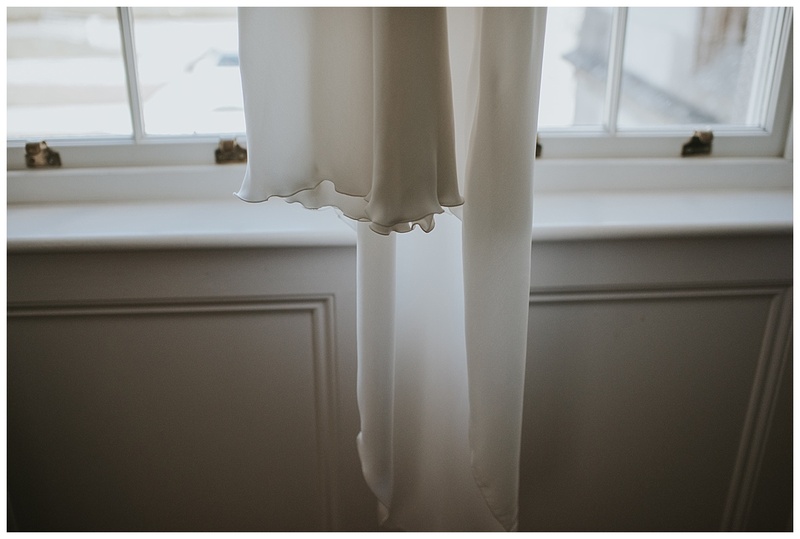 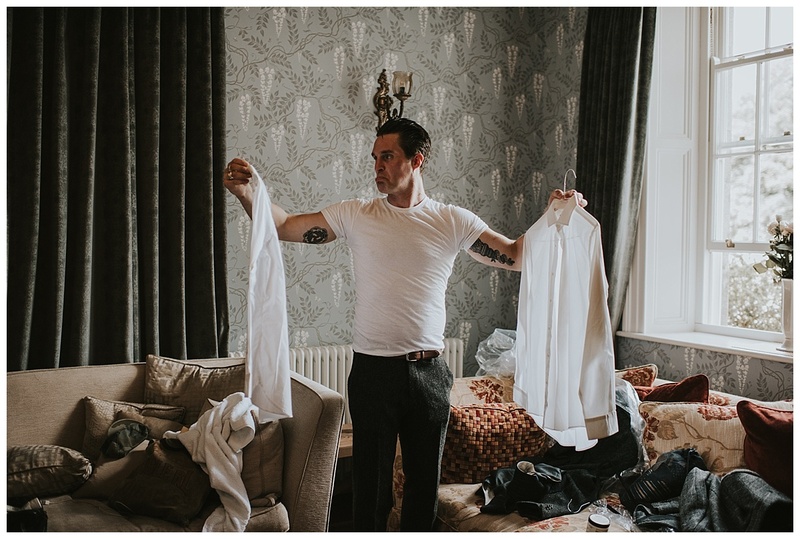 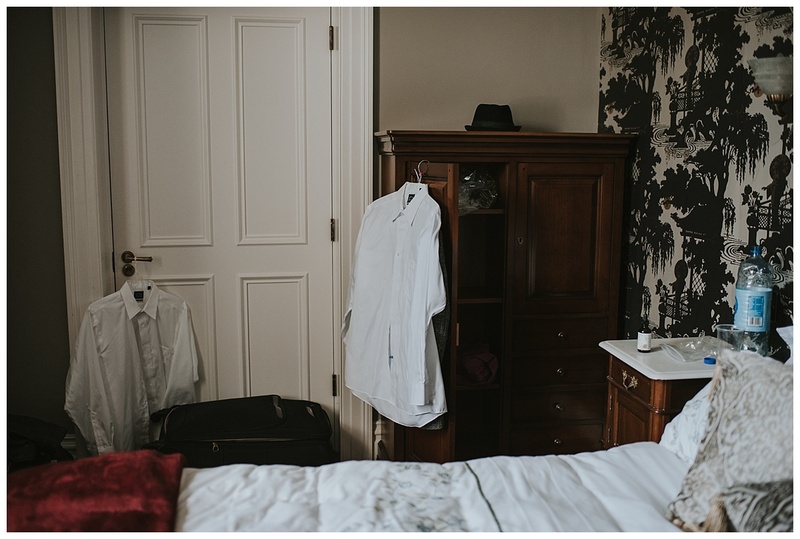 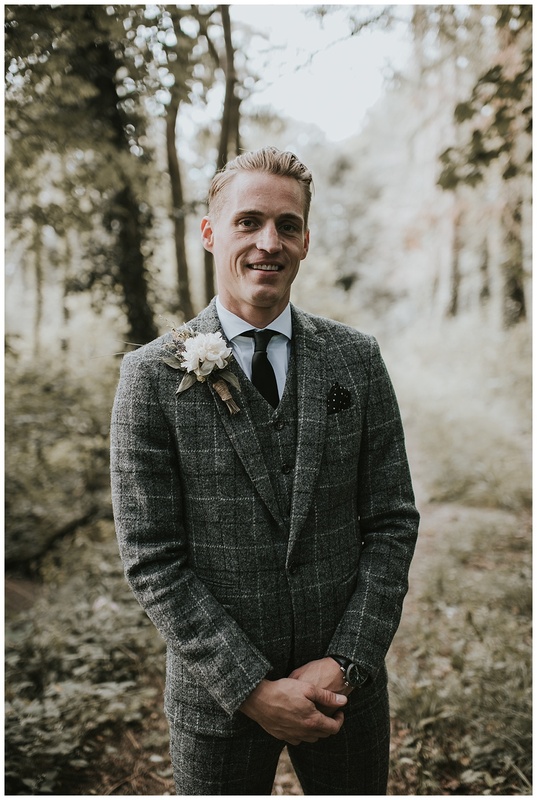 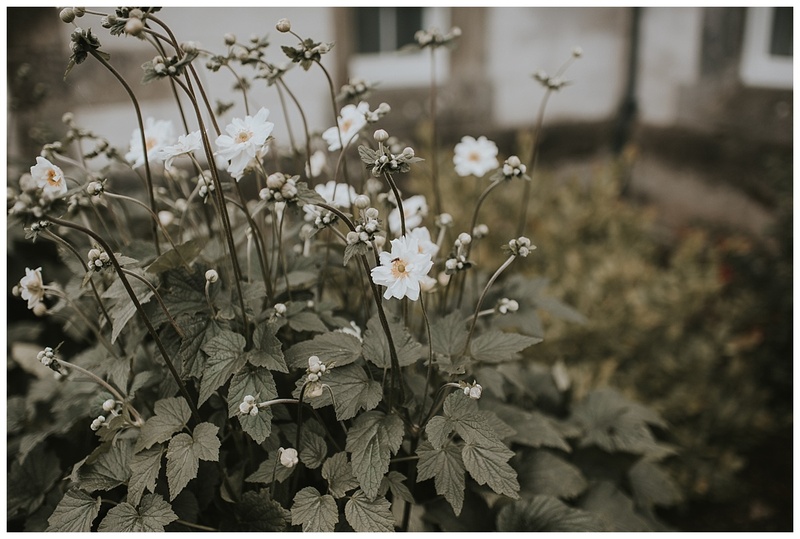 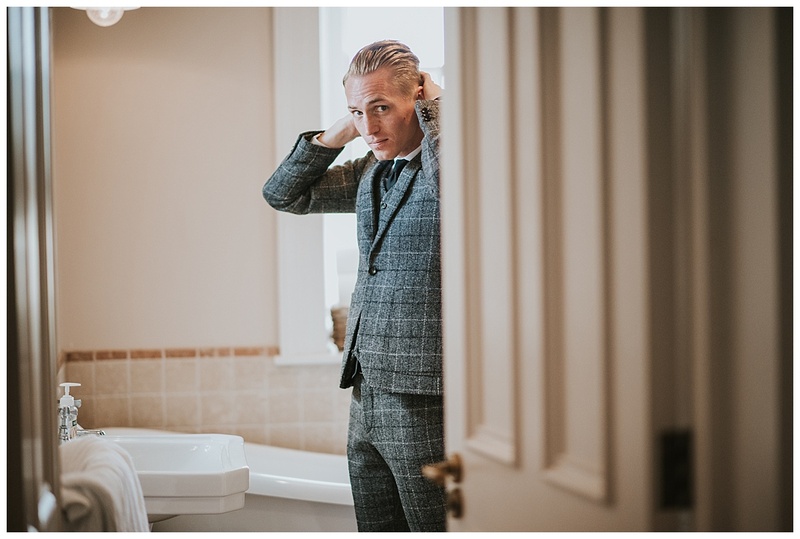 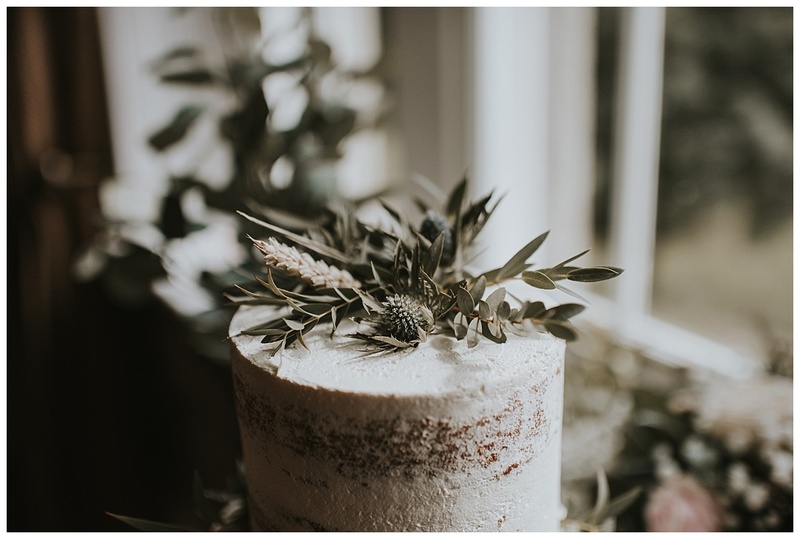 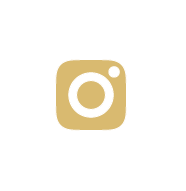 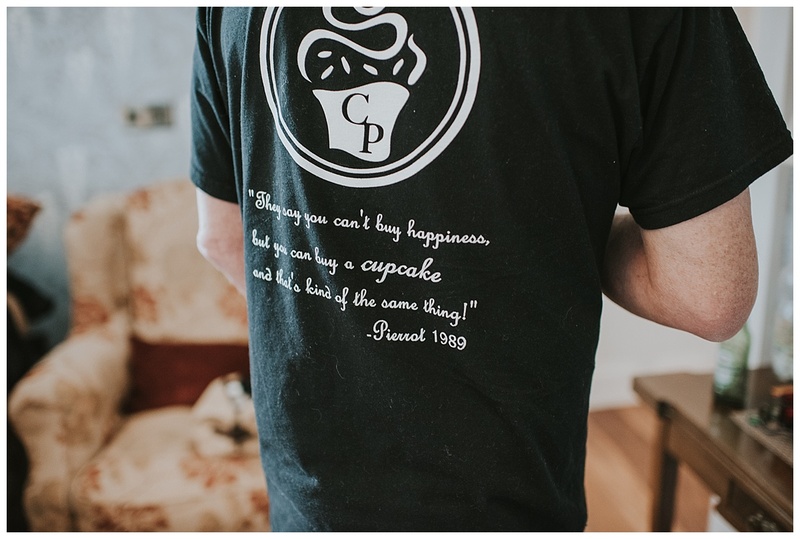 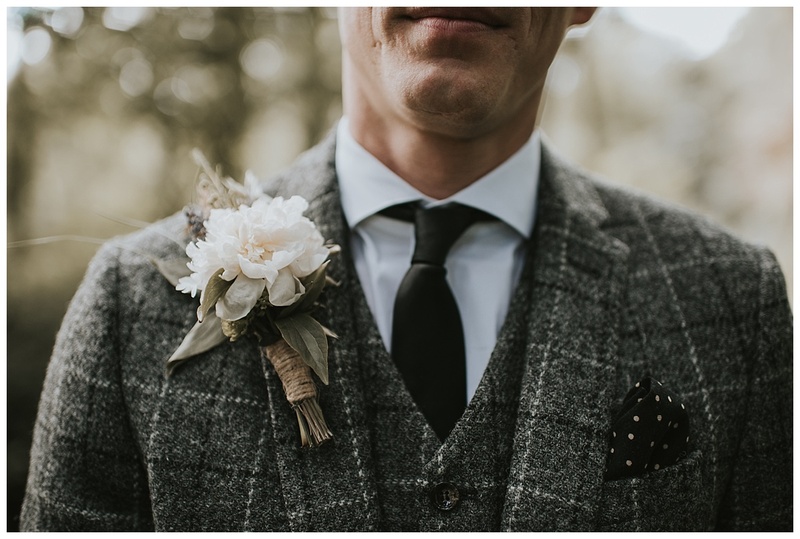 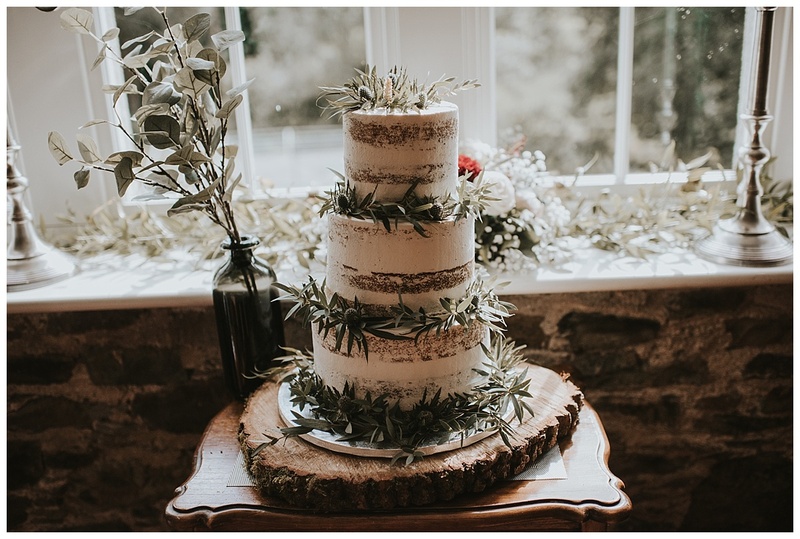 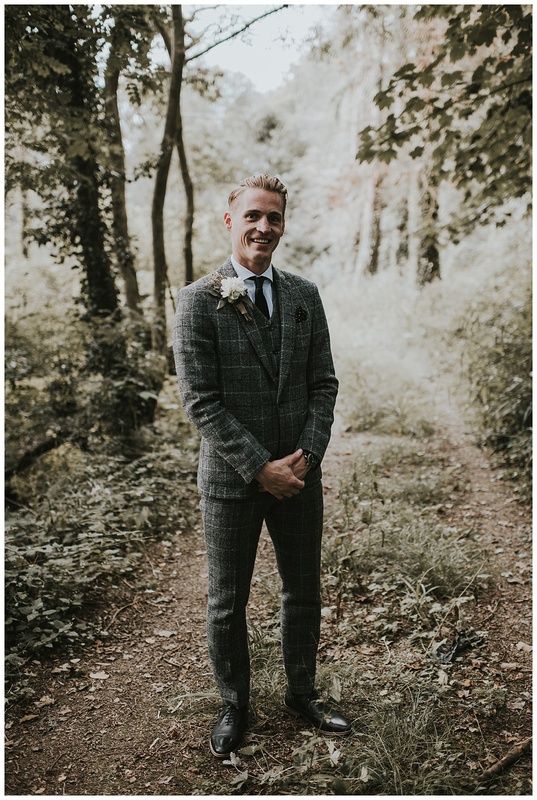 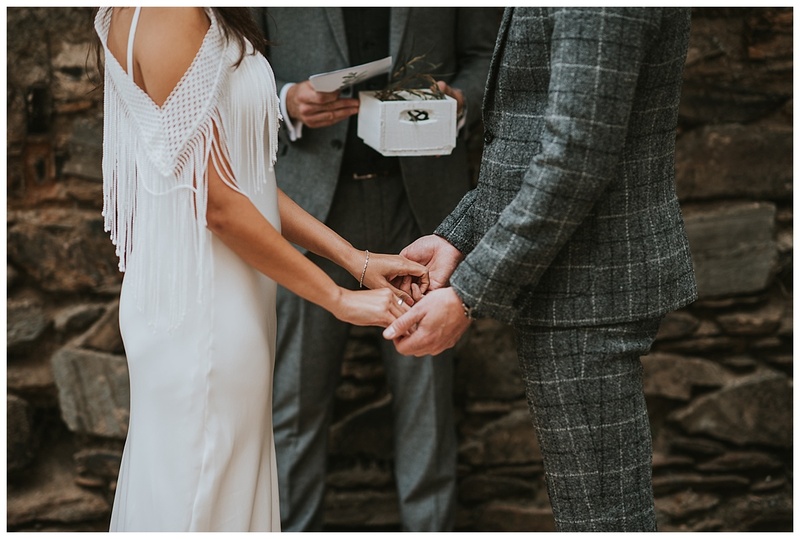 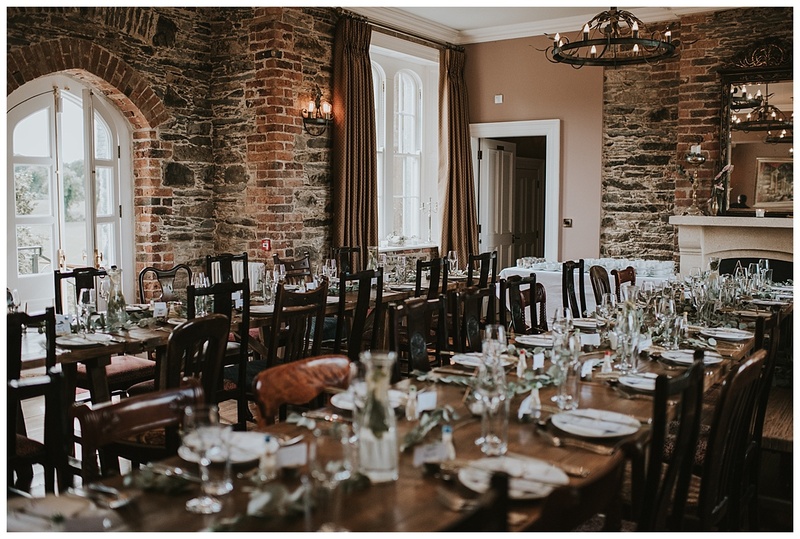 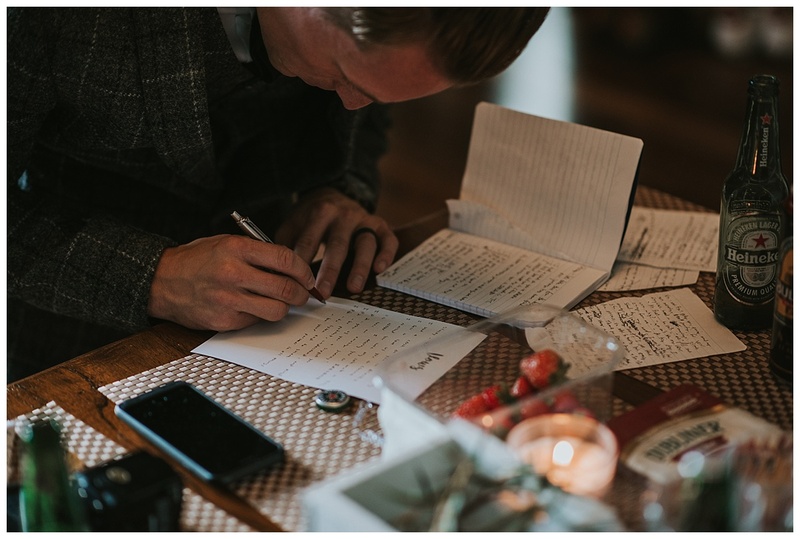 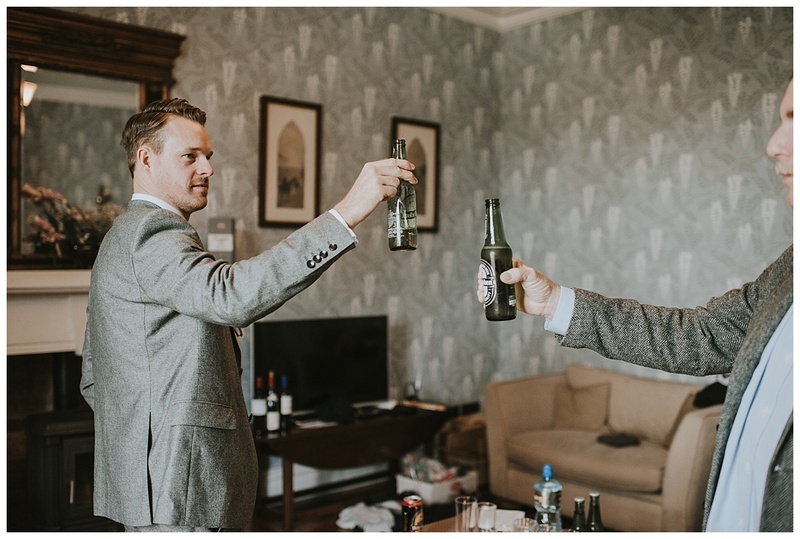 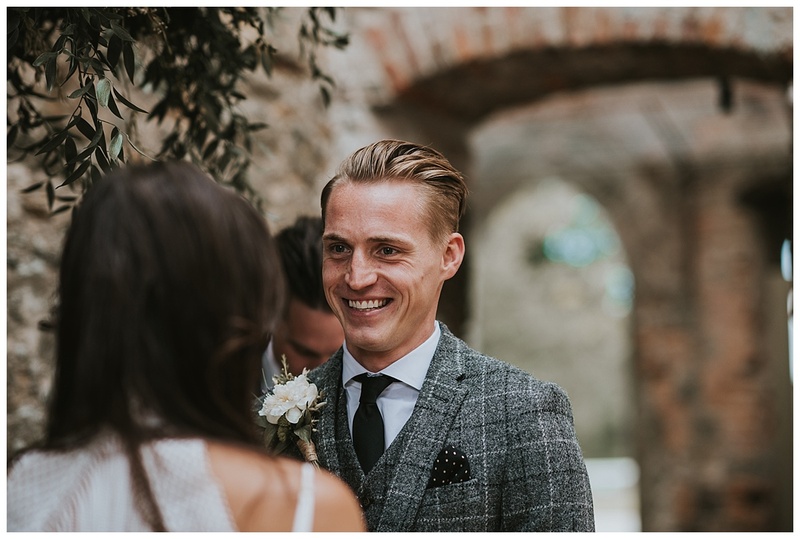 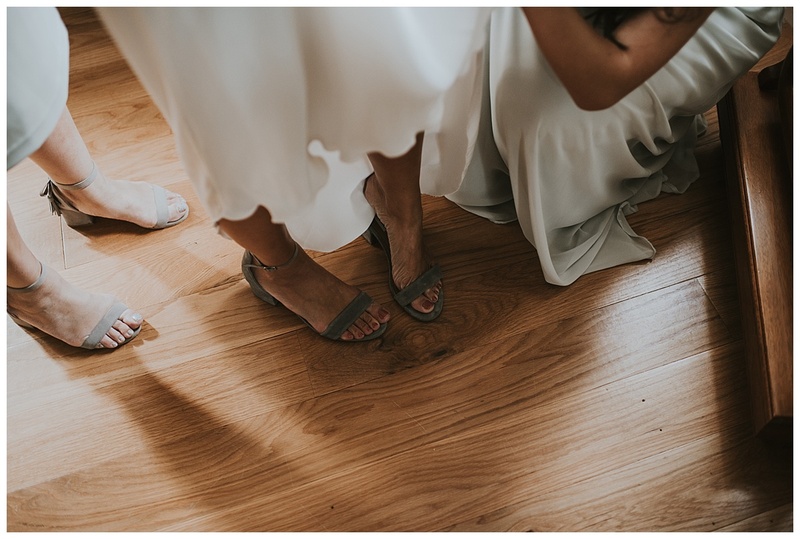 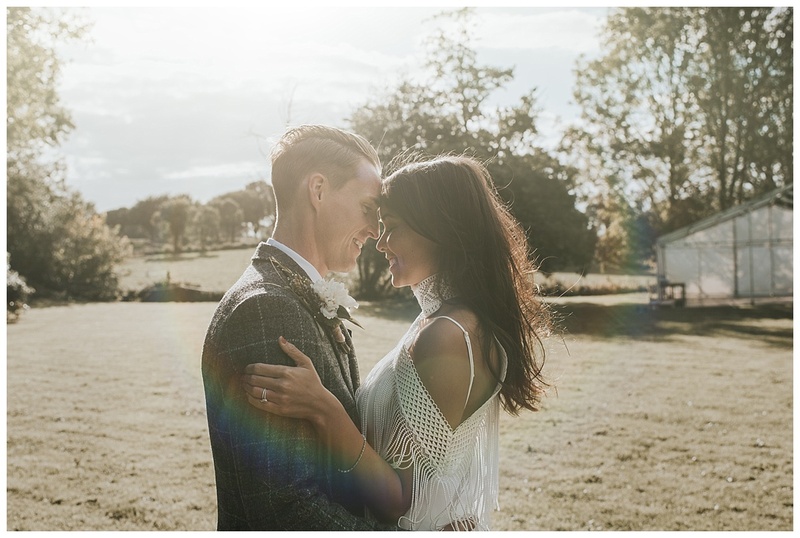 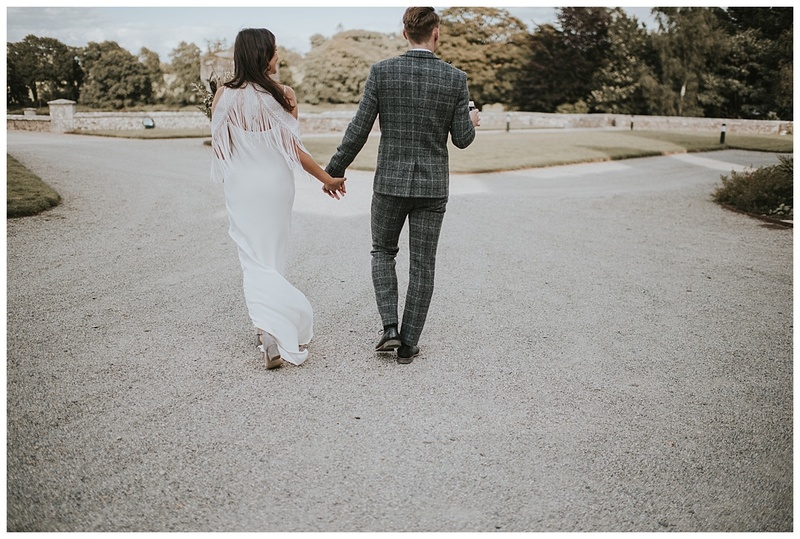 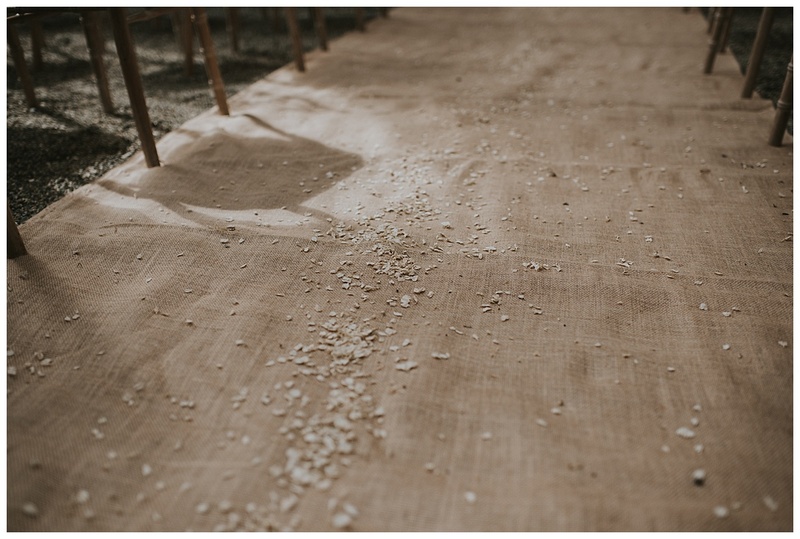 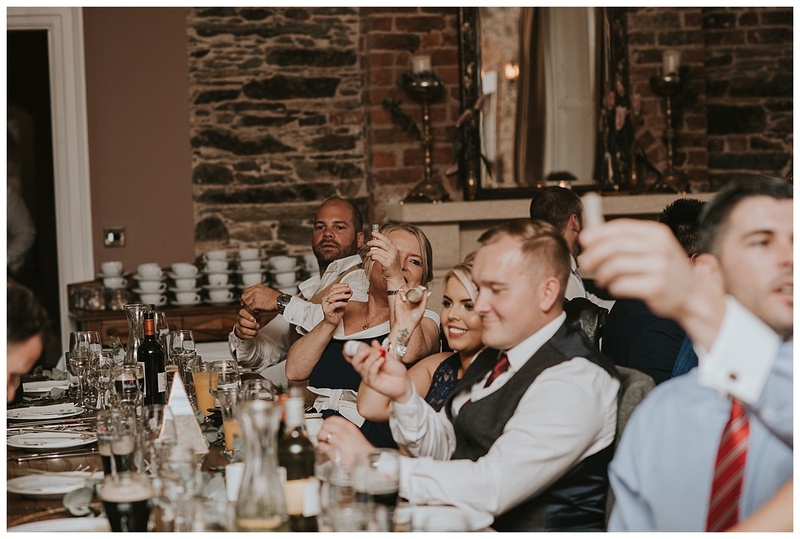 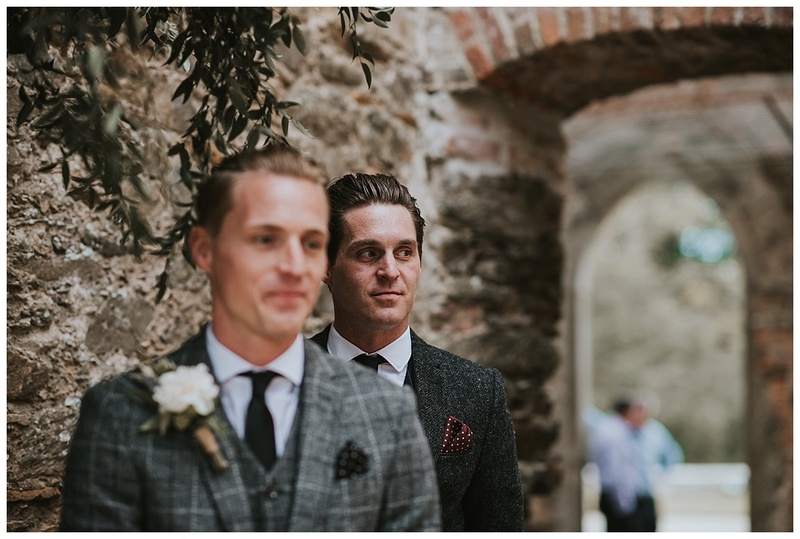 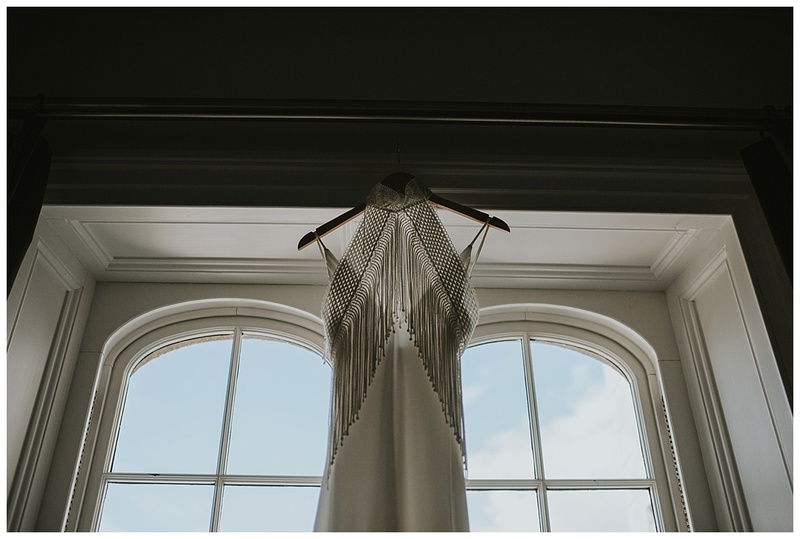 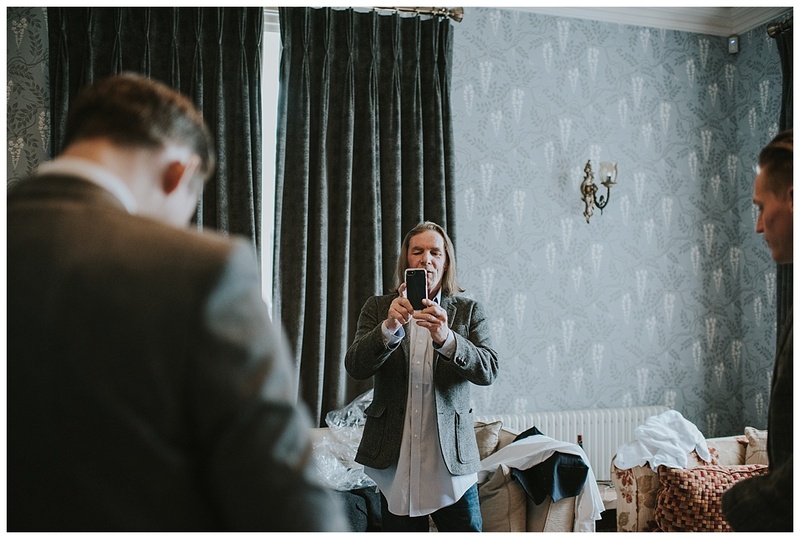 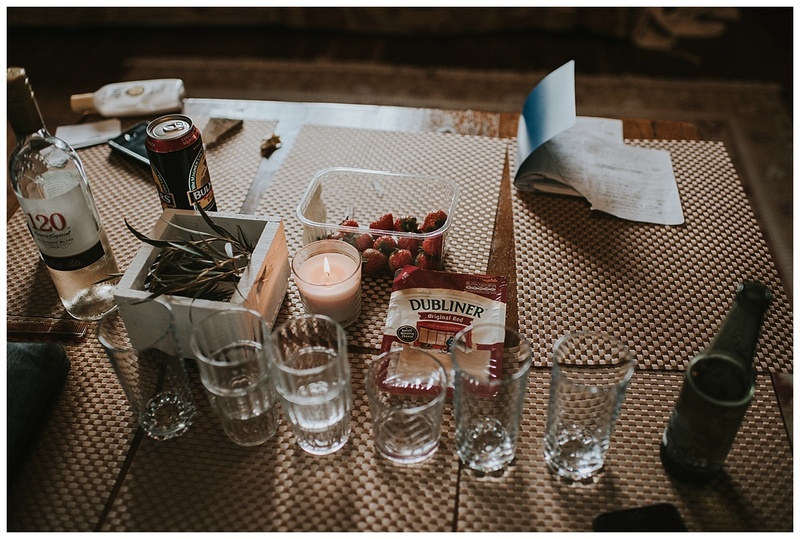 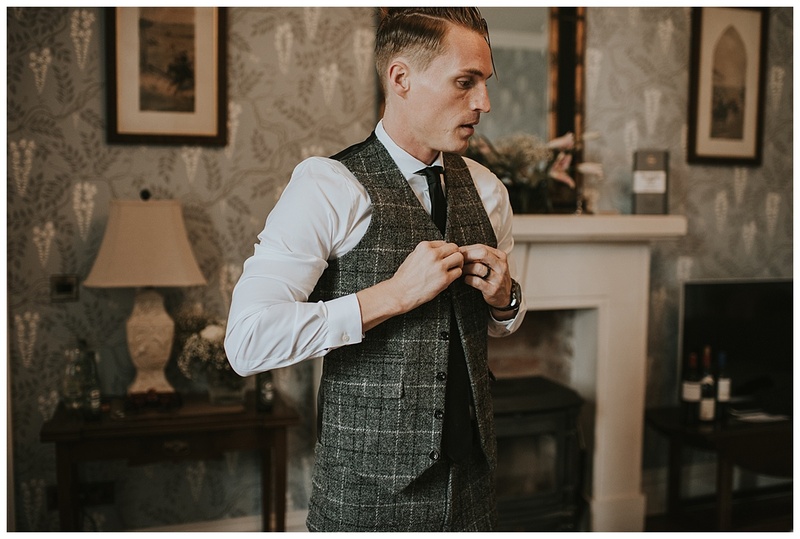 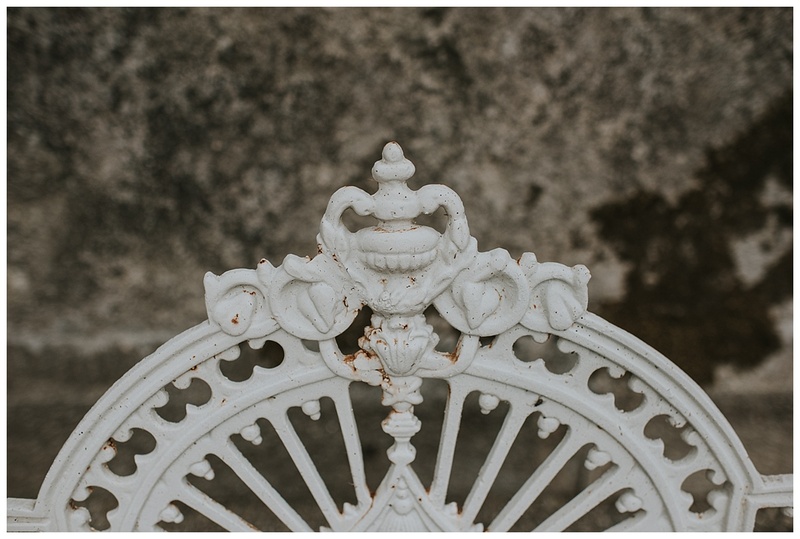 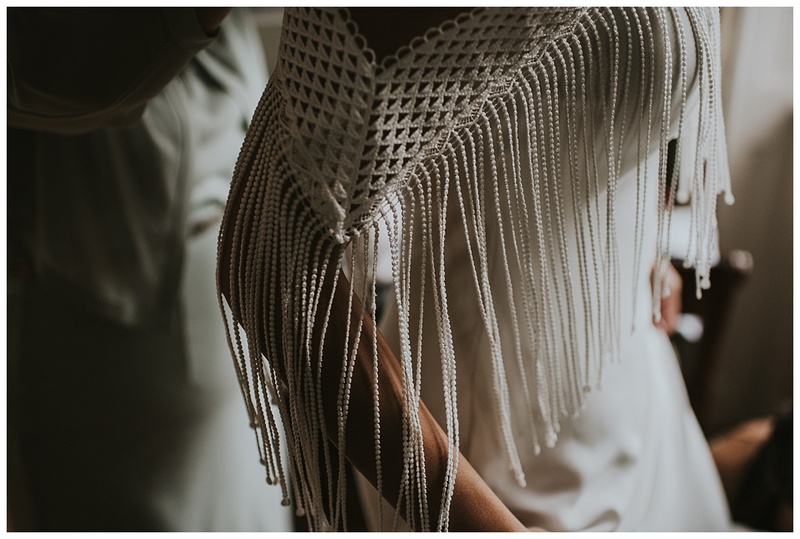 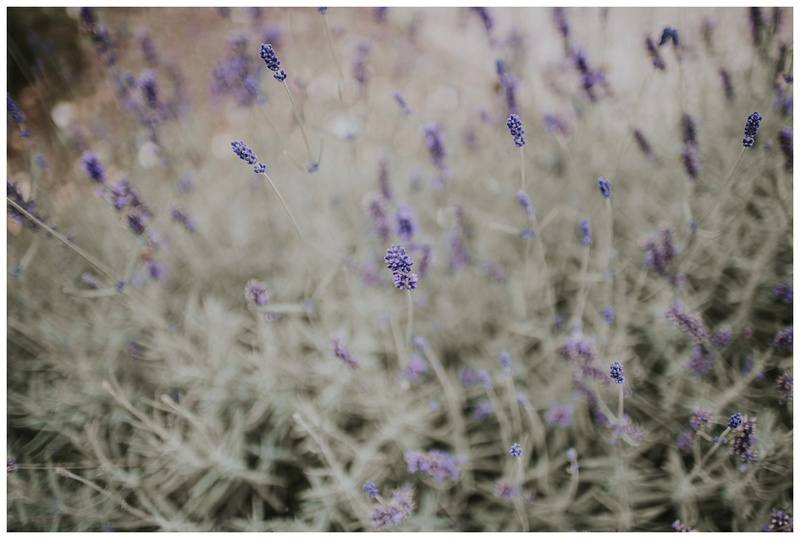 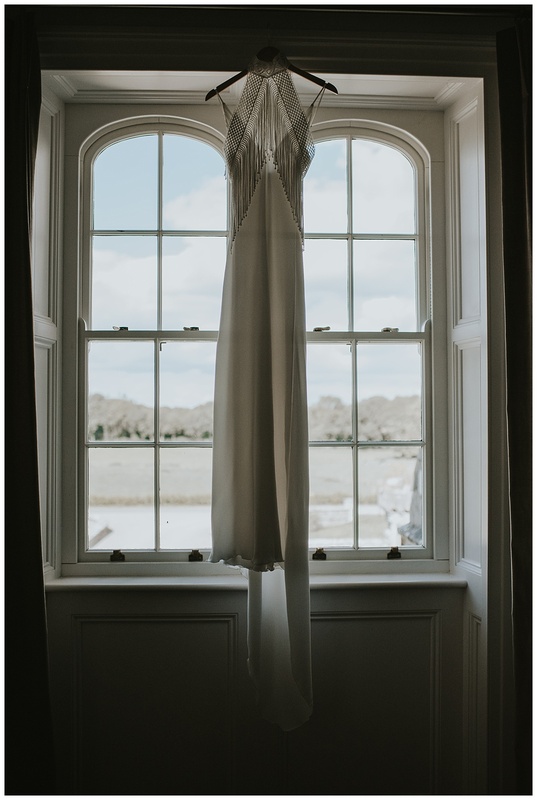 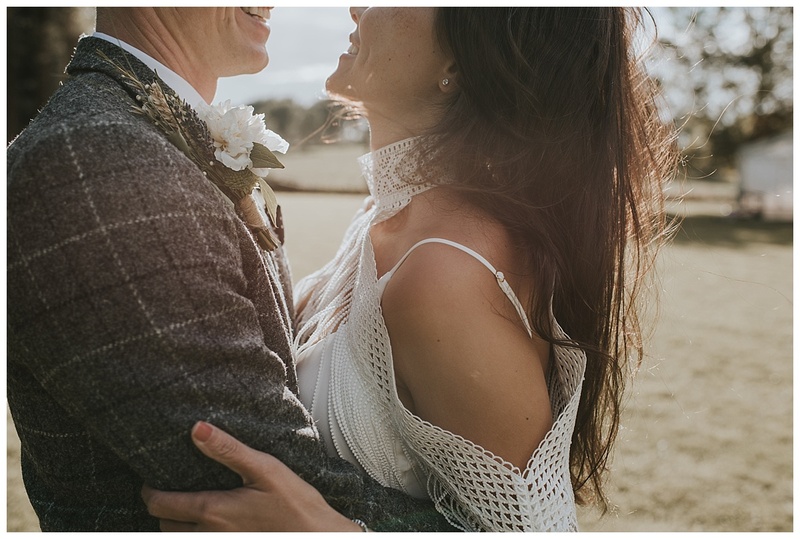 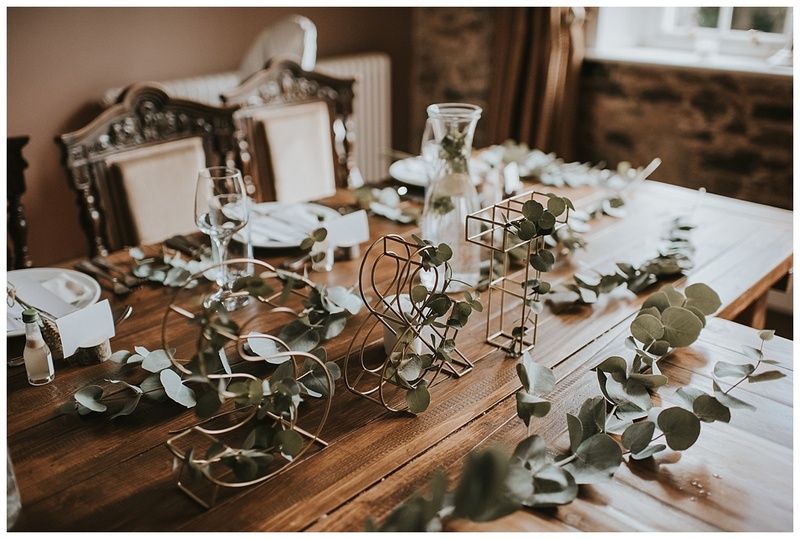 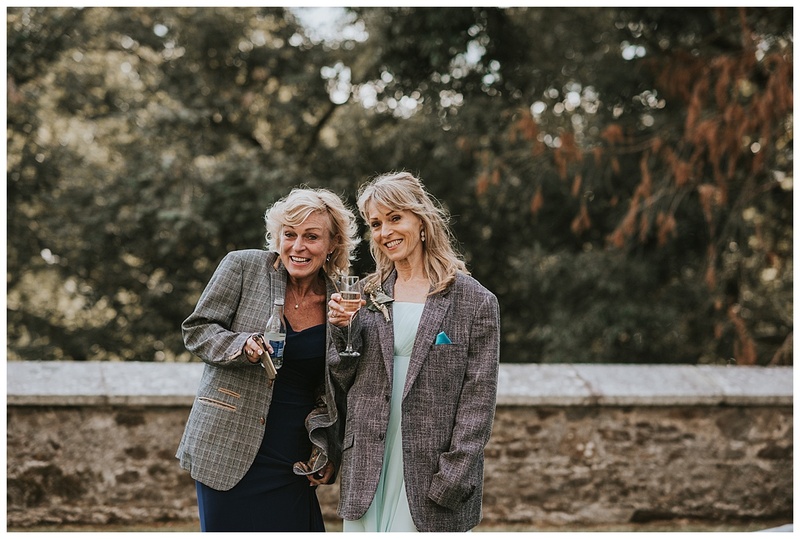 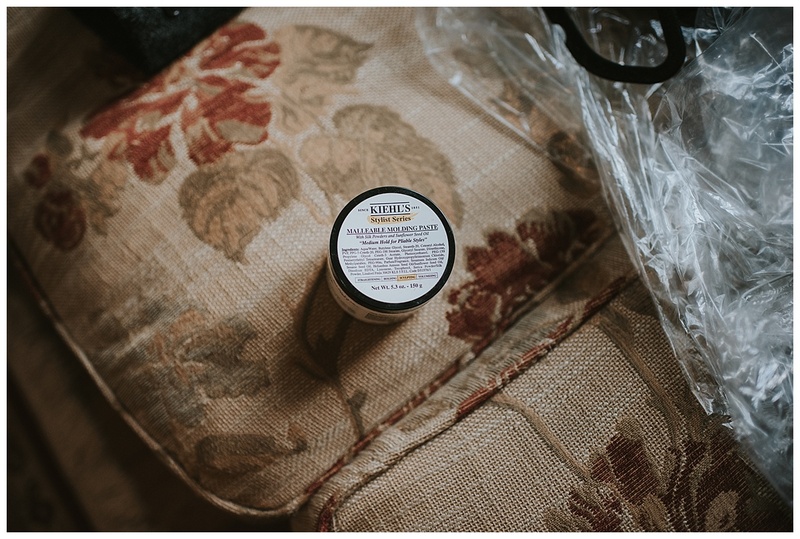 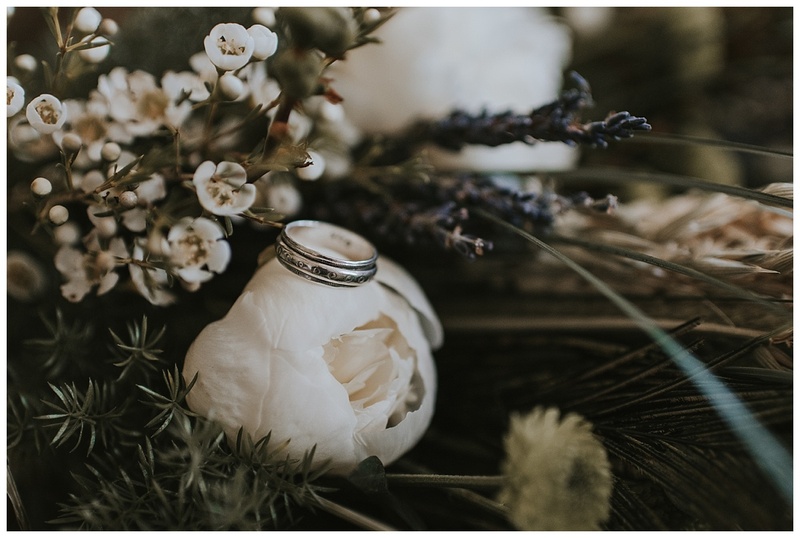 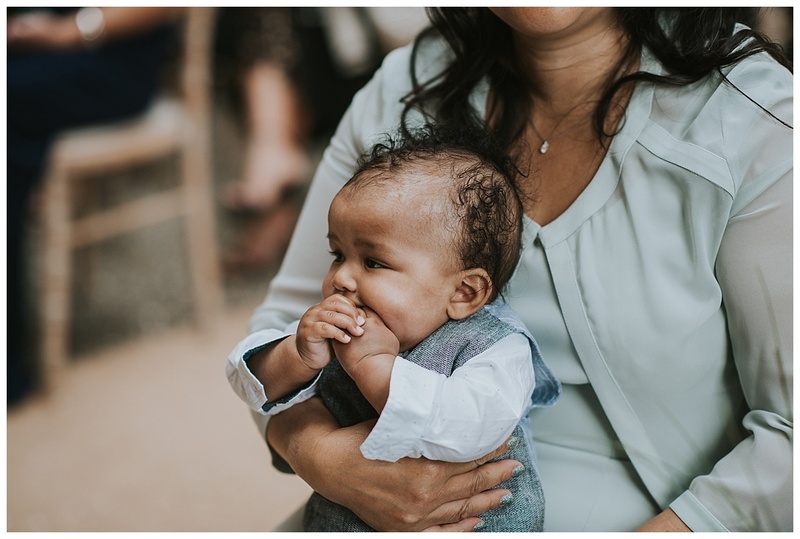 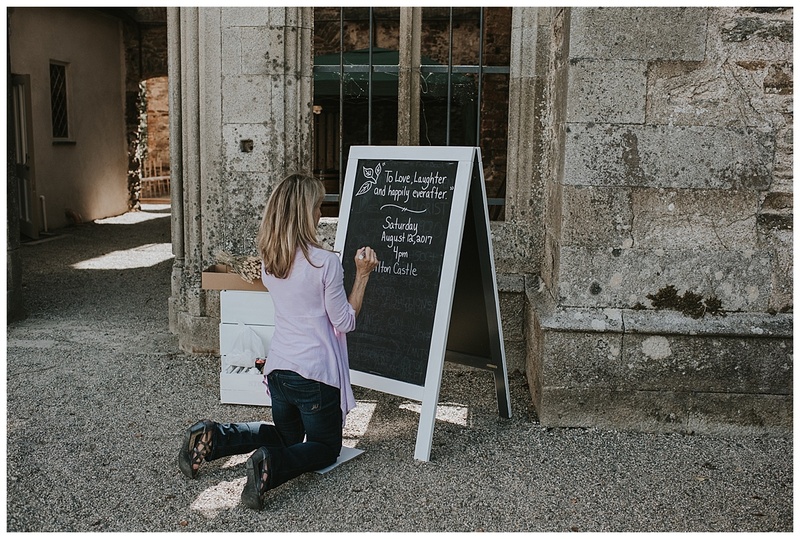 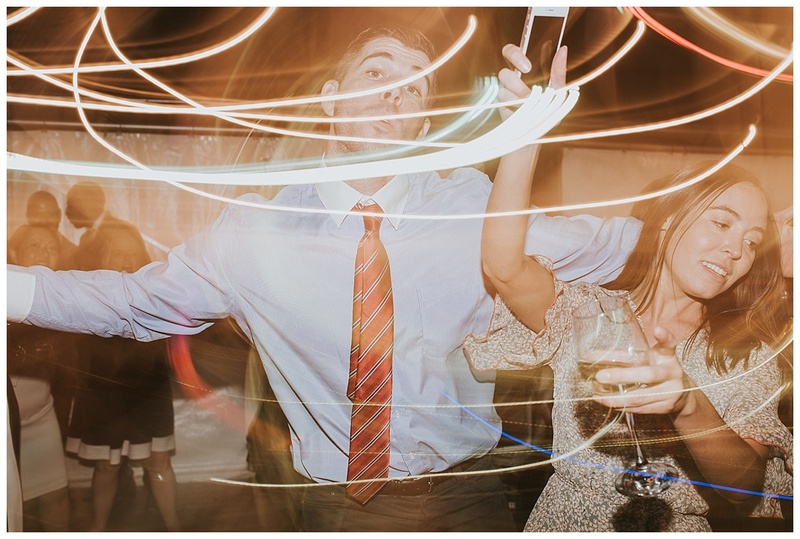 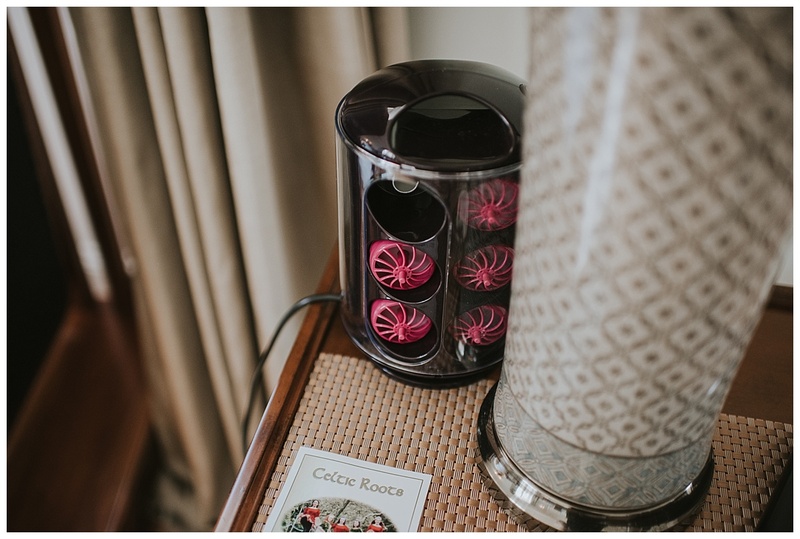 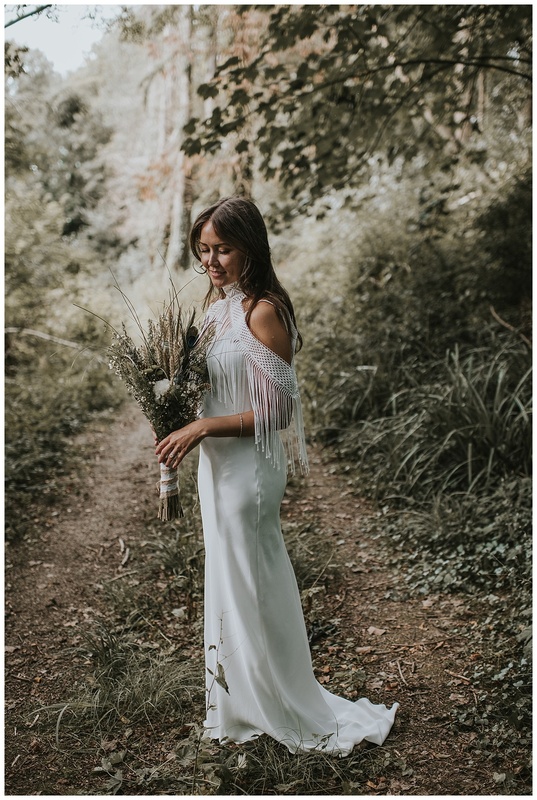 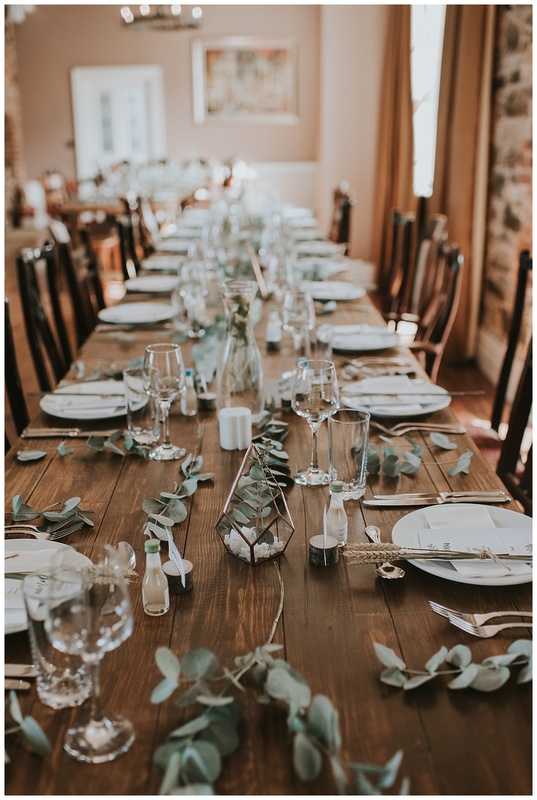 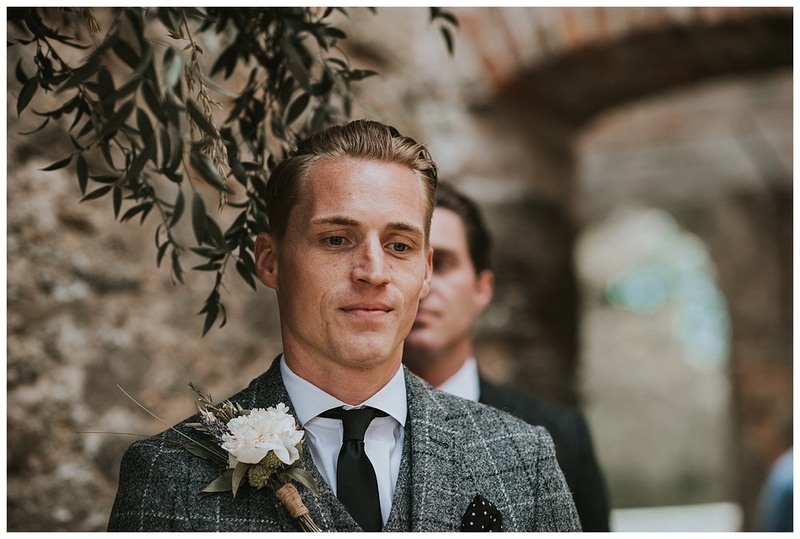 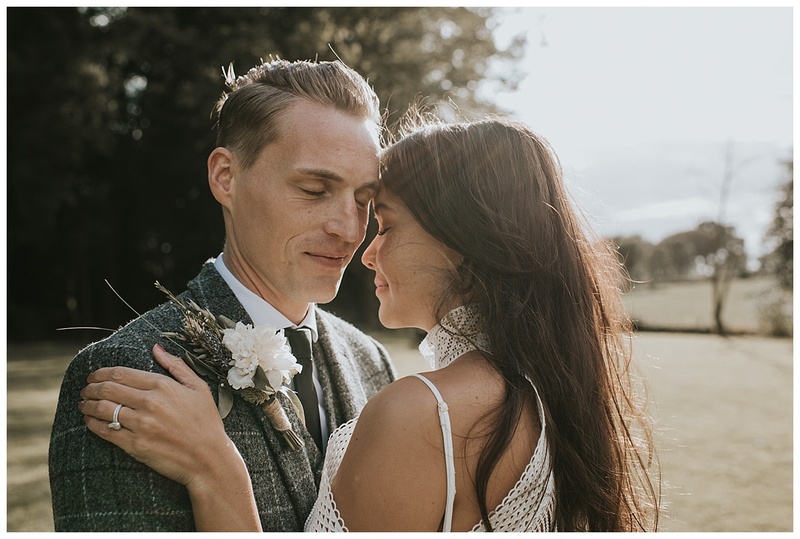 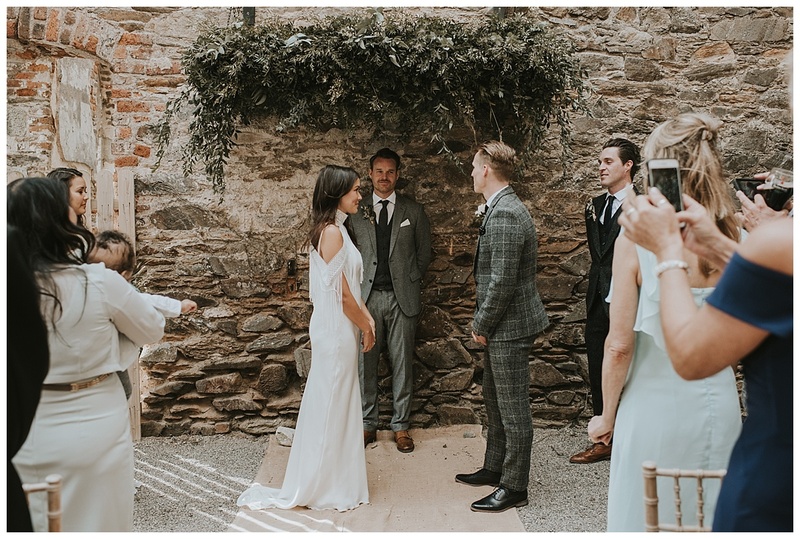 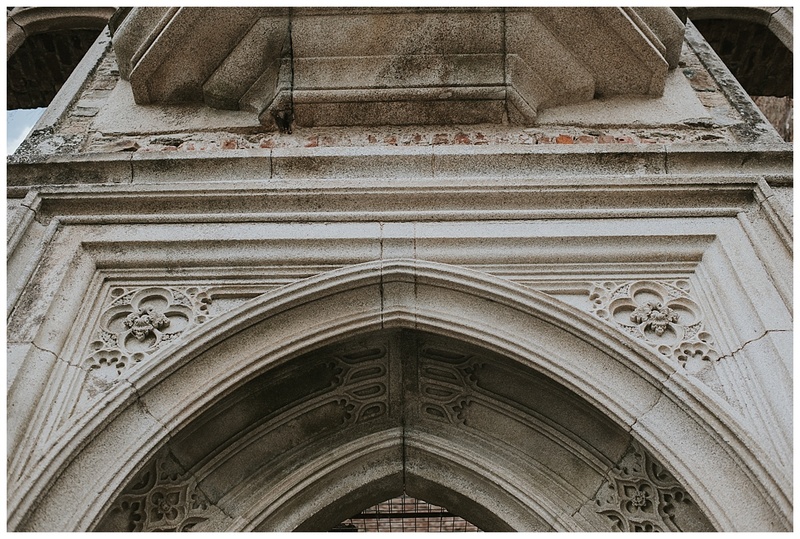 Thank you Louise for the amazing photos of the wedding – we greatly appreciate your beautiful photos of our special day!